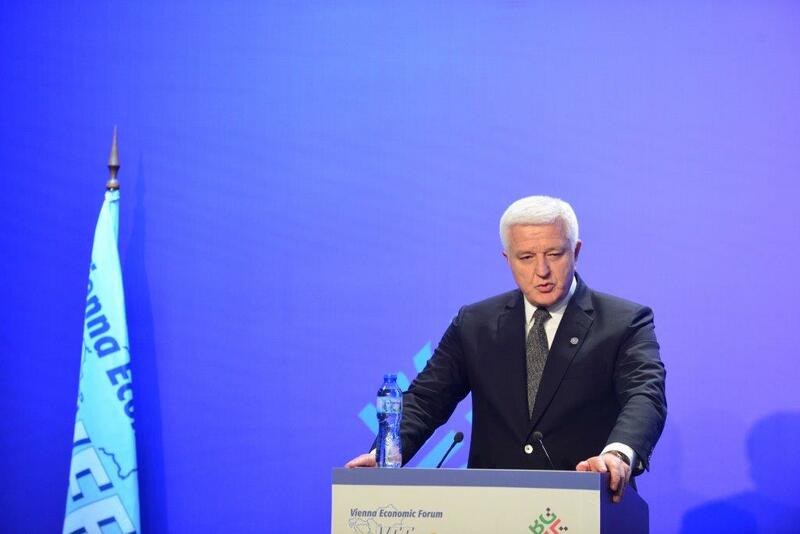 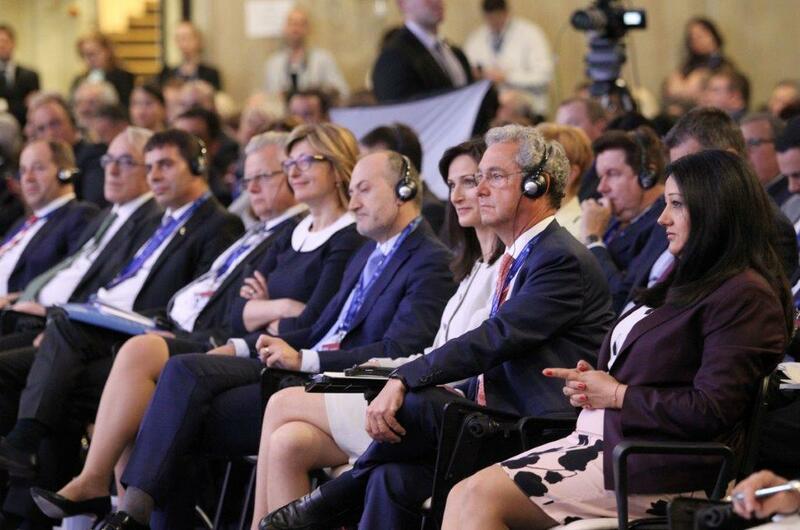 The 15th Jubilee Vienna Economic Forum was held under the Patronage of H.E. 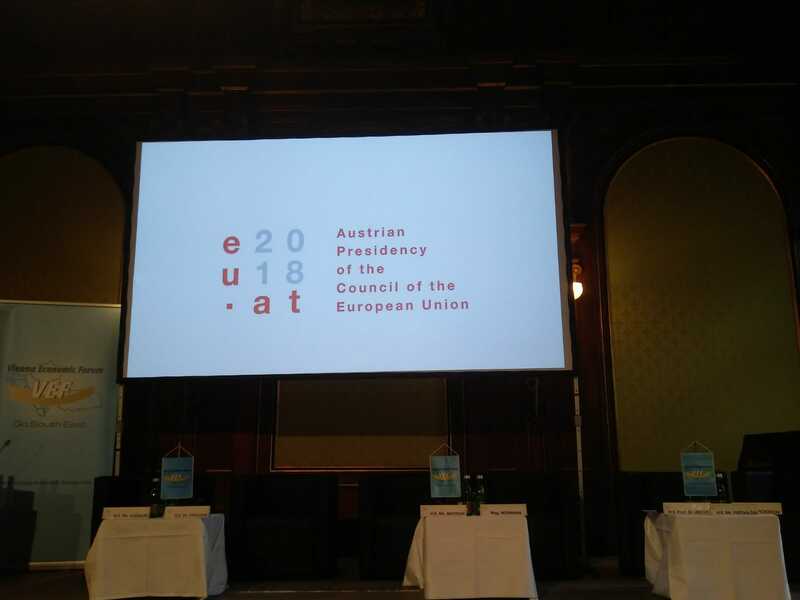 Mr. Sebastian Kurz, Federal Chancellor of Austria und as official event of the Austrian Presidency of the Council of the European Union. 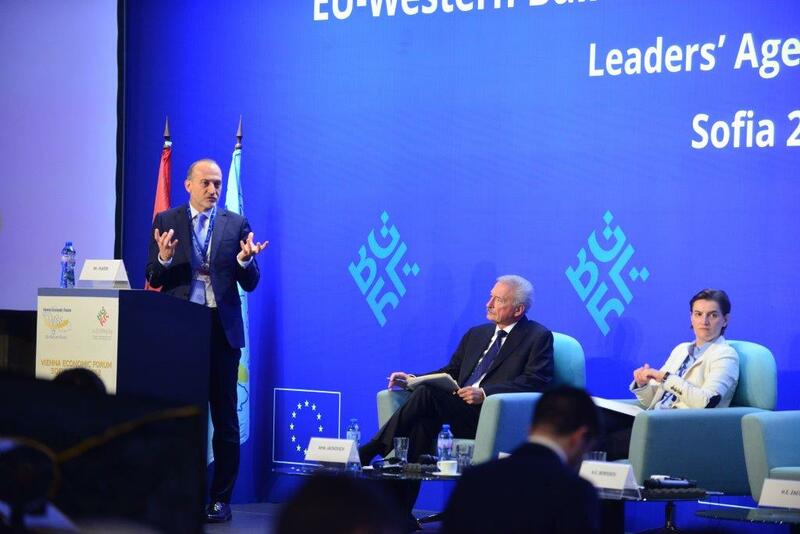 In the panel discussion on "Regional Cooperation as a Part of the European Integration. 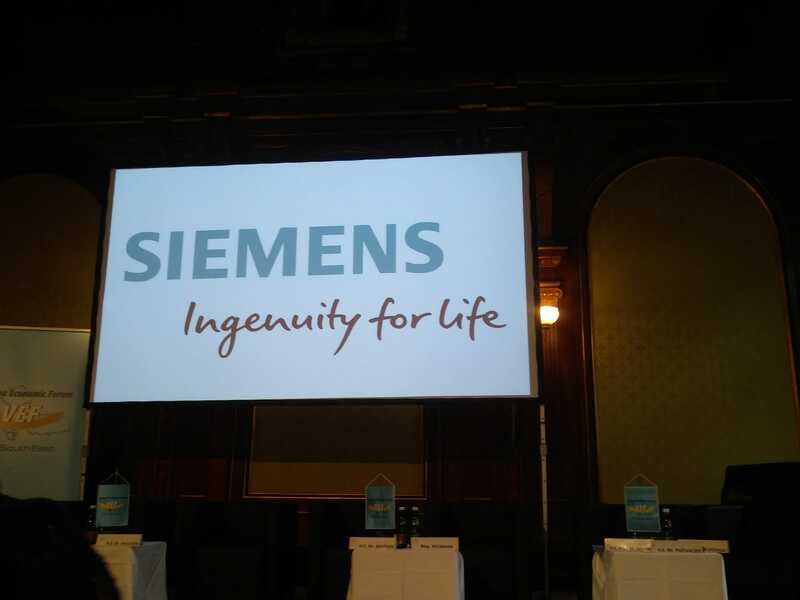 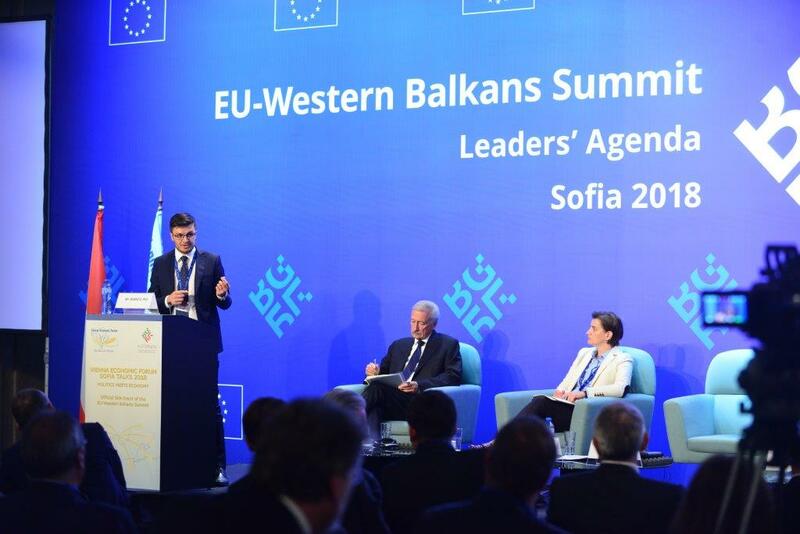 Digitisation - Bridging Gaps and Chance to Leapfrog ", together with H.E. 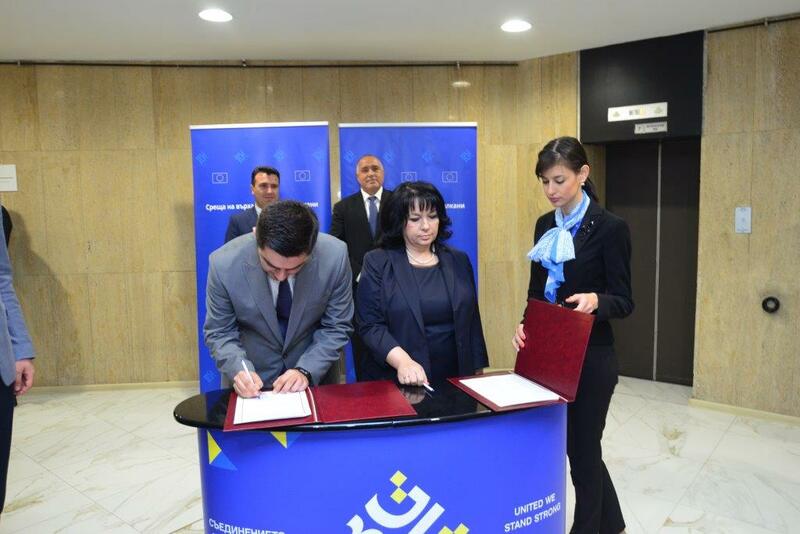 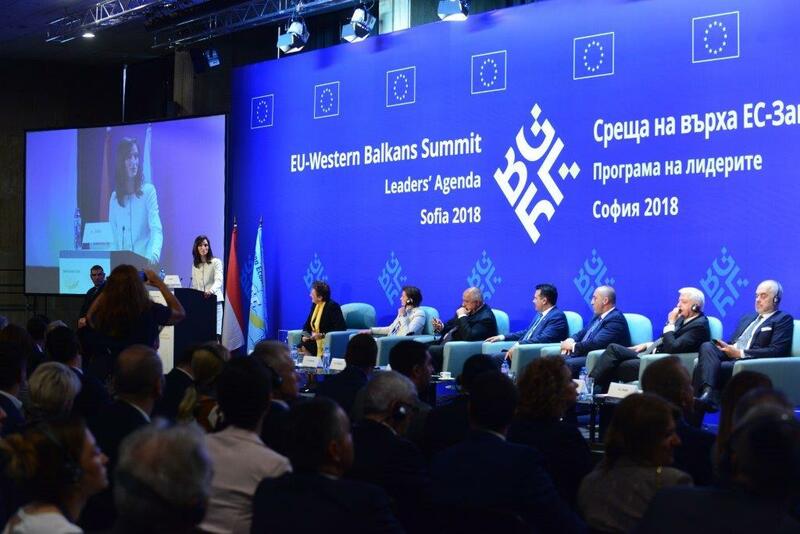 Ms. Mariya Gabriel, EU Commissioner for Digital Economy and Society, the Prime Ministers of Albania, H.E. 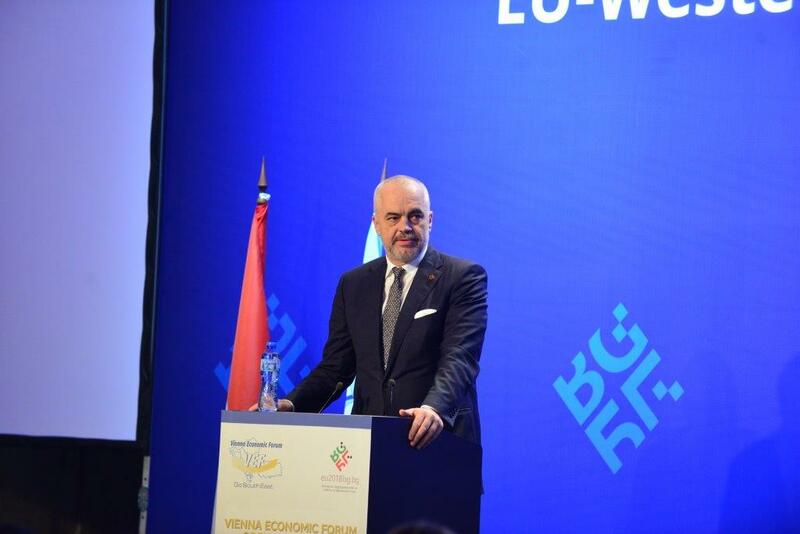 Edi Rama, of Bosnia and Herzegovina, H.E. 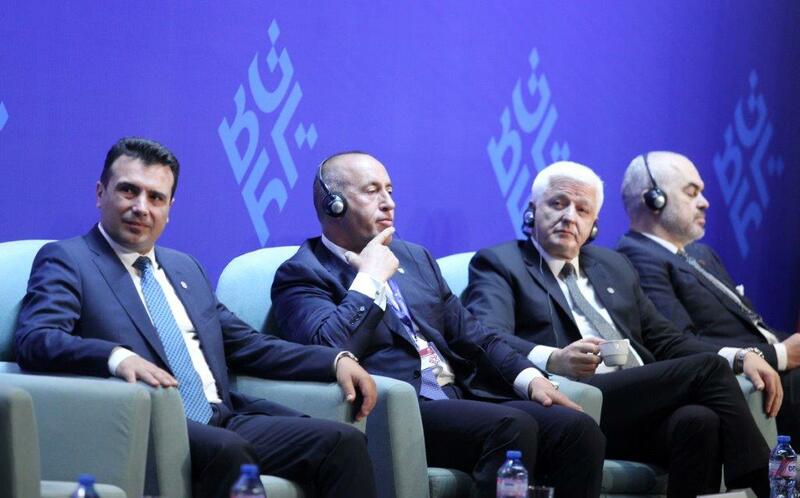 Denis Zvizdic, of Kosovo, H.E. 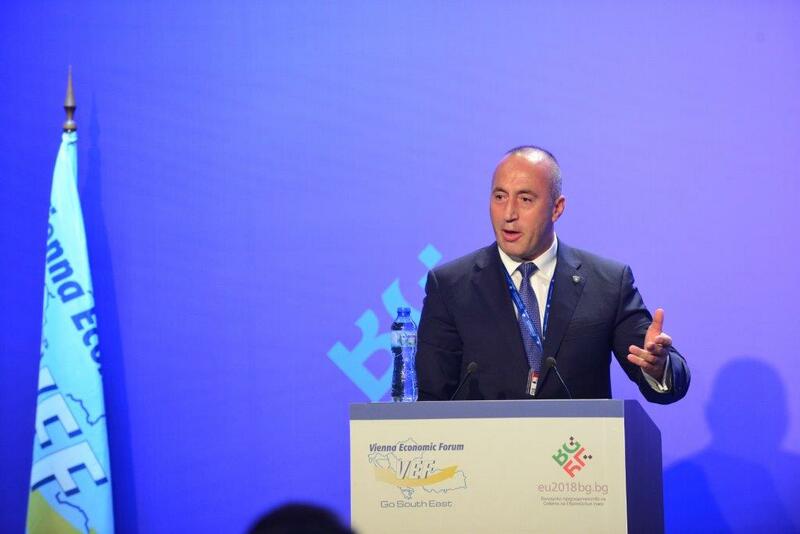 Ramush Haradinaj, of Montenegro, H.E. 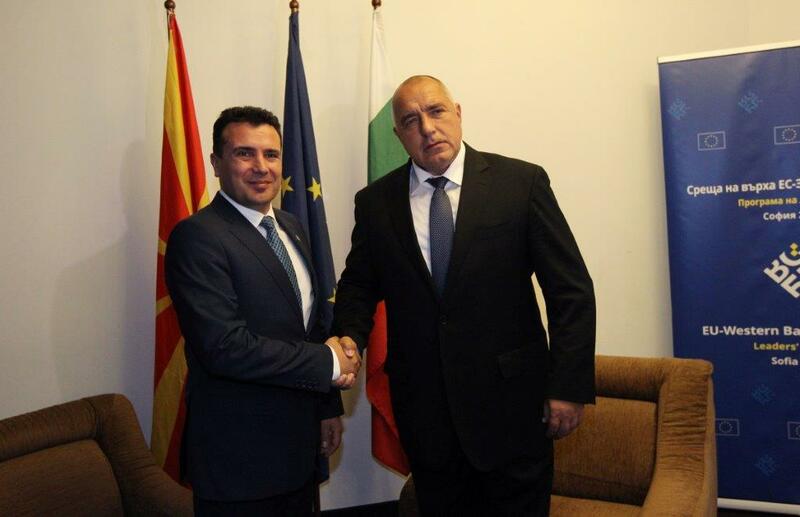 Duško Marković and Macedonia's Vice Prime Minister, responsible for the economy, H.E. 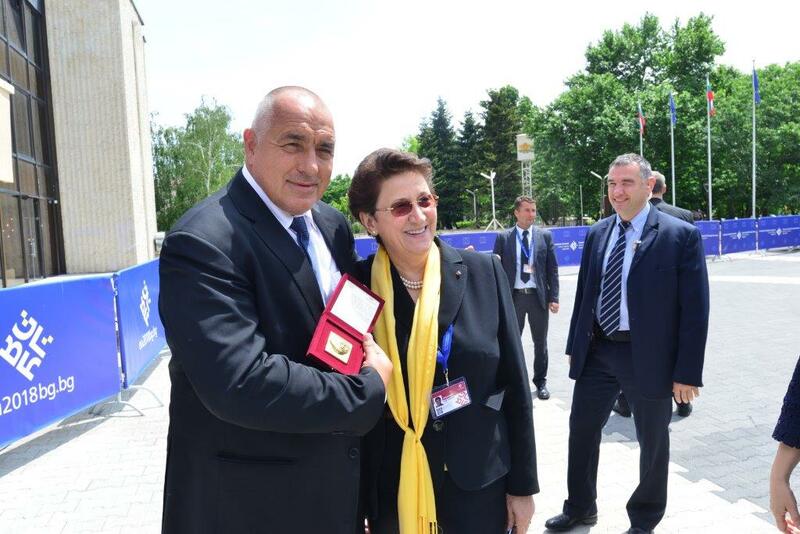 Kocho Angjushev, took part. 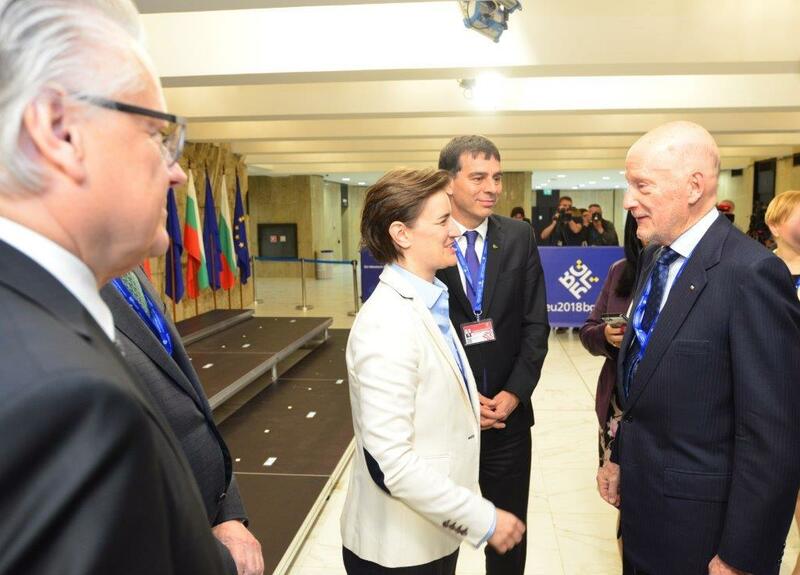 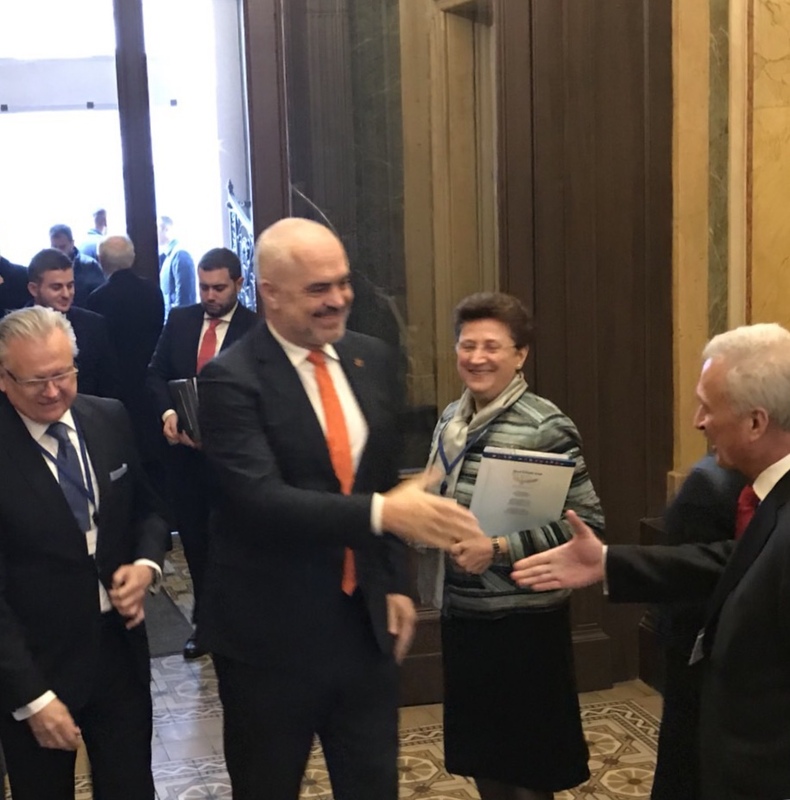 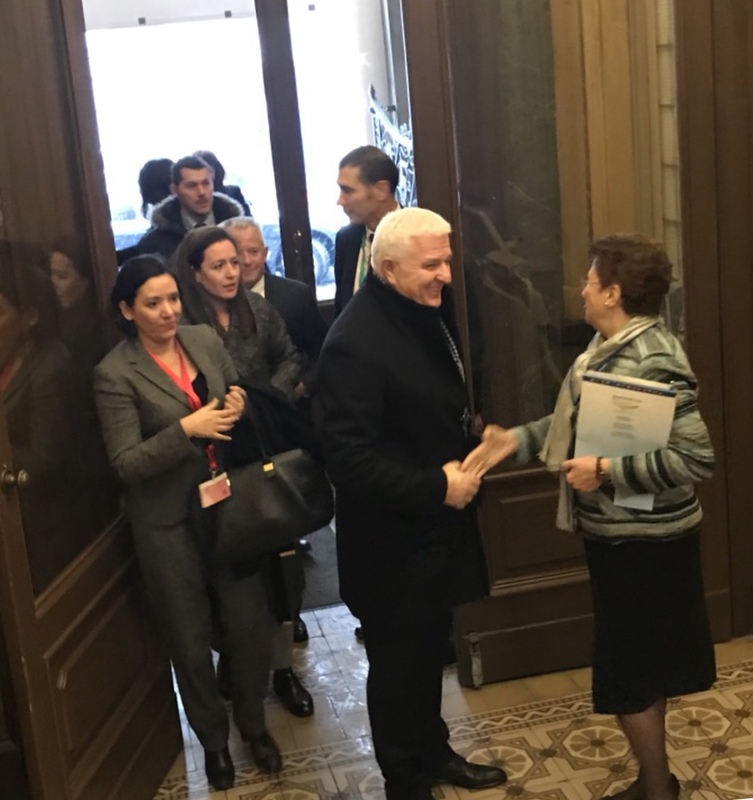 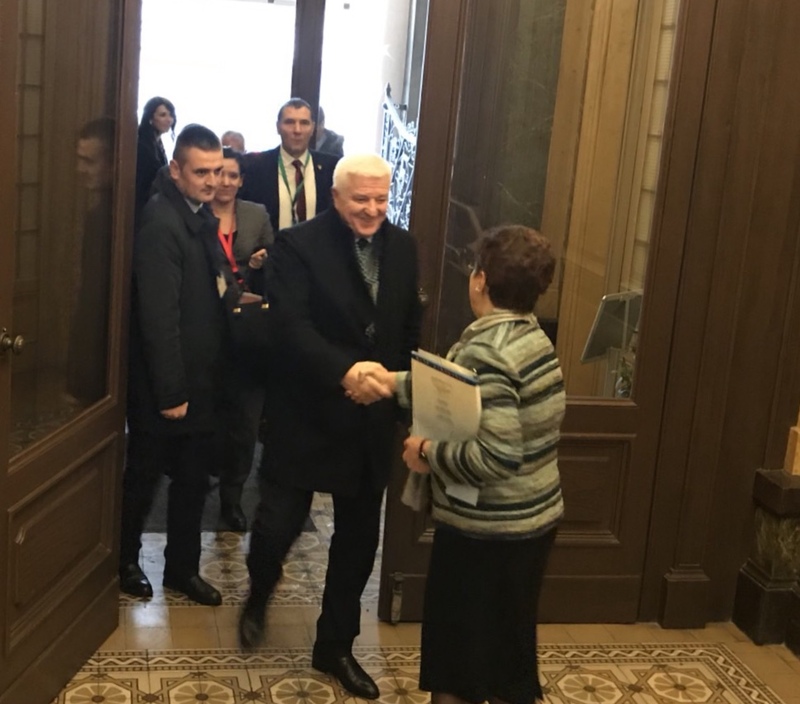 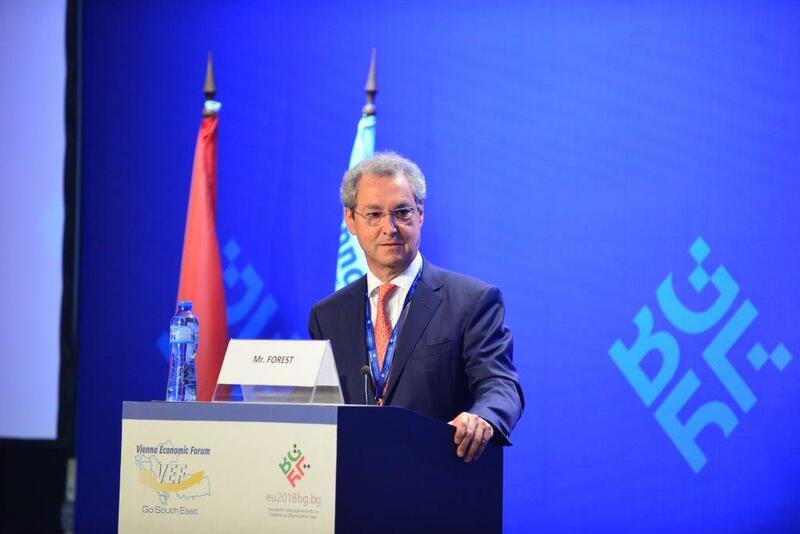 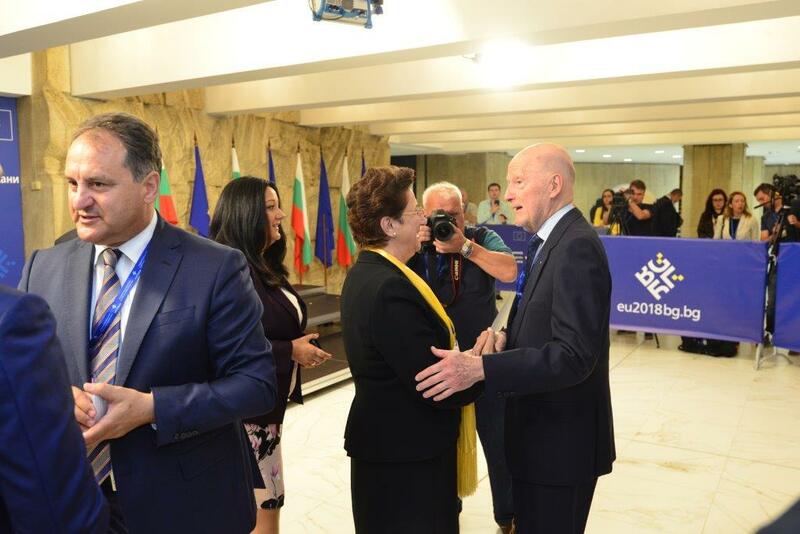 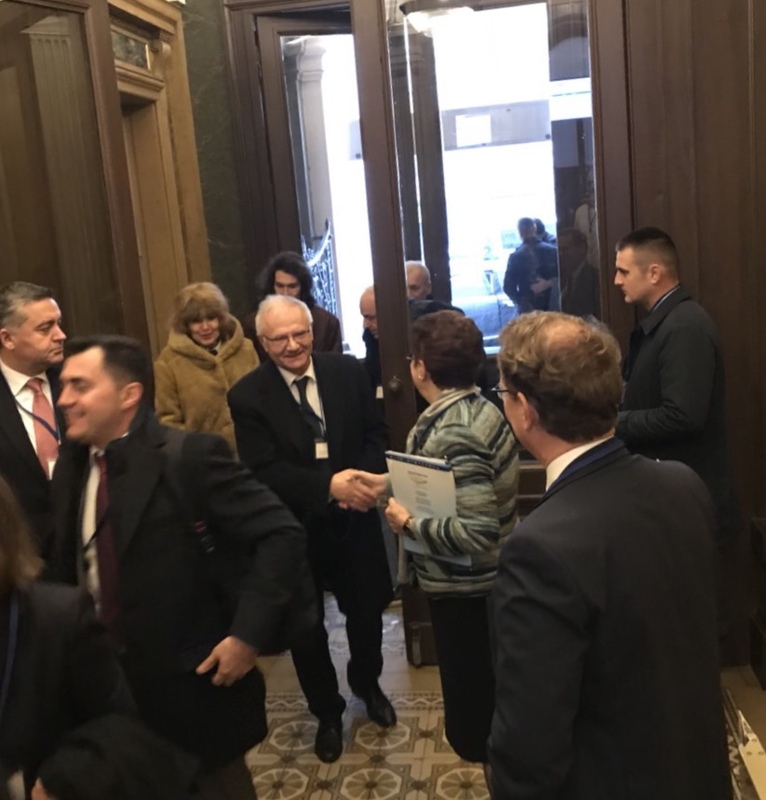 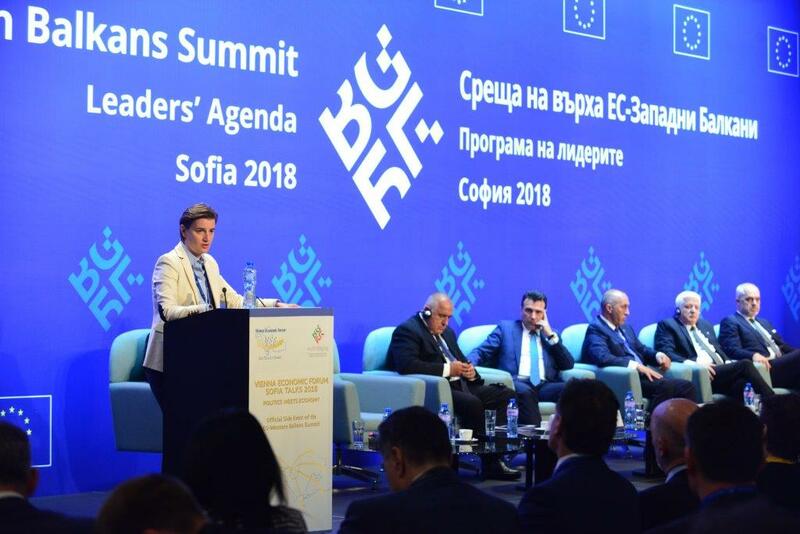 Since VEF always sets concrete and pragmatic goals, the Secretary General reported on the positive results from the Vienna Economic Forum- Sofia Talks 2018 and, at the end of the 1st Session invited for a signing of a Memorandum of Understanding (MoU) establishing a Digital ICT School for the young people of the VEF region. 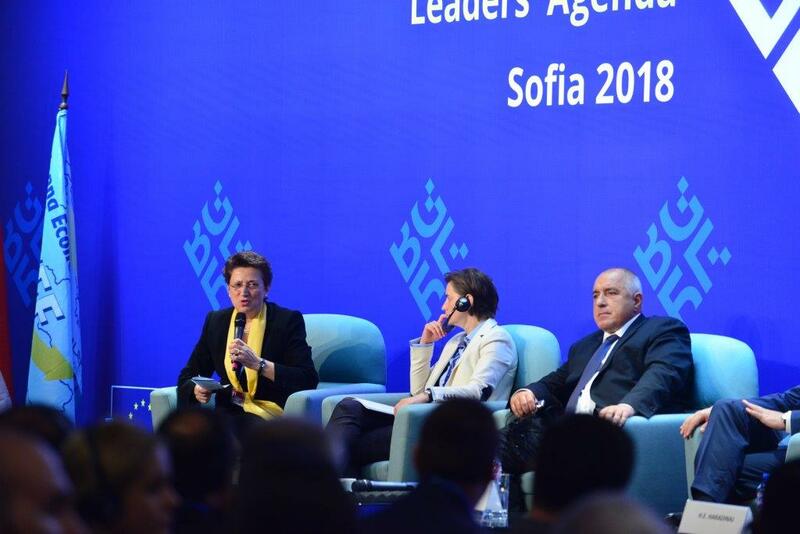 At the Vienna Economic Forum - Sofia Talks 2018, which was held on 18. 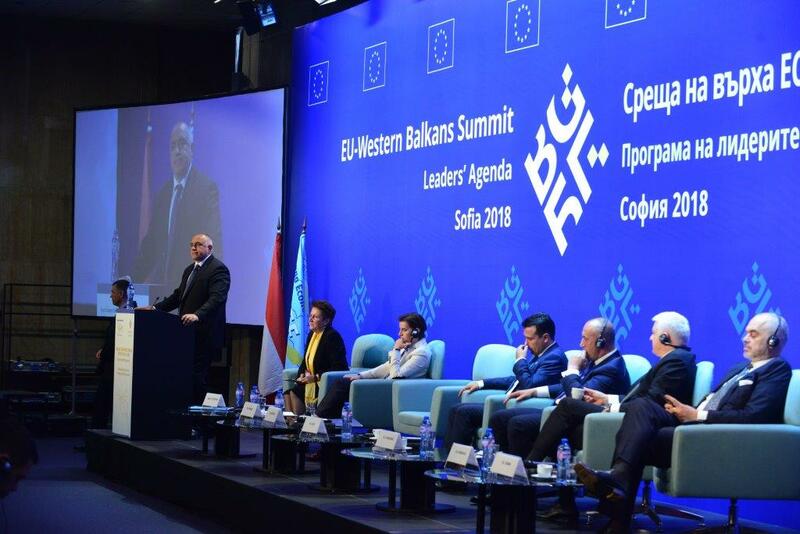 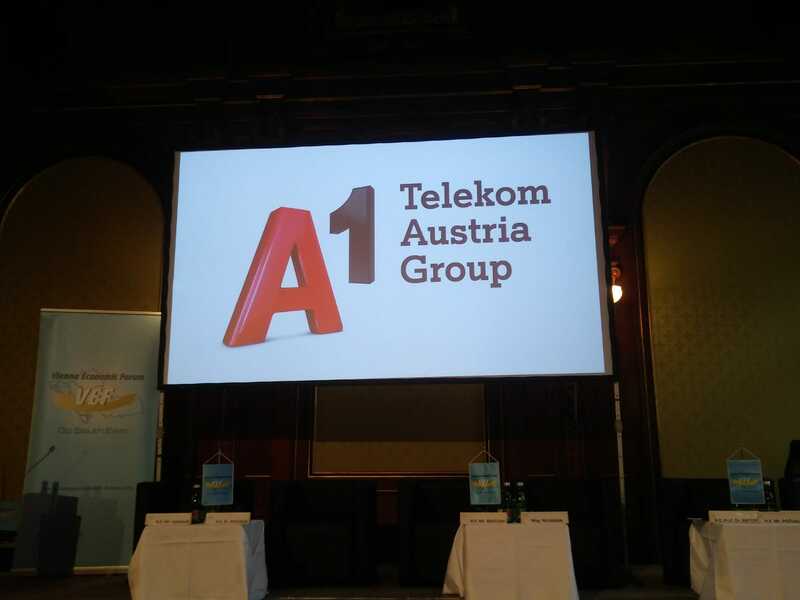 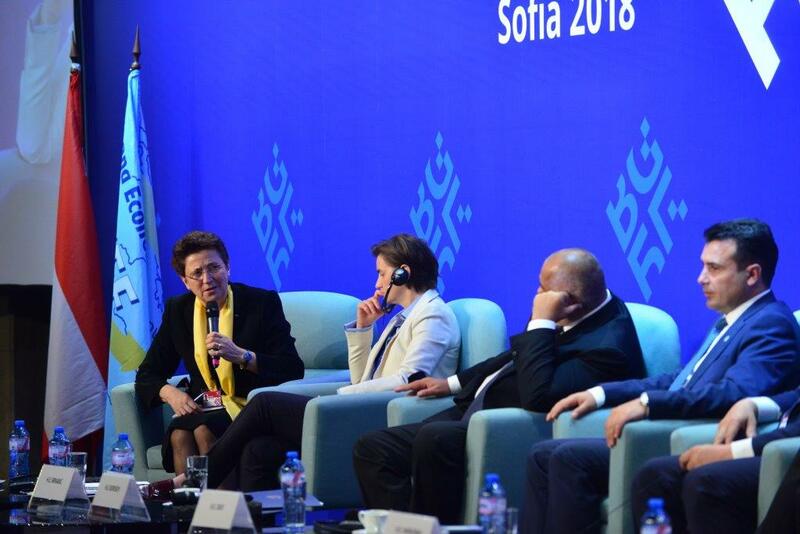 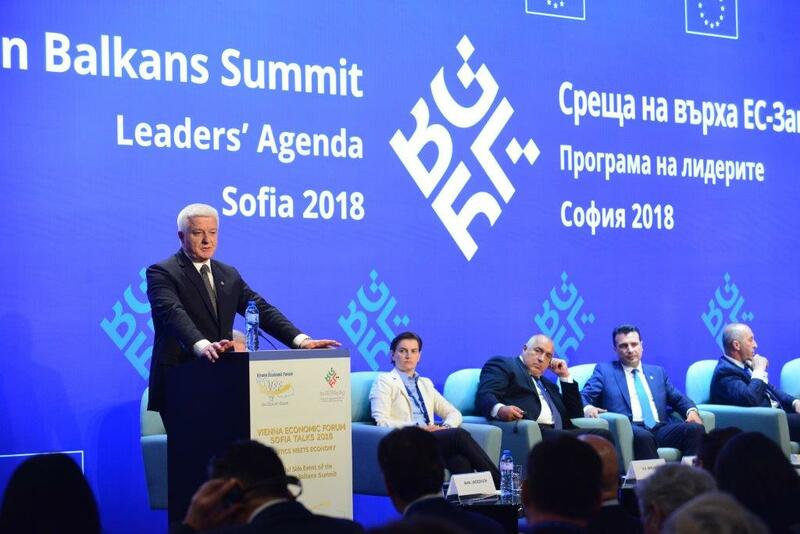 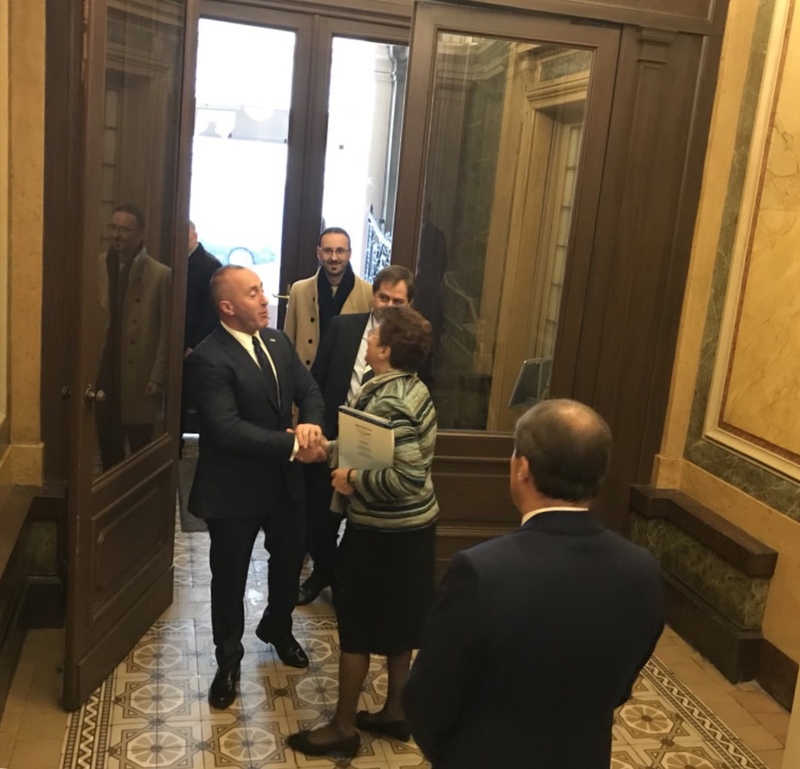 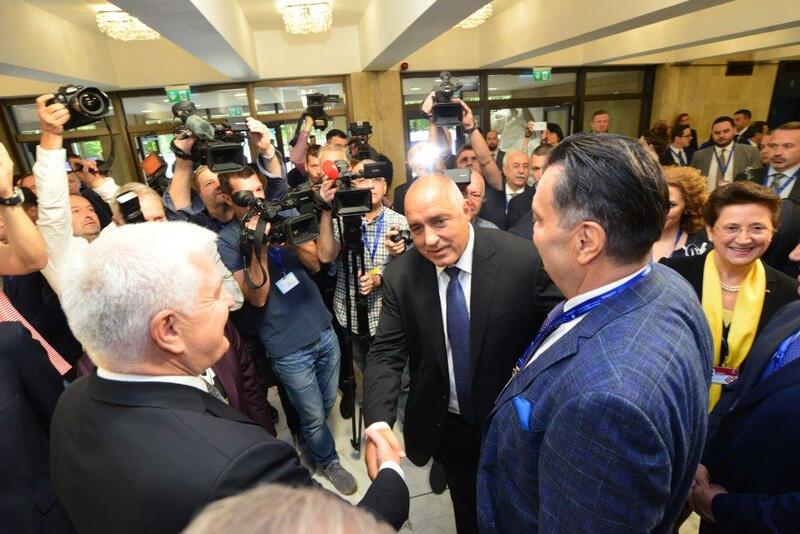 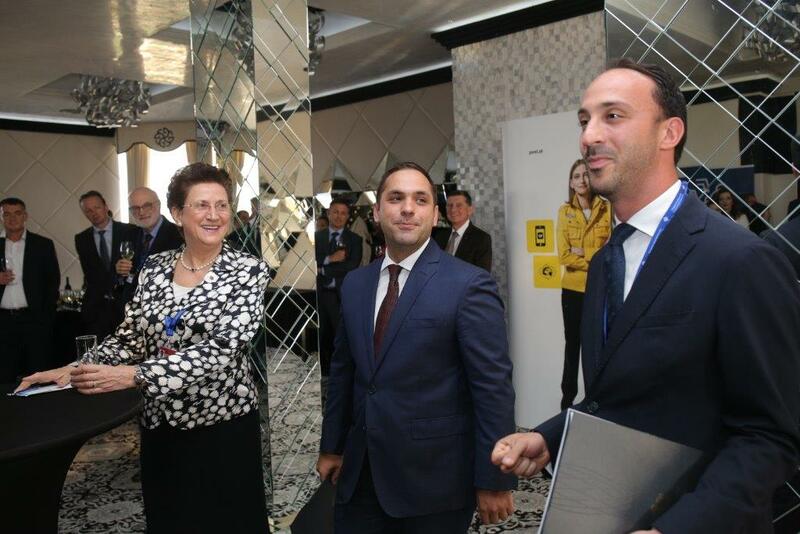 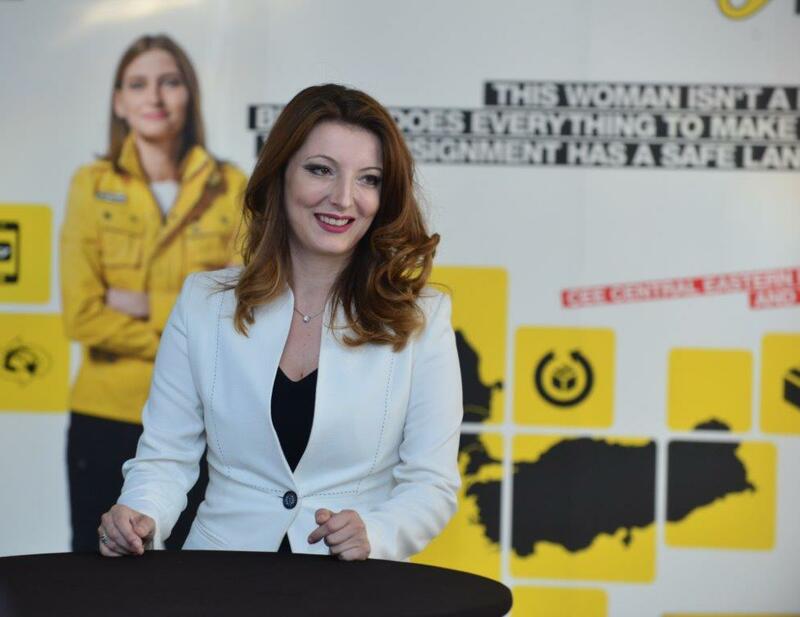 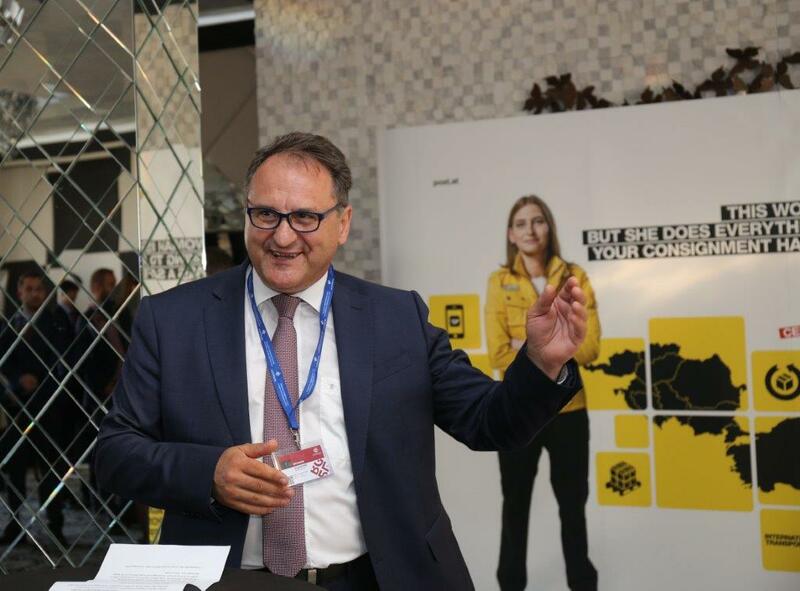 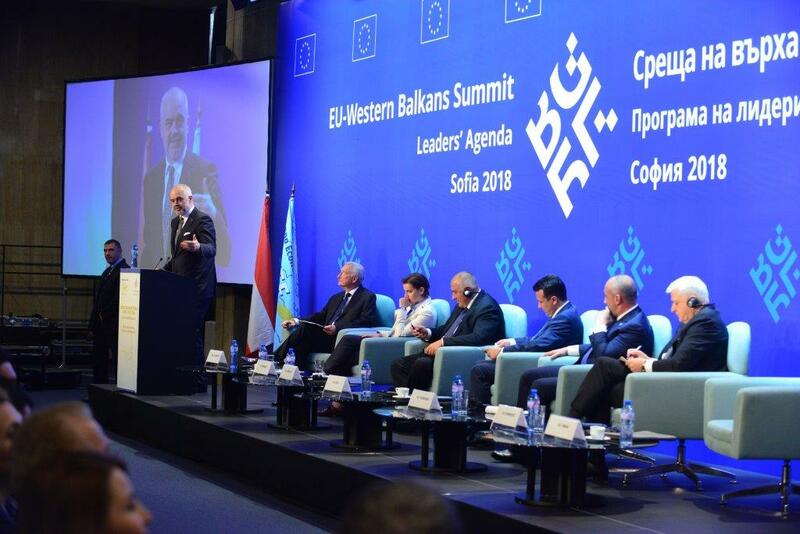 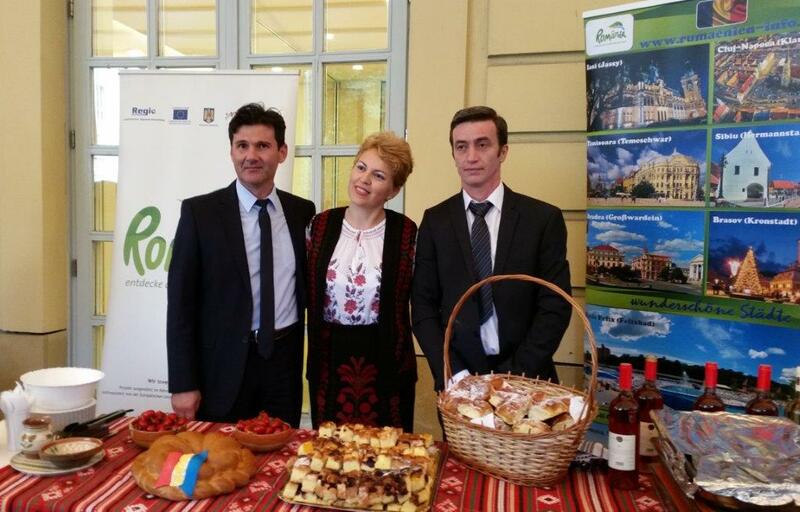 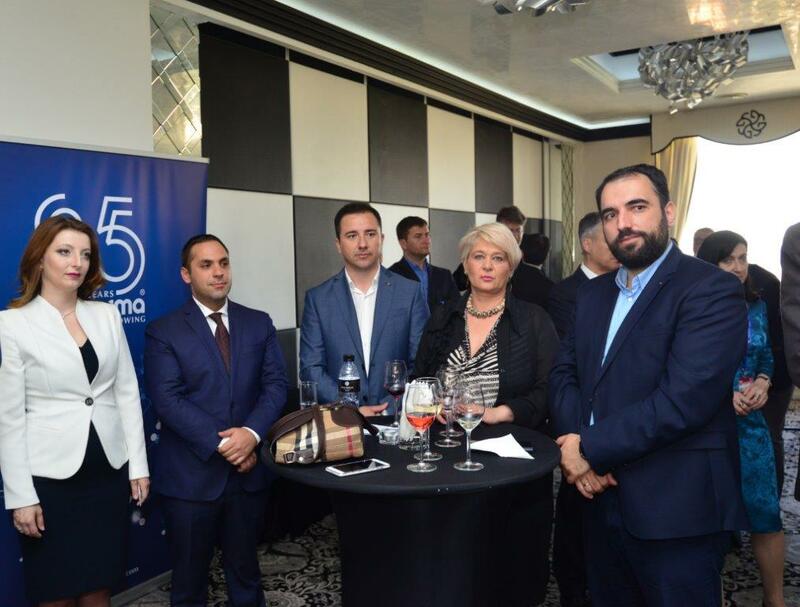 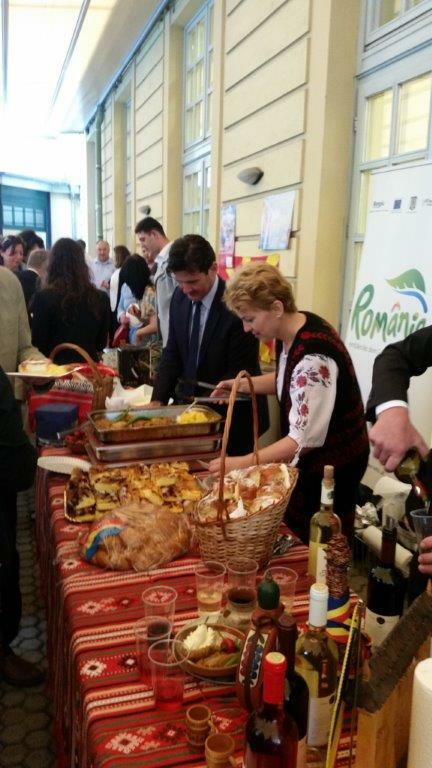 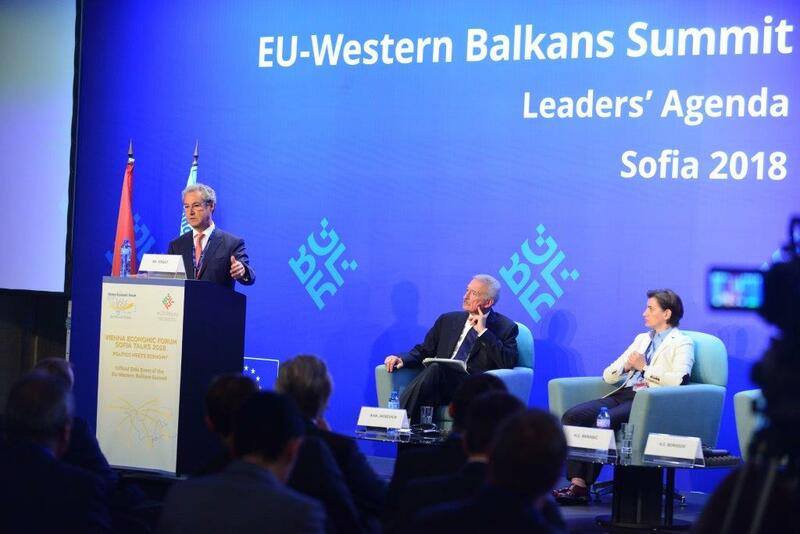 May 2018 in Sofia, together with the 6 countries of the Western Balkans under the same motto "Business meets politics", the representative of A1 Telekom Austria Group informed the Prime Ministers of the Western Balkan countries about the serious need in the telecom industry to train a new generation of young people capable of "absorbing" the necessary knowledge in the rapid development of world digitization. 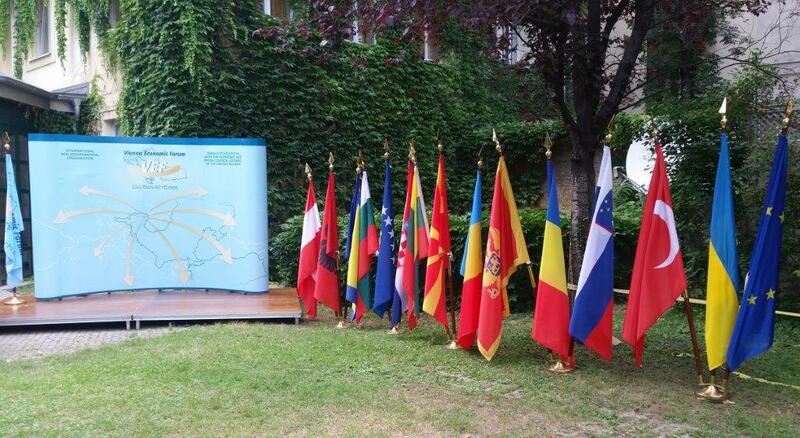 The Vienna Economic Forum took this vision which further became a VEF inspiration with the willingness and active commitment of the Rectors and Professors of 3 regional universities - New Bulgarian University (NBU) Sofia, IMC University of Applied Sciences Krems and TITU MAIORESCU University of Bucharest who came to a joint Memorandum of Understanding, which was signed in the presence of EU Commissioner Mariya Gabriel, the CEO of A1 Telekom Austria Group Mag. 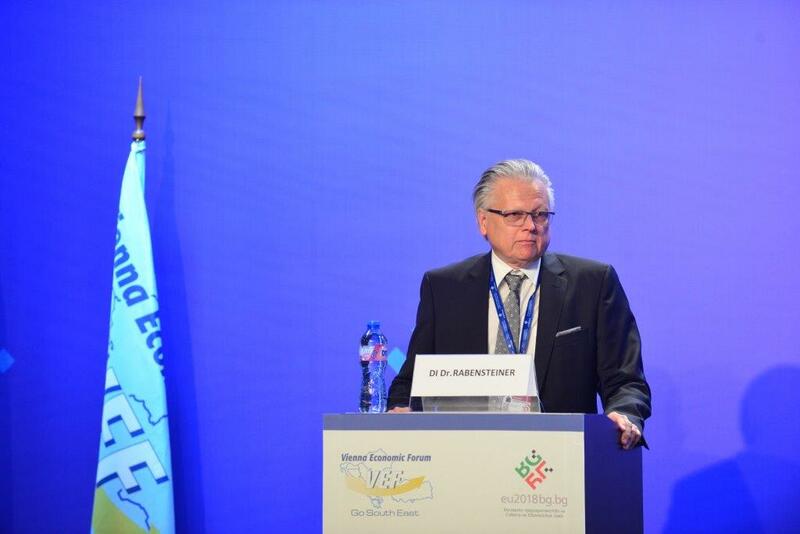 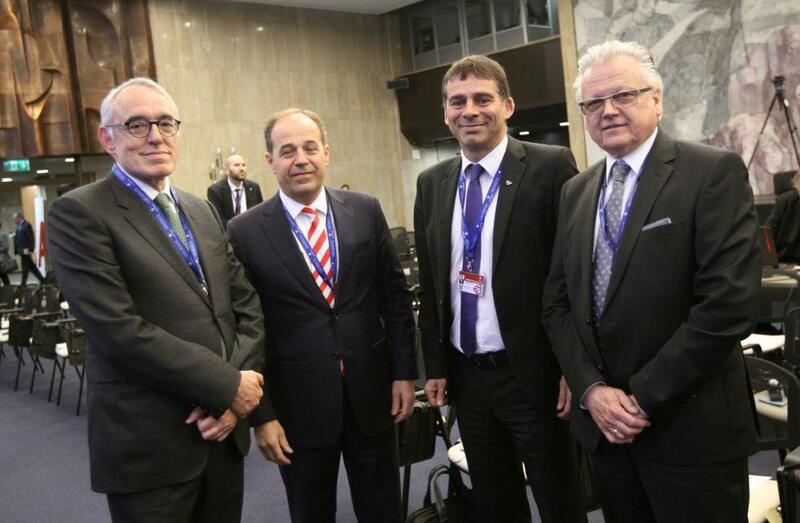 Thomas Arnoldner, Member of the Board of the Vienna Economic Forum and other VEF Board members. 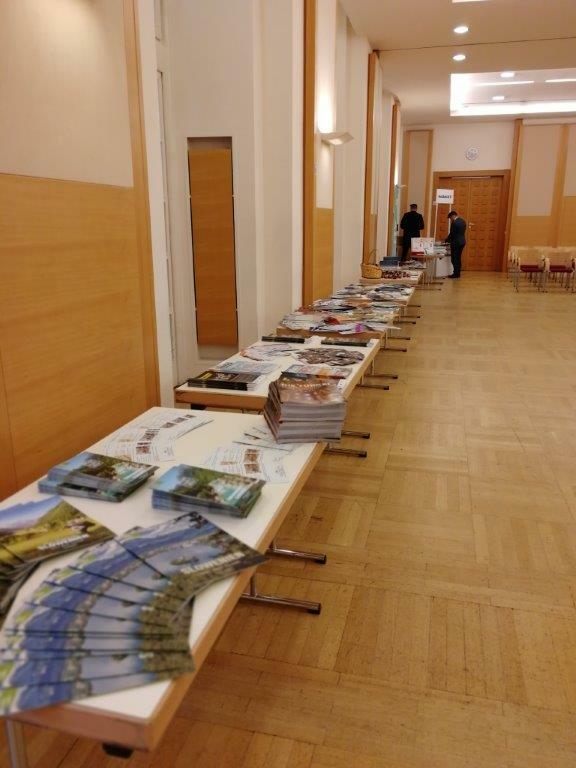 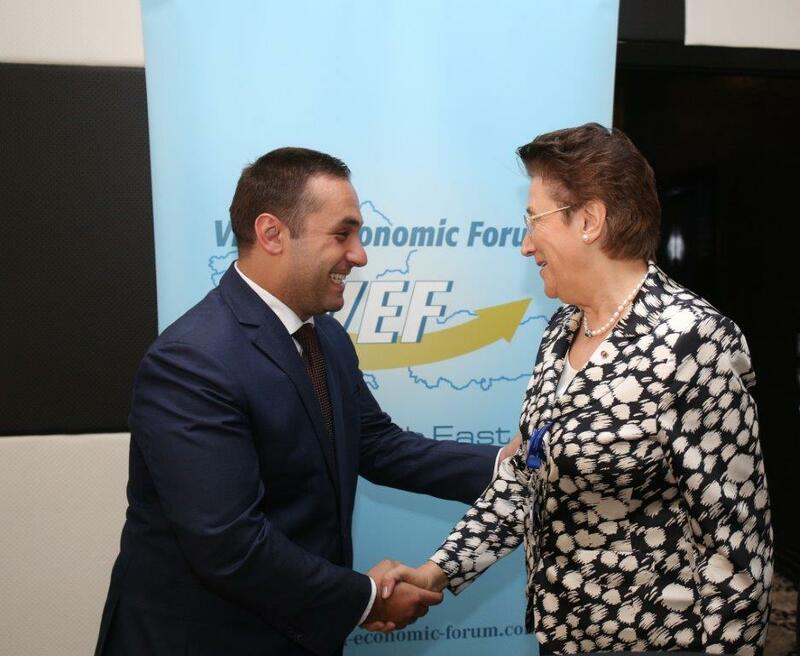 With this initiative, Vienna Economic Forum continues to focus on the good economic development of the member states. 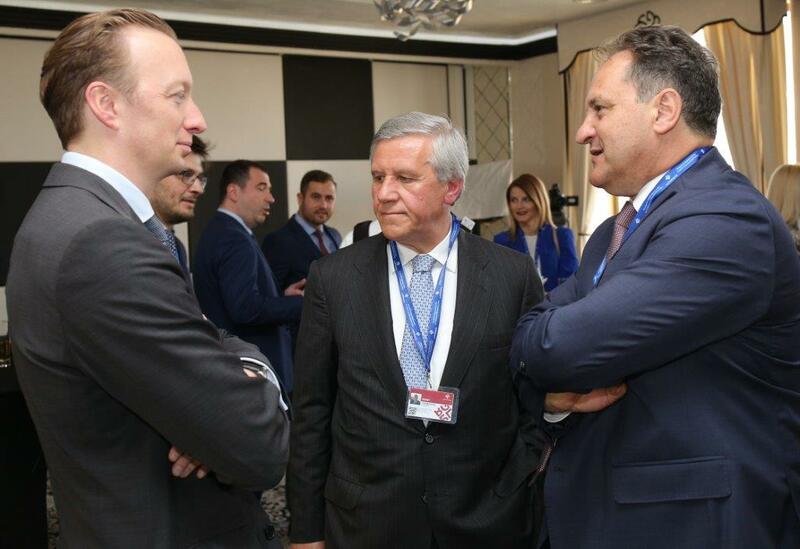 In the Afternoon Working Session "A Strong Europe Through a Strong Economic Connection: Building Bridges", Ministers H.E Mr. Damian Gjiknuri, Minister of Infrastructure and Energy of Albania, H.E. 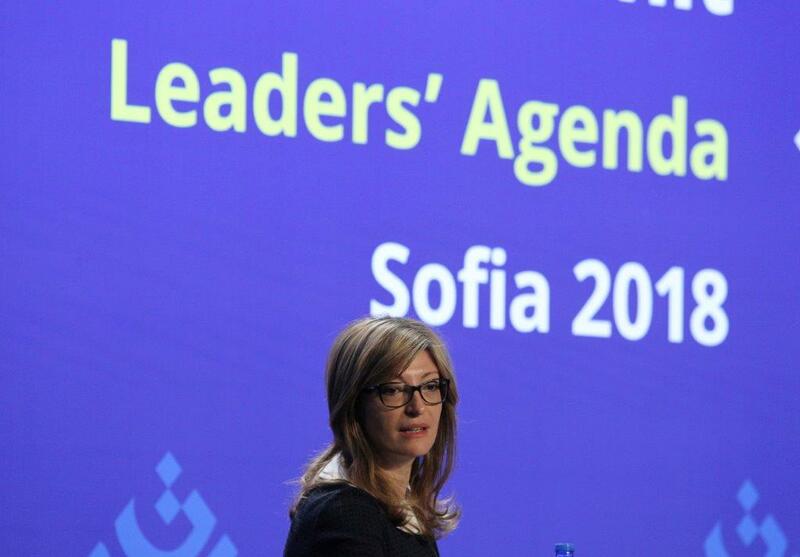 Dr. Lilyana Pavlova, Minister of the Bulgarian Presidency of the EU Council, H.E. 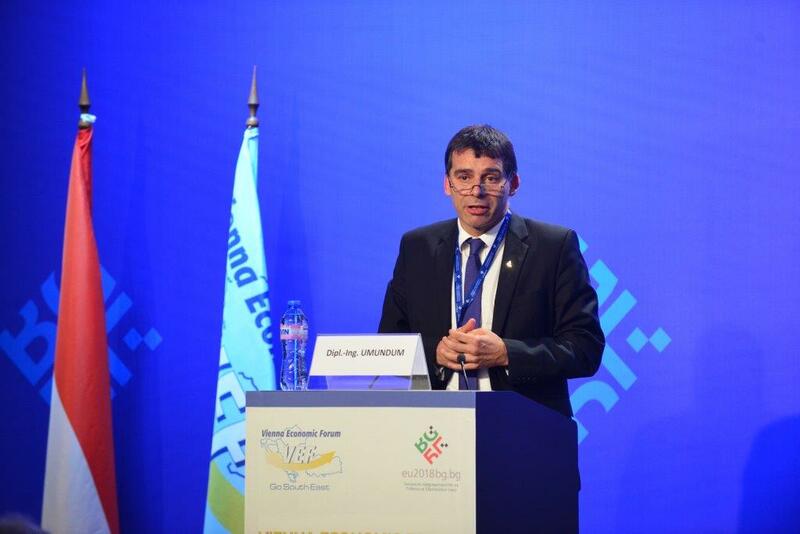 Mr. Kreshnik Bekteshi, Minister of Economy of Macedonia, H.E. 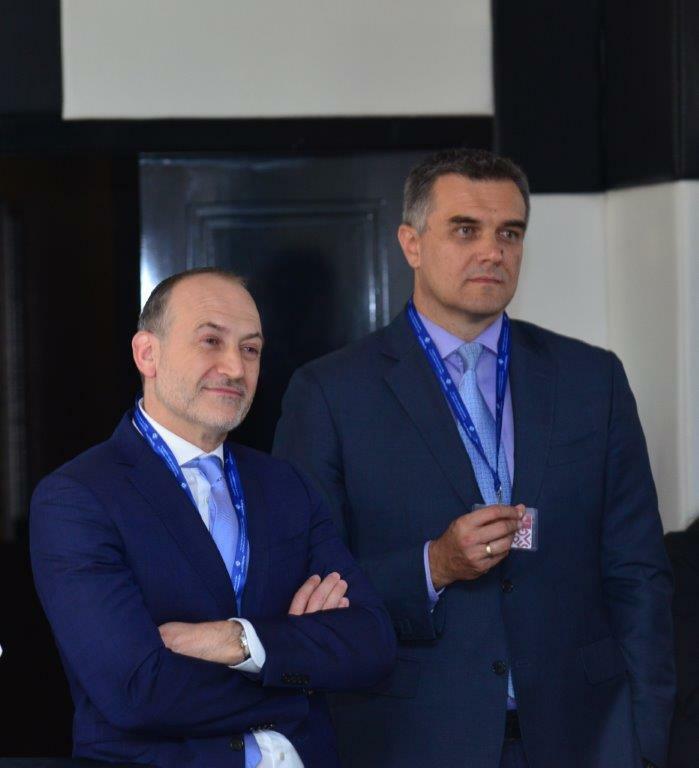 Prof. Dr. Antony Anton, Minister of Energy of Romania and H.E. 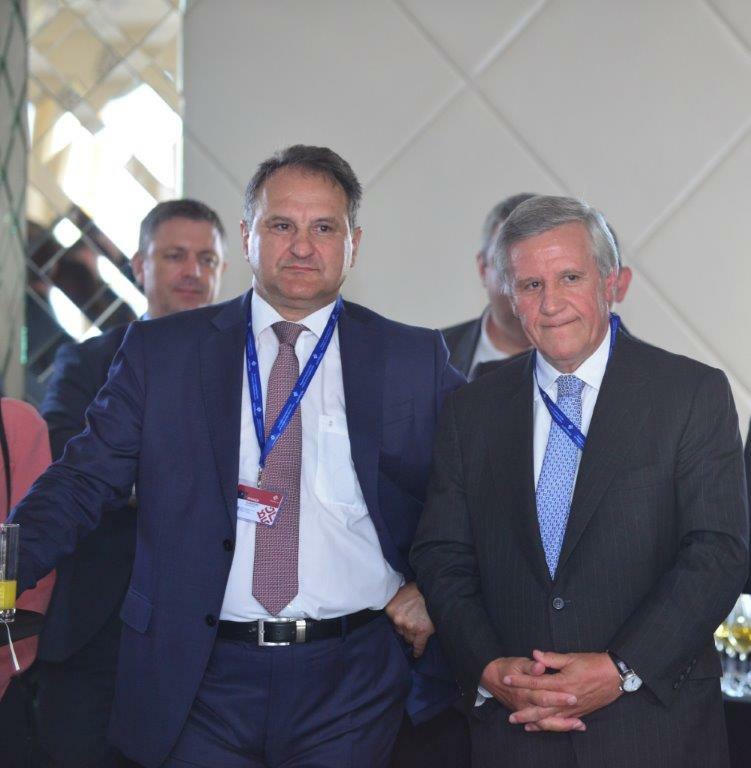 Mr Zdravko Pocivalshek, Minister for Economic Development and Technology of Slovenia, discussed how strong economic cooperation can contribute to a strong Europe. 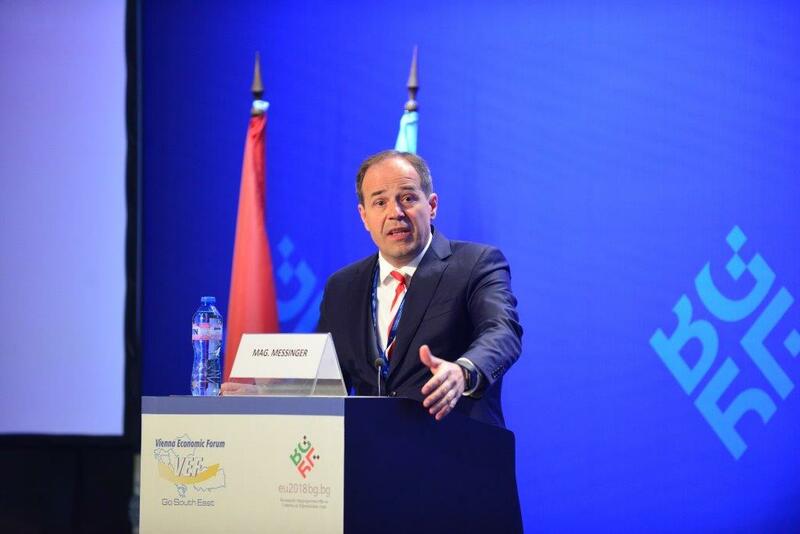 The moderator Amb. 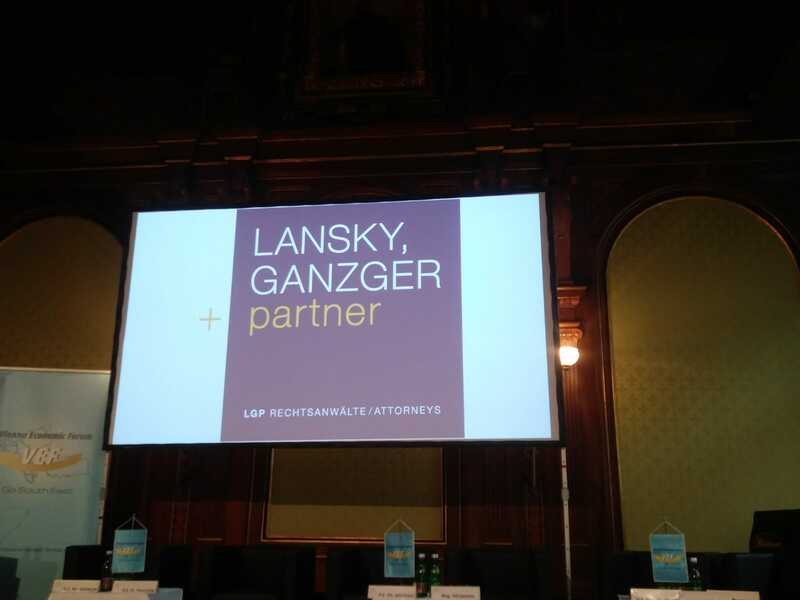 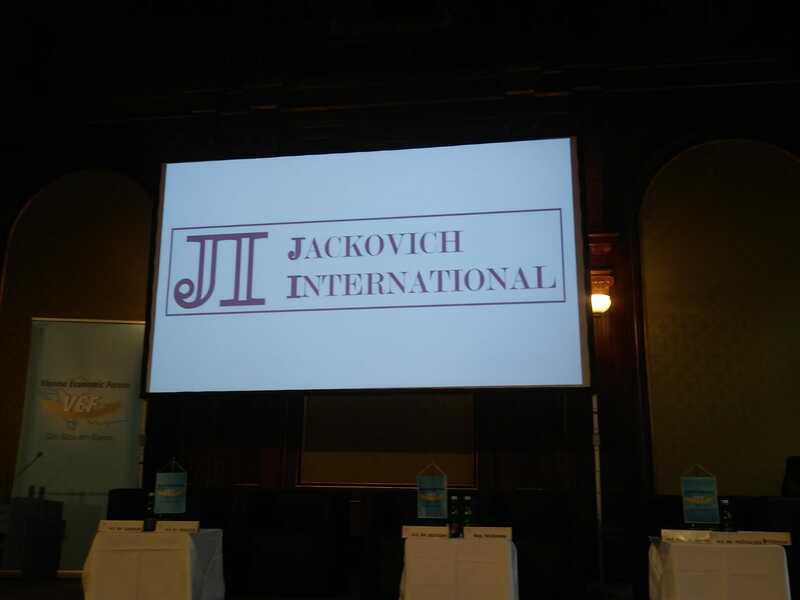 Victor Jackovich, president of Jackovich International LLC, USA and Member of the Board of Vienna Economic Forum invited Dr. Daniel Thorniley, President of DT-Global Business Consulting to deliver his External View Statement and to share his visionary thoughts with the audience. 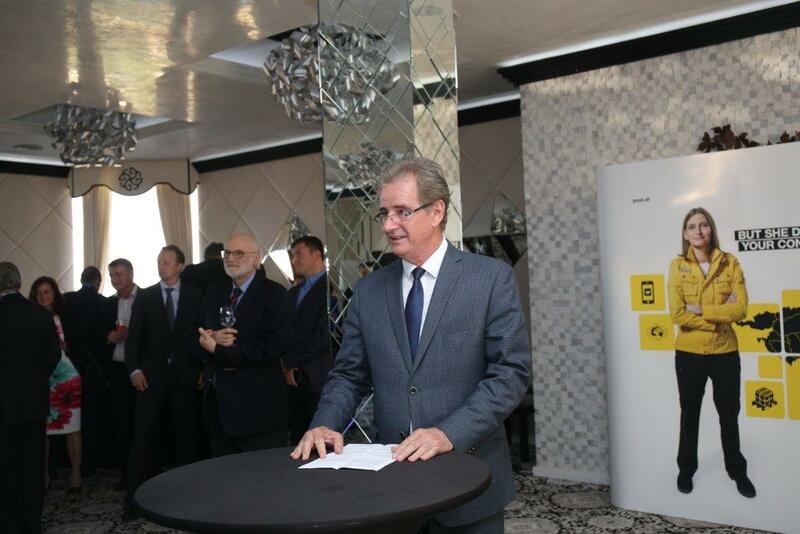 In his Impulse Statement, Mag. 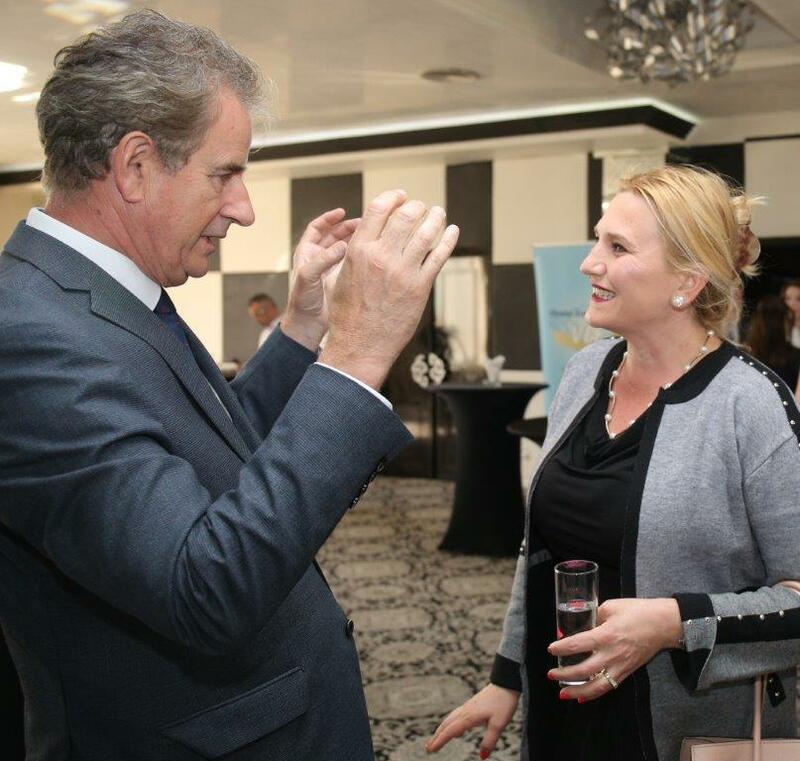 Harald Neumann, CEO, Novomatic AG, Vice President of Vienna Economic Forum and Honorary Consul of Romania with a Consular District of Lower Austria, spoke about building bridges in the transregional economy and the great opportunities of the Romanian economy. 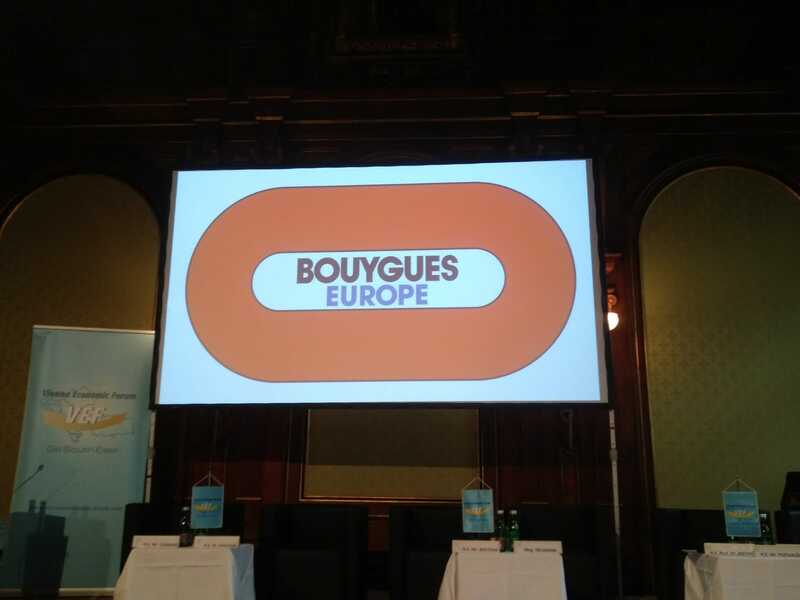 As further representatives of the regional and international economy with most interesting contributions, the members of the VEF Board Dr. Emmanuel Forest, CEO, BOUYGUES Europe, SA, Belgium and Dr. Ludwig Niessen, Member of the Management Board, COO / CTO, Wiener Börse AG, took an active part as Speakers. 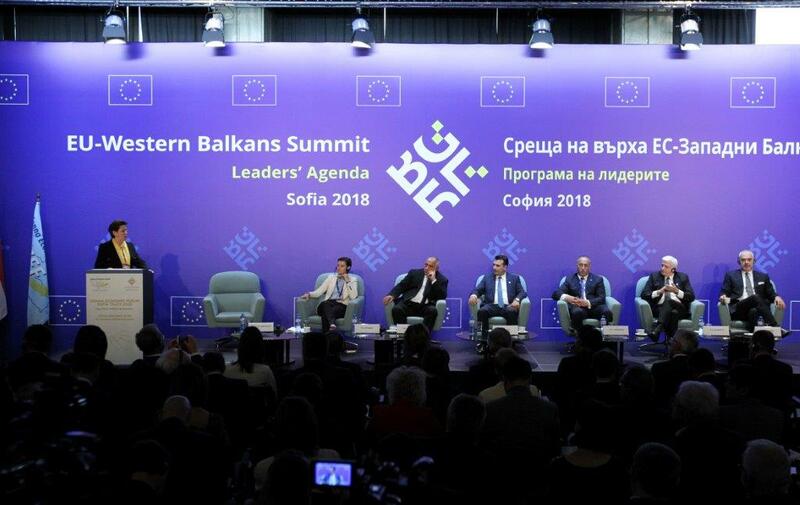 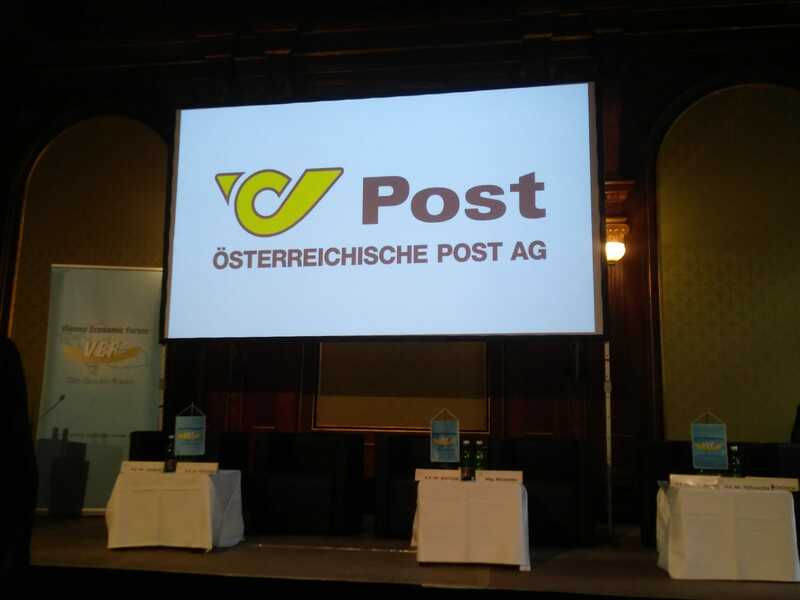 The following Q and A session led to lively discussions and exchange of views with the high representatives of regional and European politics as well as the high-ranking representatives of the Austrian, regional, European and international economy. 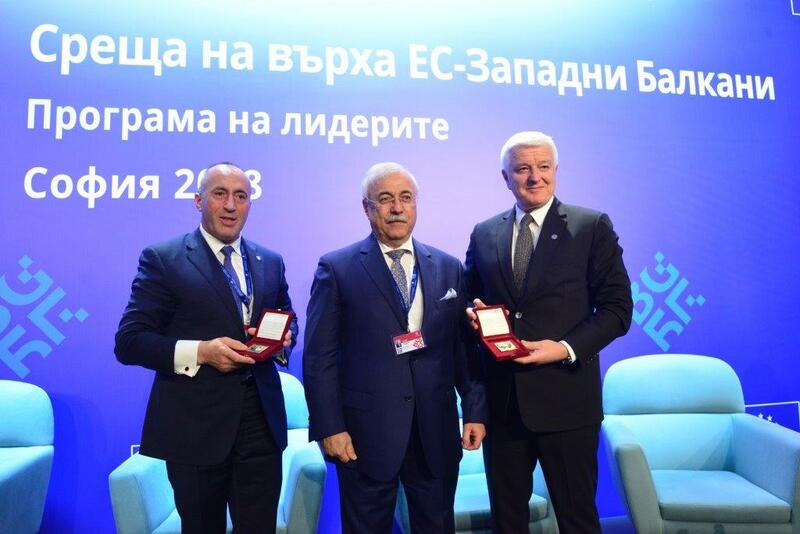 At the traditional Annual Award Ceremony of the 15th Jubilee Vienna Economic Forum - Vienna Future Dialogue 2018 the following were unanimously nominated and honored with the Vienna Economic Forum Award 2018: As Country Partner of the year 2018 the member country Bulgaria, for the great contribution to regional economic cooperation during the Bulgarian Presidency of the Council of the European Union. 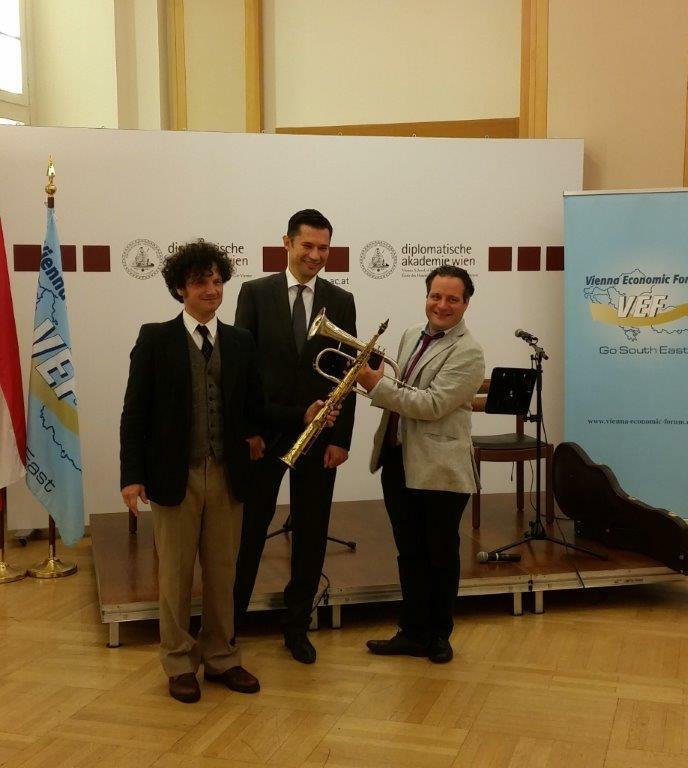 The award was accepted by H.E. 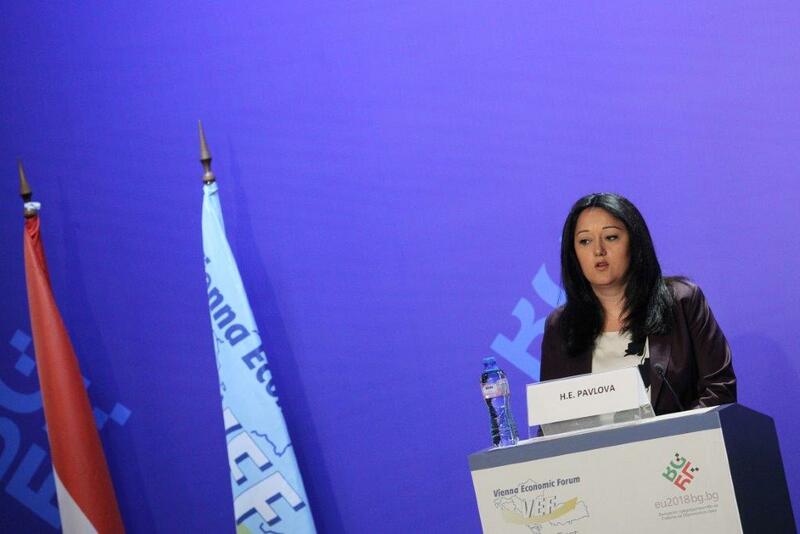 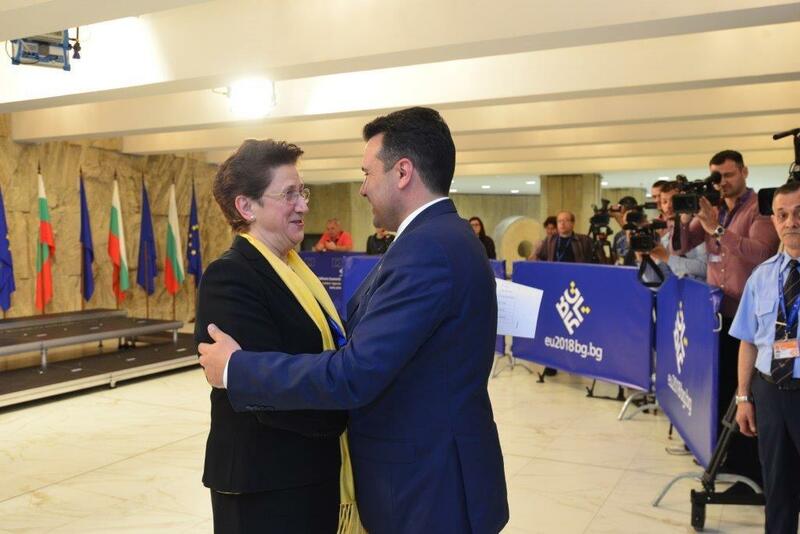 Dr. Lilyana Pavlova, Minister of the Bulgarian Presidency of the Council of the EU. 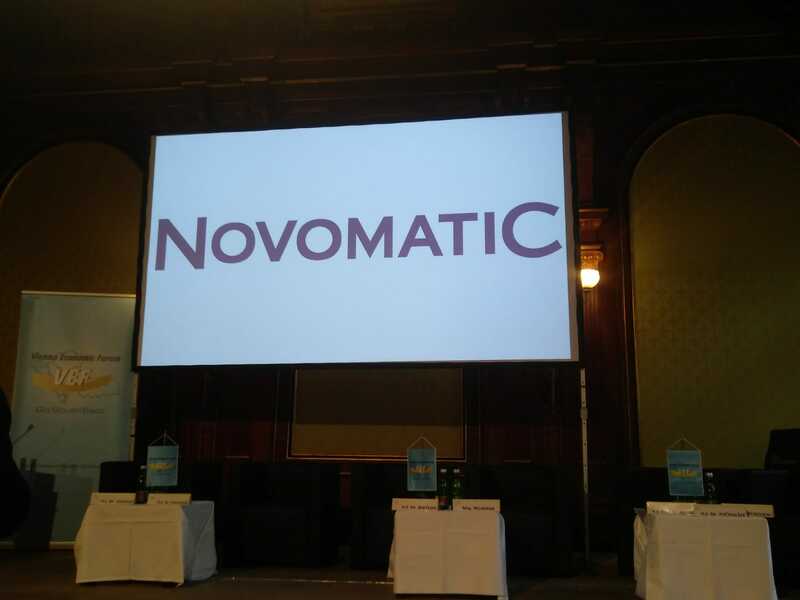 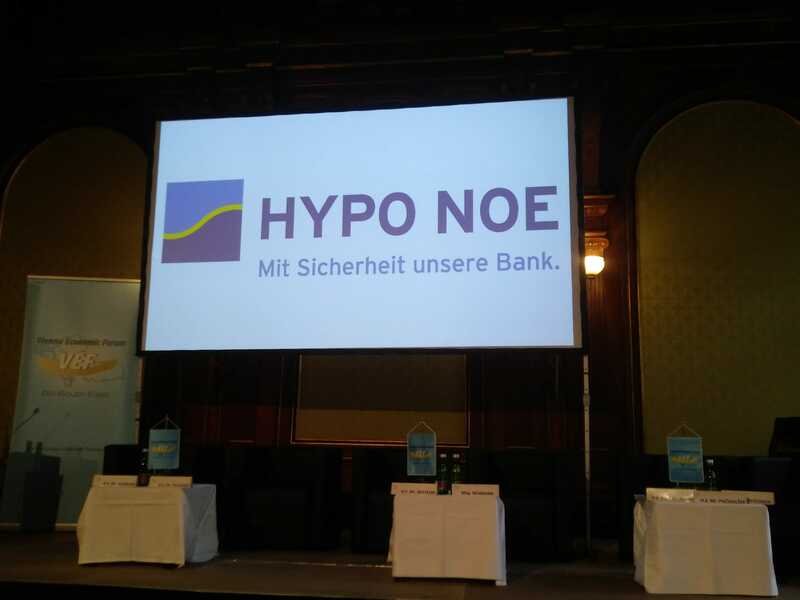 As cooperation partner of the year 2018 Novomatic AG for the great contribution to the economic development on international and regional level in the member countries of Vienna Economic Forum. 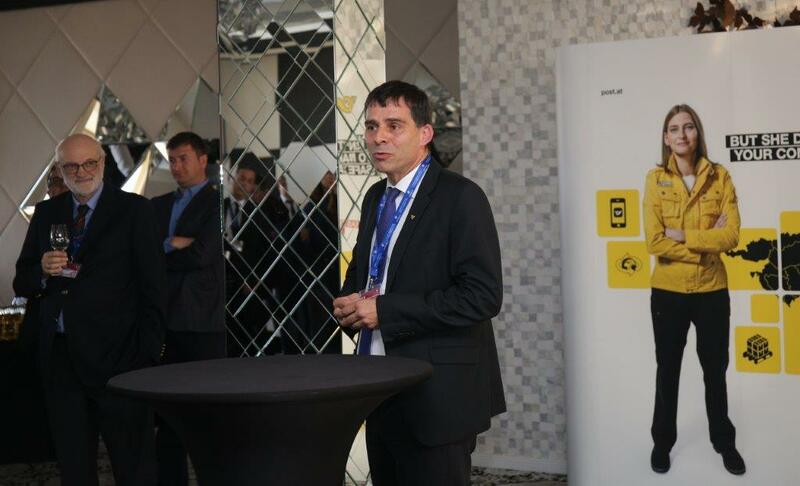 The award was accepted by CEO Mag. 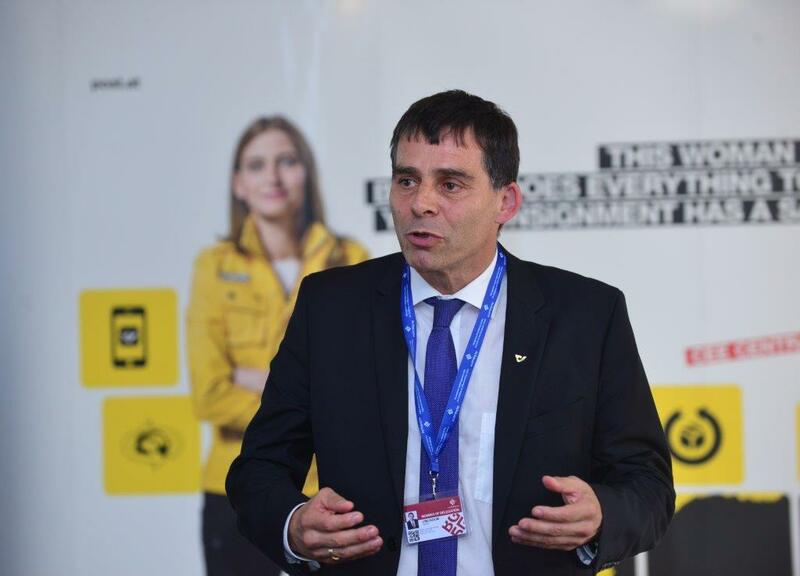 Harald Heumann. 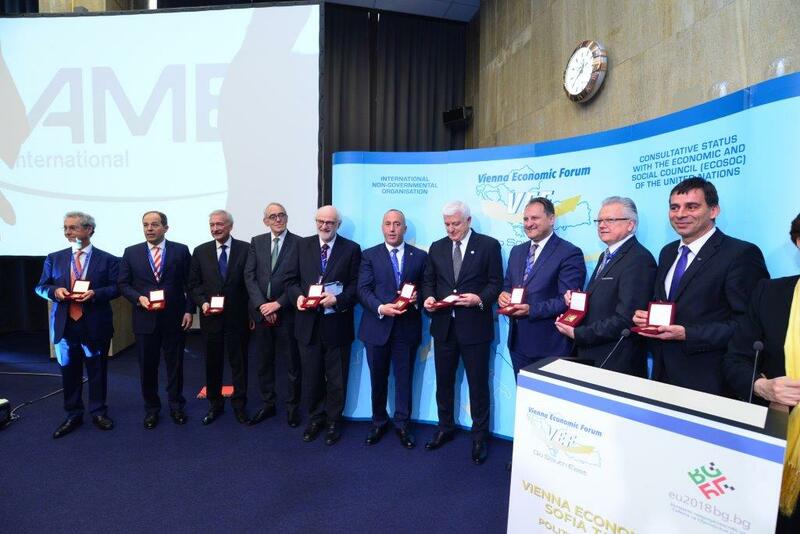 As Vienna Economic Forum Special Appreciation Award 2018 - Penkov, Markov & Partners for the great contribution to regional common understanding and excellent cooperation. 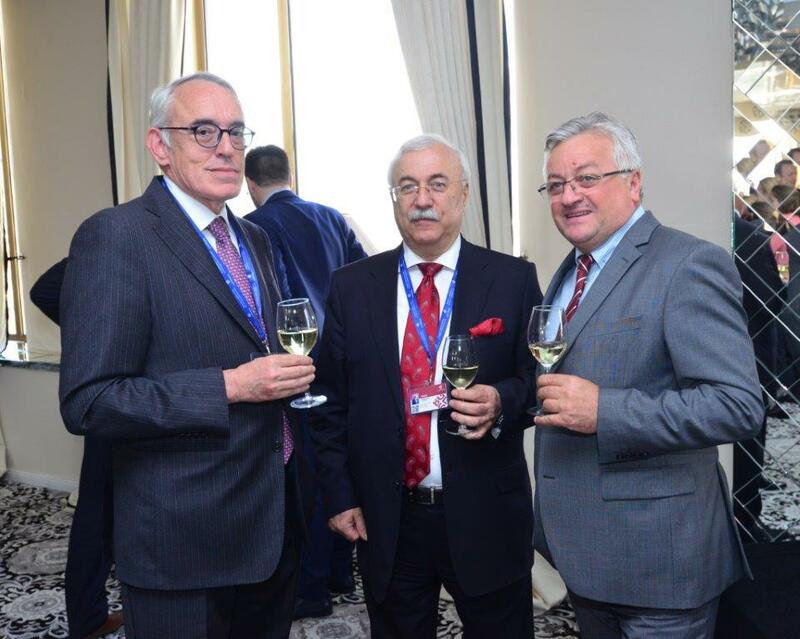 The award was presented by Vladimir Penkov, Senior Partner and Chairman, Penkov & Markov & Partners International Law Firm Received; and as Vienna Economic Forum Media Partner 2018 - Monitor TV for the long-standing great media representation of the Vienna Economic Forum and excellent cooperation and media support. 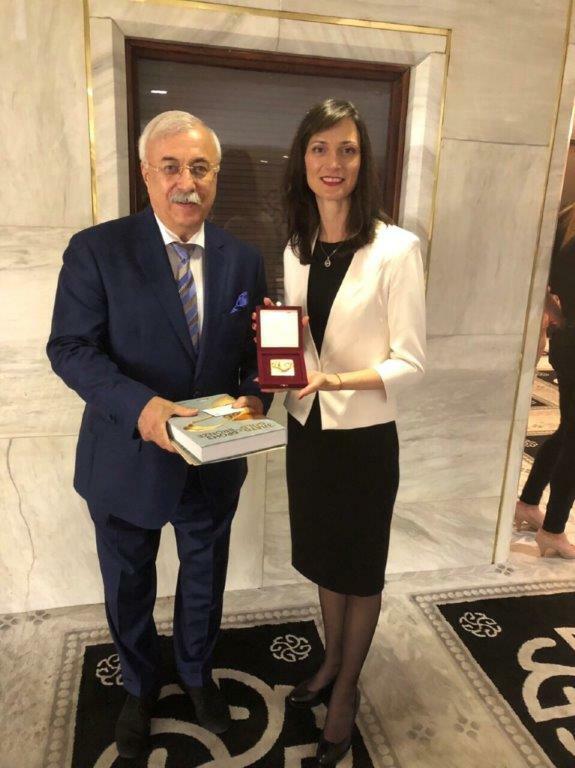 The award was accepted by Mag. 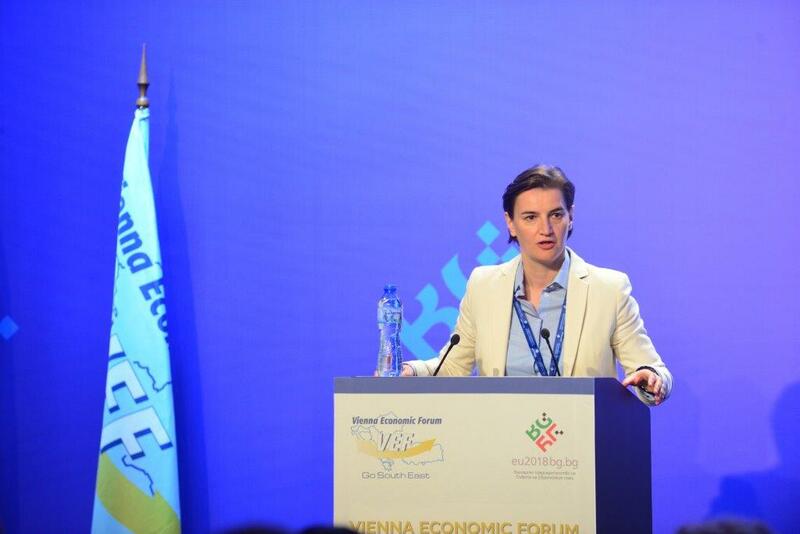 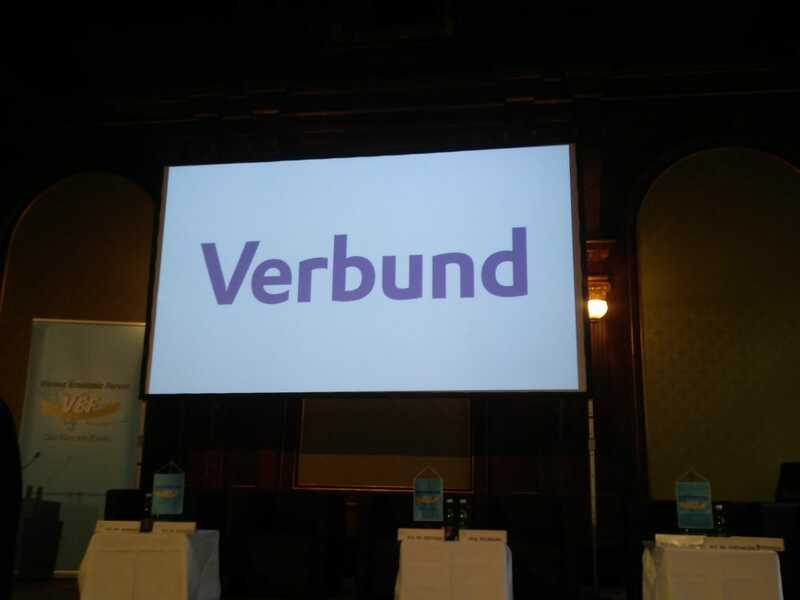 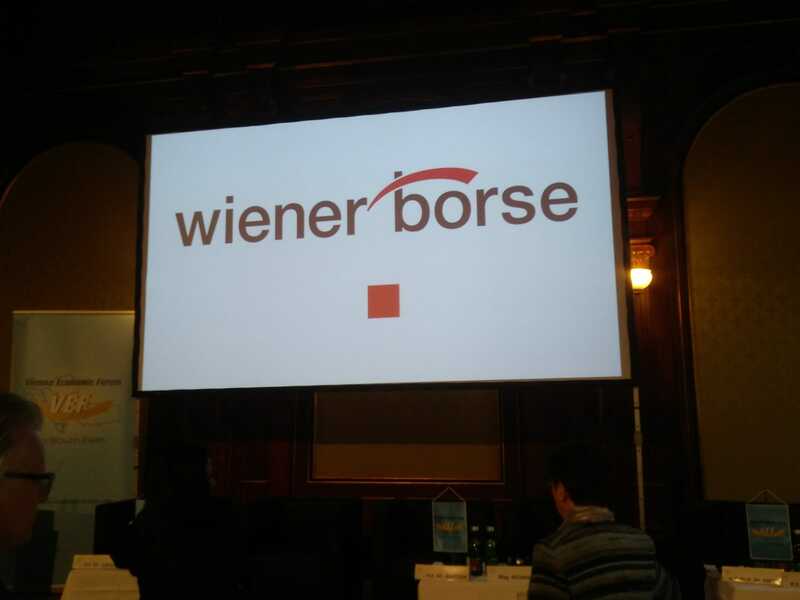 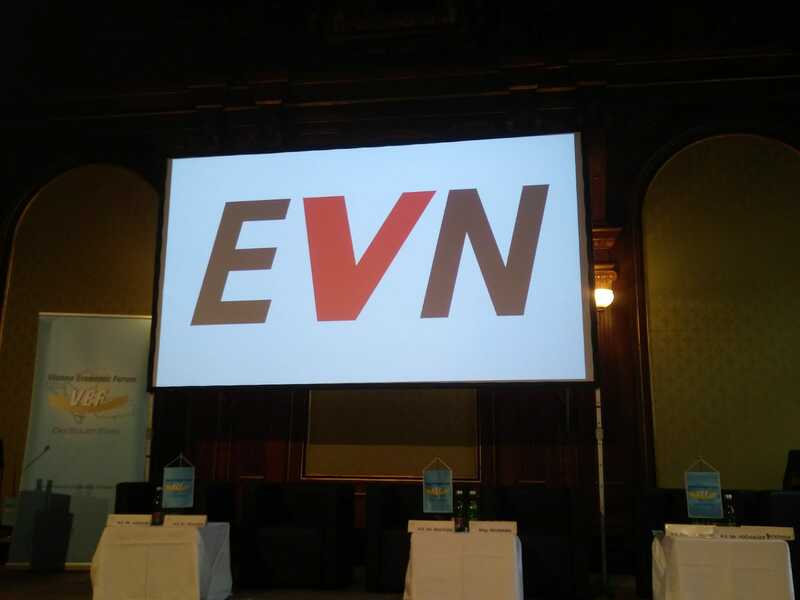 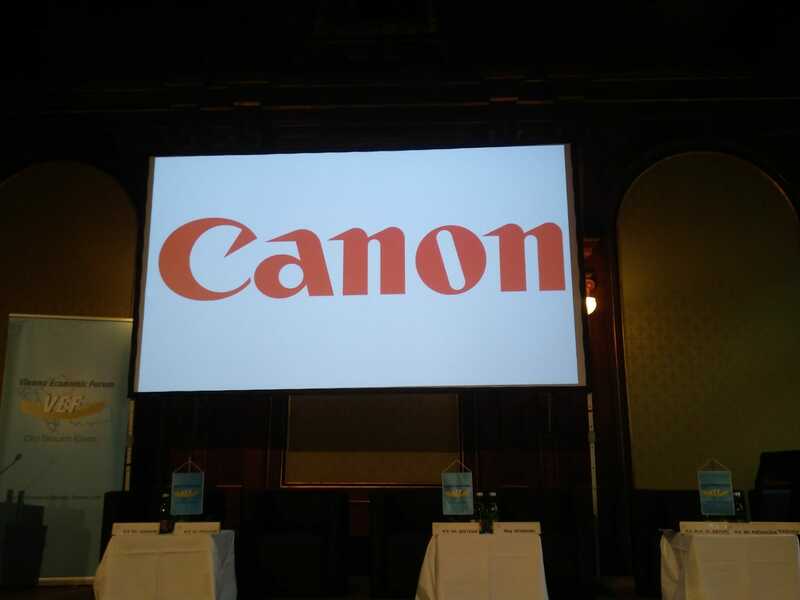 Thomas Ebner, Senior News Editor, MonitorTV Journalist & Media Trainer, main media partner of the Vienna Economic Forum. 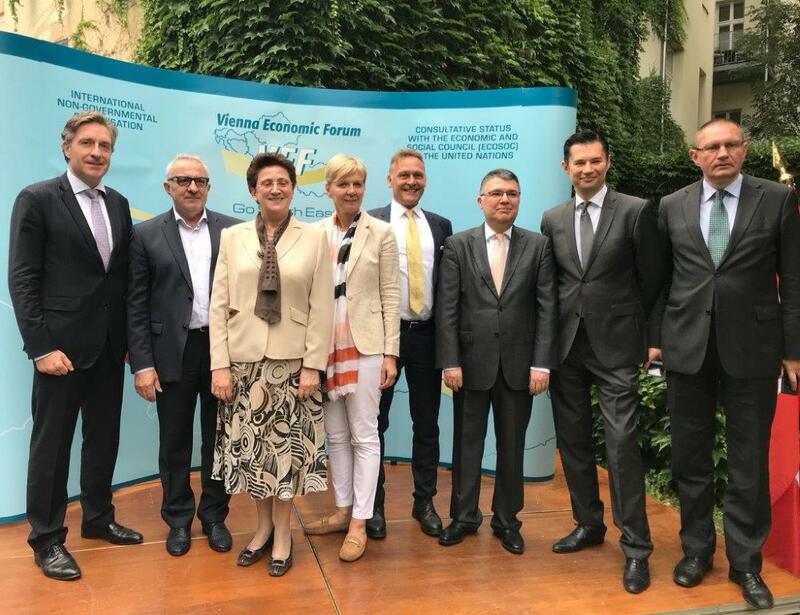 Vienna Economic Forum would like to thank all members, partners and friends for the excellent and long-lasting cooperation, which motivates and inspires us for further activity! 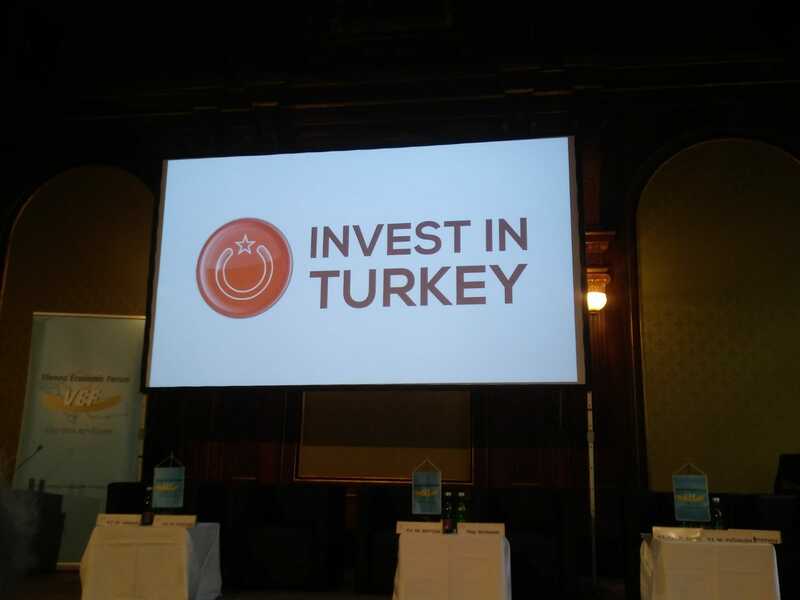 Special thanks go to all the cooperation partners: A1 Telekom Austria Group, AME International GmbH, Bouygues Europe SA, CANON CEE GmbH, DenizBank AG, EVN AG, Flughafen Wien AG, Freshfields Bruckhaus Deringer, HYPO NOE Landesbank, Investment Support and Promotion Agency of Turkey (ISPAT), Jackovich International LLC, LANSKY, GANZGER + partner, Novomatic AG, Österreichische Post AG, Serbian Association of Economists, Siemens AG Österreich, Sopharma PLC, The Presidency of the Republic of Turkey Investment Office, Verbund AG, Wiener Börse AG, Wien Holding GmbH. 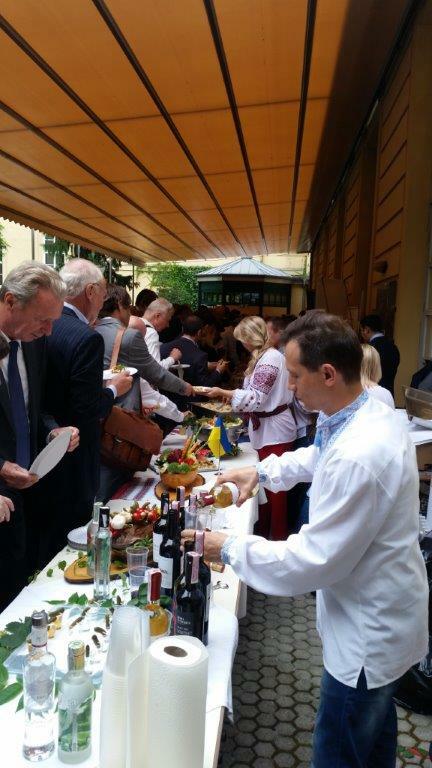 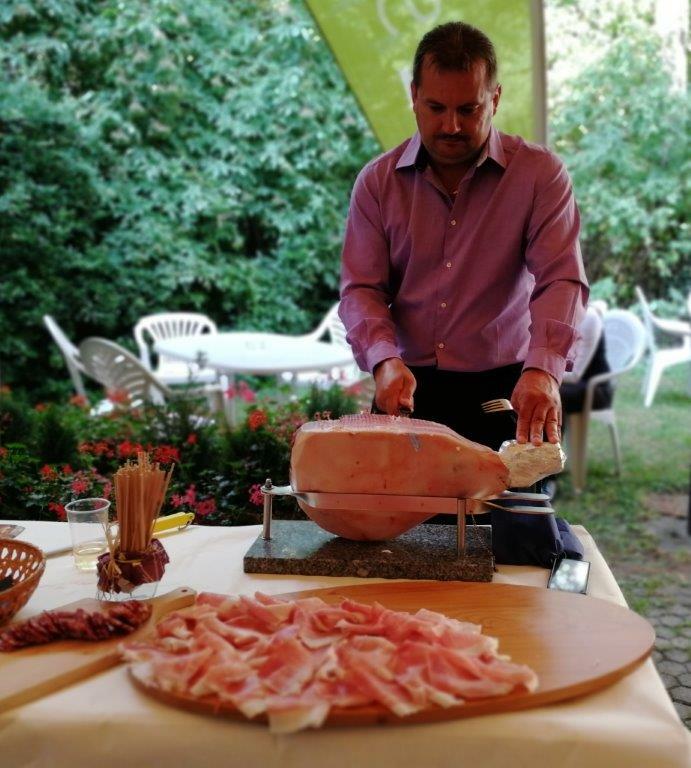 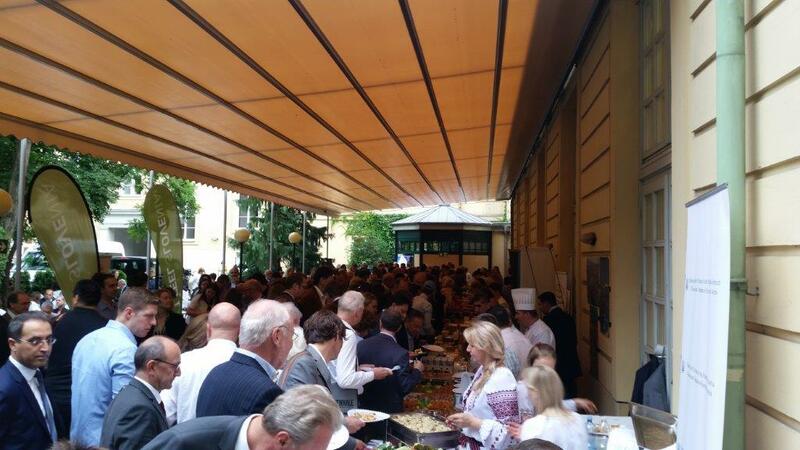 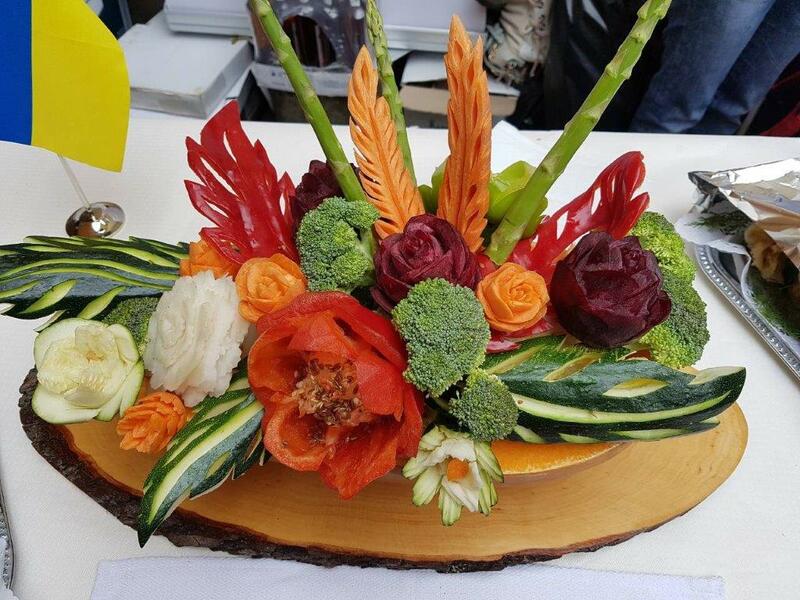 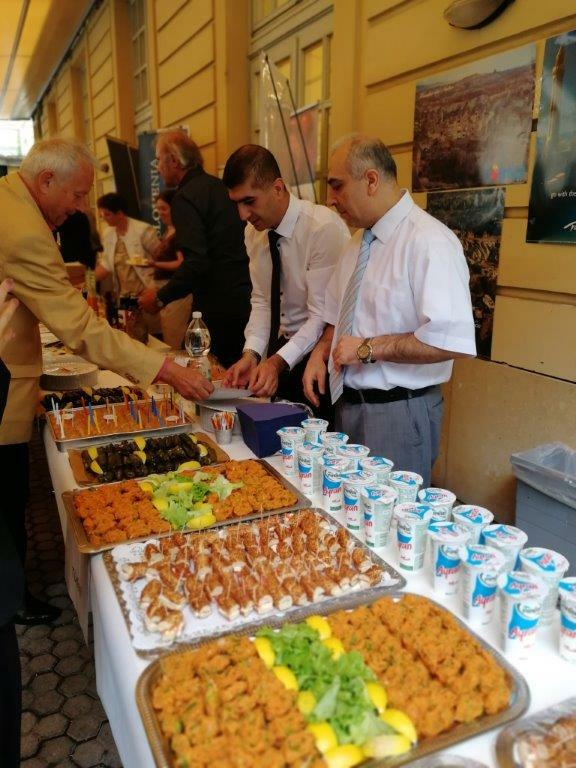 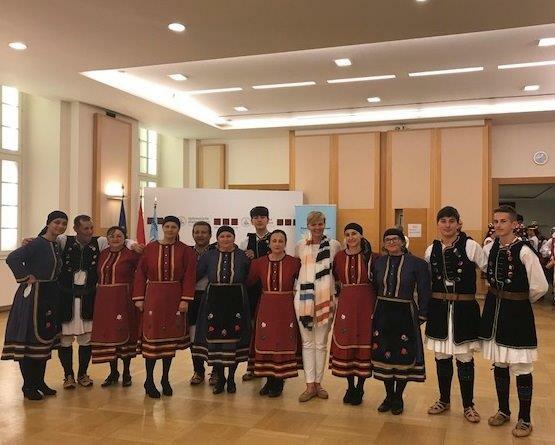 On 15 June 2018, Vienna Economic Forum together with the Ambassadors of the Member Countries of Vienna Economic Forum invited to the 17th Traditional Garden Party "Culinary and Musical Journey through the Member Countries of Vienna Economic Forum" at the Diplomatic Academy in Vienna. 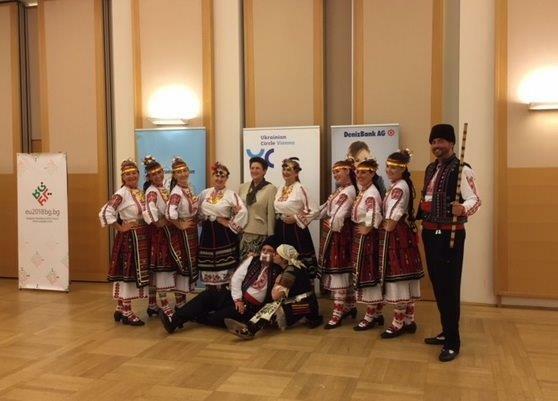 The guests were treated to country-specific, traditional culinary delicacies by the Vienna Economic Forum Member Countries, and artistic performances from Bosnia and Herzegovina, Bulgaria, Macedonia, Slovenia, Turkey and Ukraine were the highlight of the evening, with regional folk dances inspiring many of the guests to join. 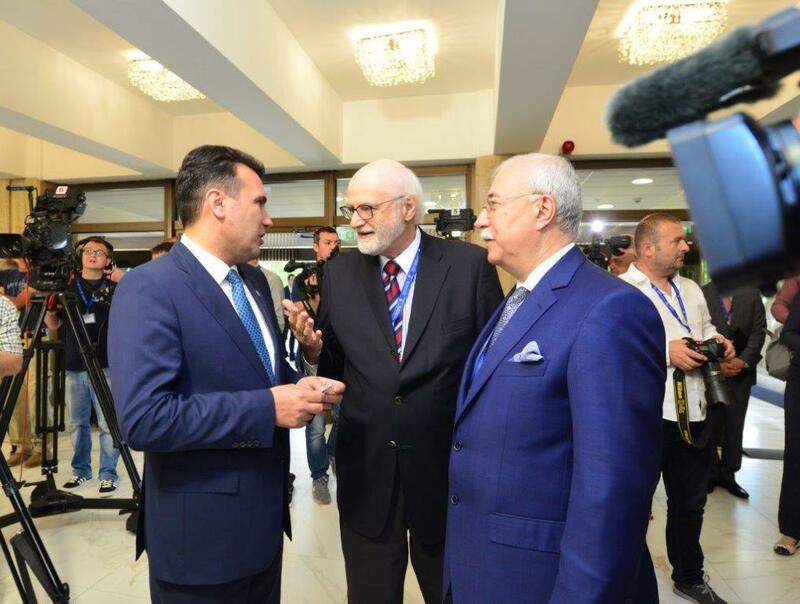 In addition to the Ambassadors of the Member Countries, Amb. 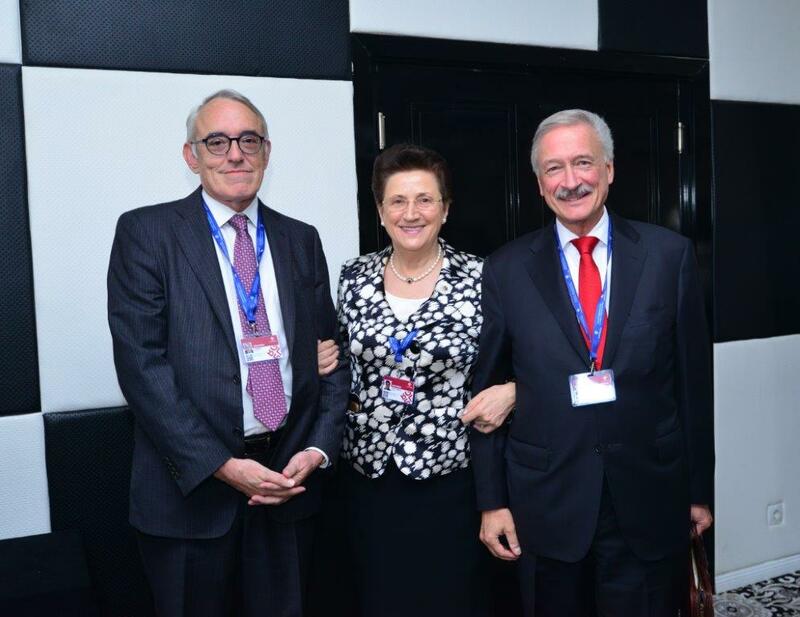 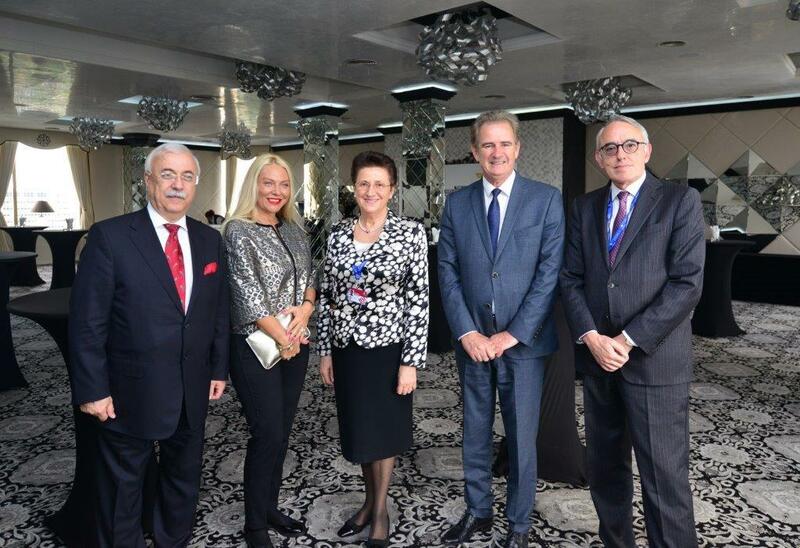 Dr. Elena Kirtcheva, Secretary General of Vienna Economic Forum, had the pleasure of welcoming VEF President Dr. Günther Rabensteiner, Member of the Board of Verbund AG, VEF Vice-President Mag. 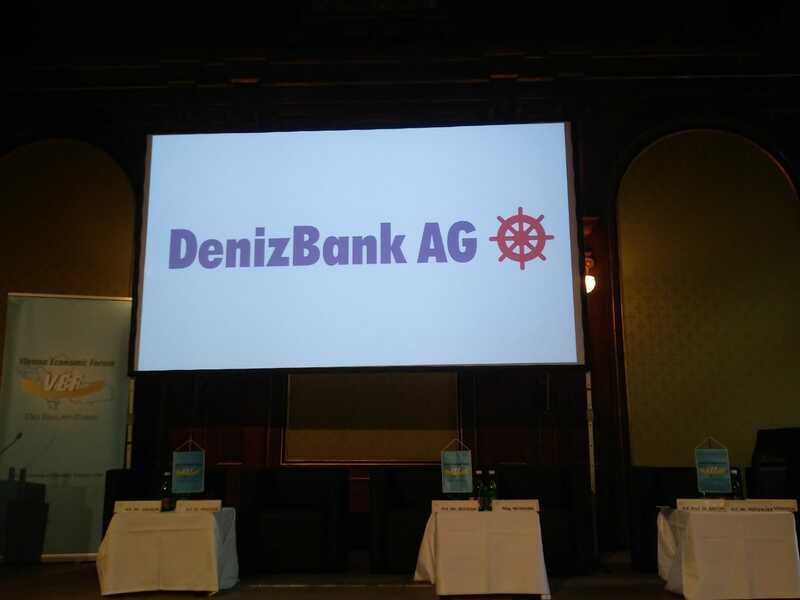 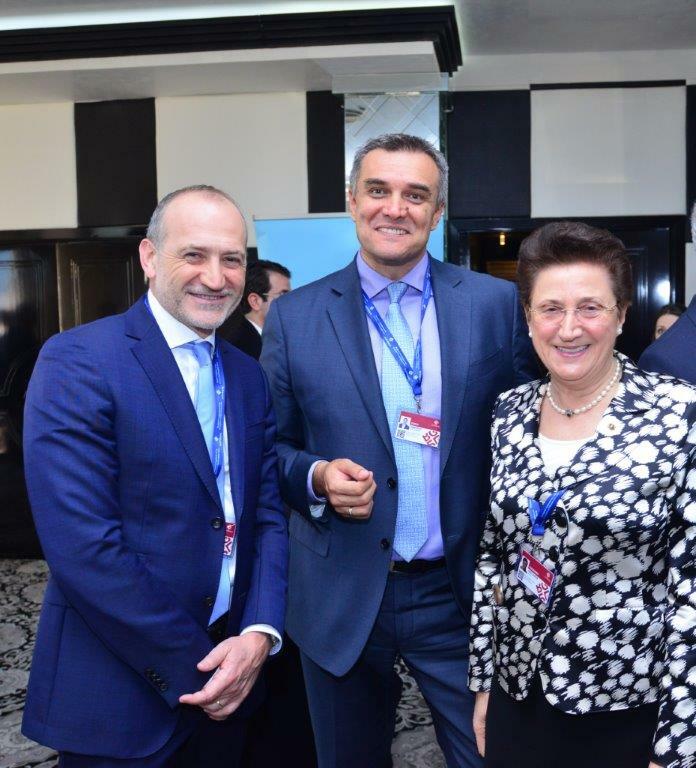 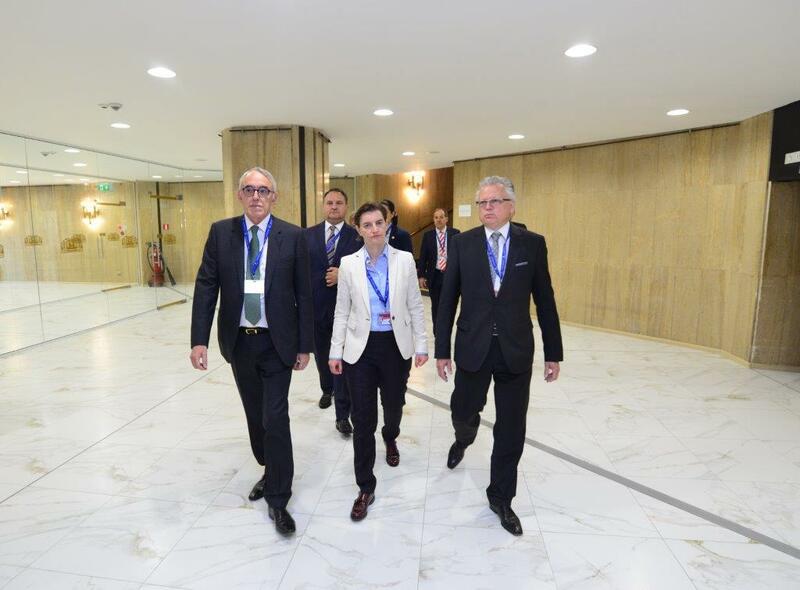 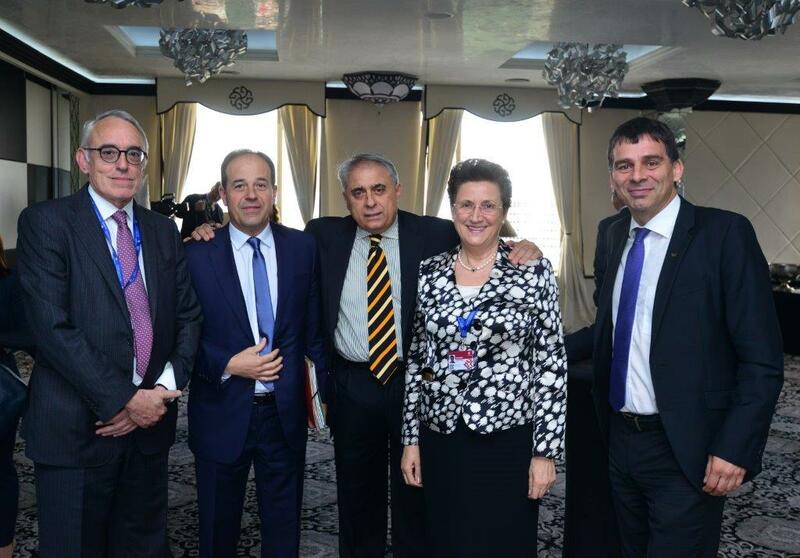 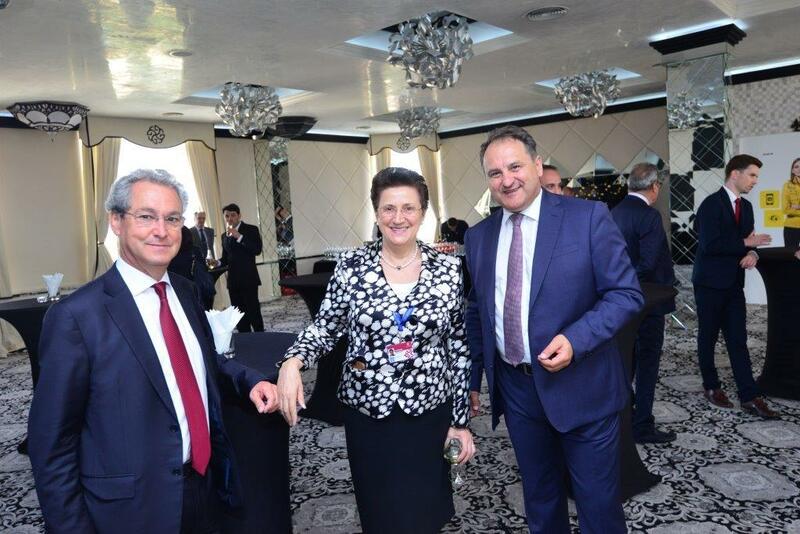 Hermann Anderl, Managing Director of Canon CEE GmbH and the VEF Members of the Board Ms. Polina Christova, Executive Director of HYPO NOE Group Bank AG, Mr. Ahmet Mesut Ersoy, CEO of DenizBank AG and Dr. Ludwig Niessen, COO / CTO of Wiener Börse AG. 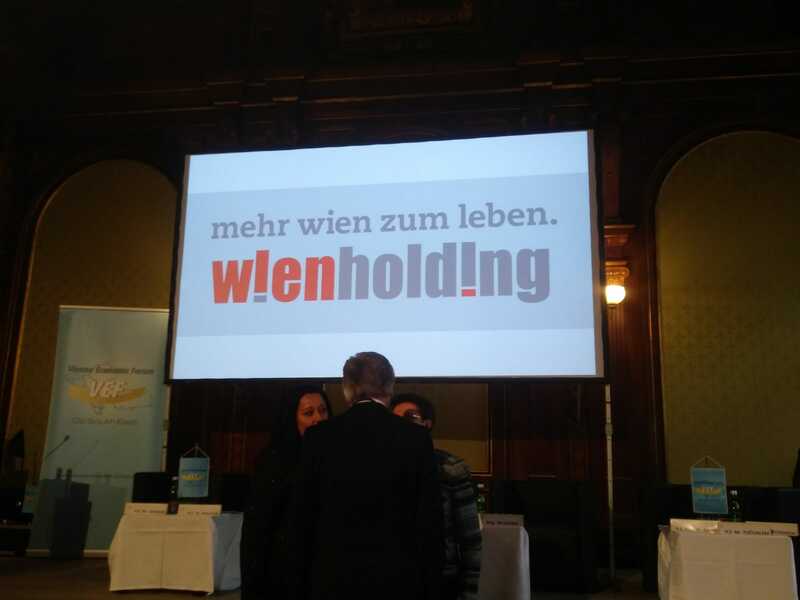 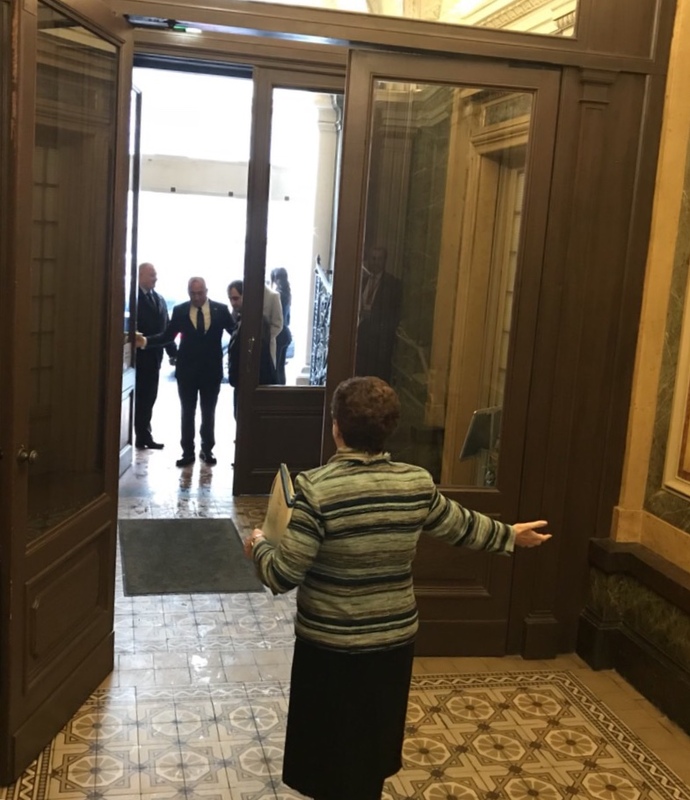 In addition, the VEF Arbitrators KR Ing. 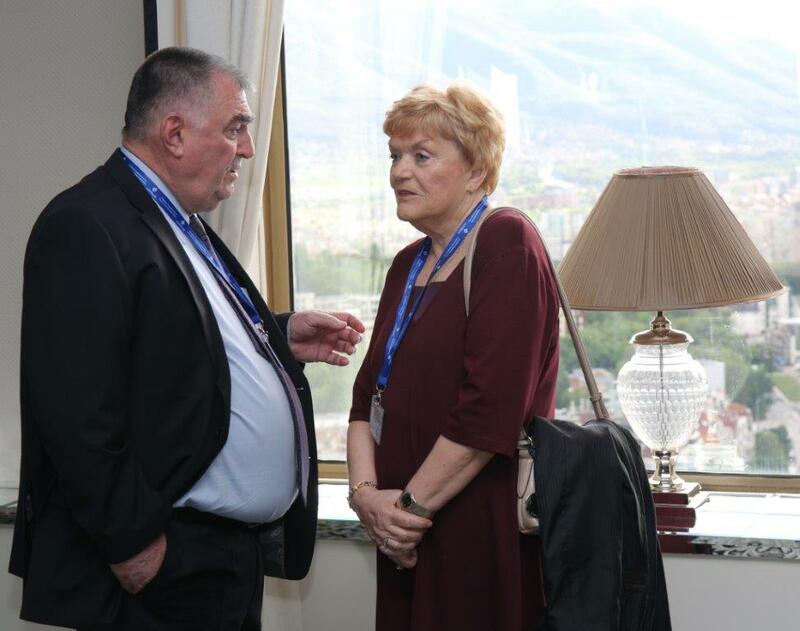 Otto Musilek and Mag. 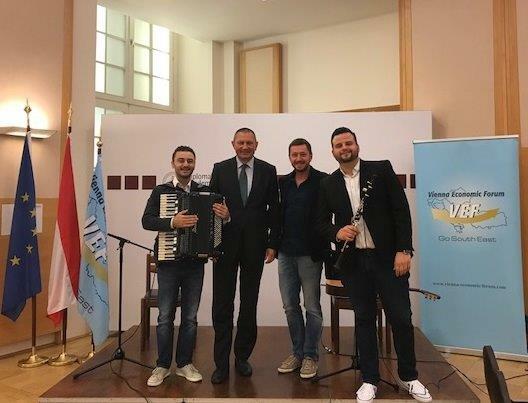 Marika Levena were present as well as VEF Honorary Member Dr. Johann Sollgruber, the VEF Members of the Culture Committee Prof. Stefan Kamilarov and Prof. Eugeniy Chevkenov, the VEF Members DI Birol Kilic and Dr. Vladimir Penkov and senior representatives of the Austrian ministries and institutions. 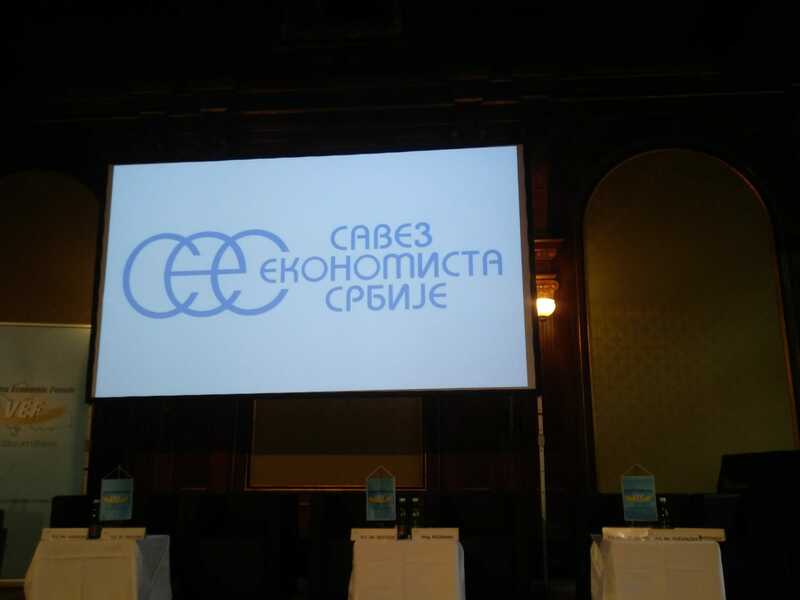 With a greeting address H.E. 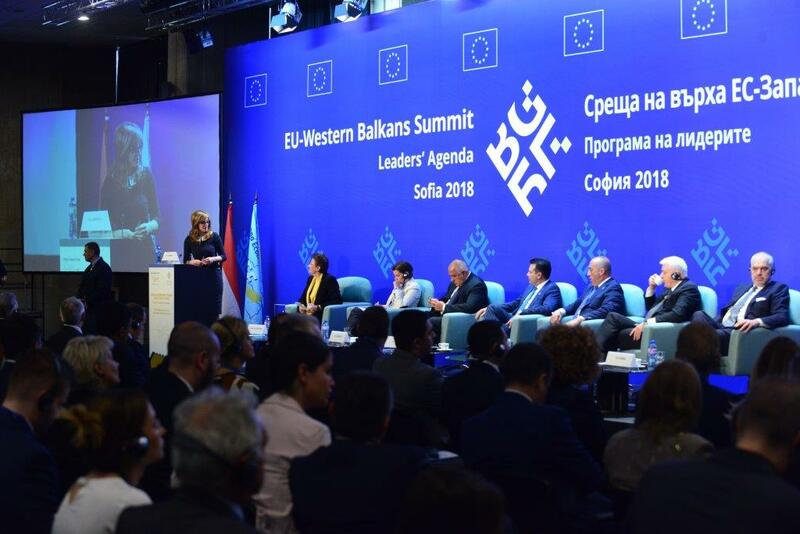 Ms. Lilyana Pavlova, Minister for the Bulgarian Presidency of the Council of the EU, praised the very successful implementation of Vienna Economic Forum - Sofia Talks 2018 on 18 May 2018 in Sofia, Bulgaria, in which the 6 Prime Ministers of the Western Balkans participated. 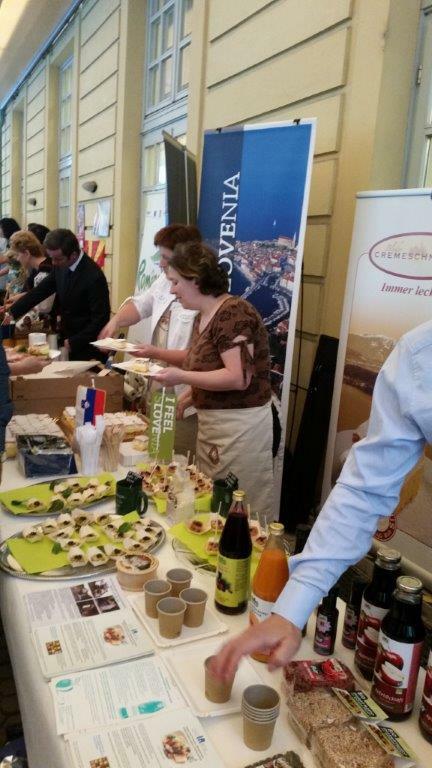 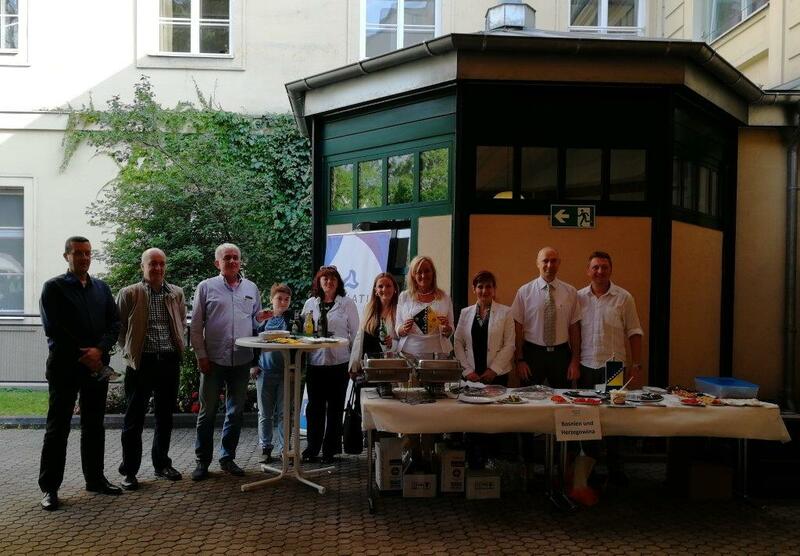 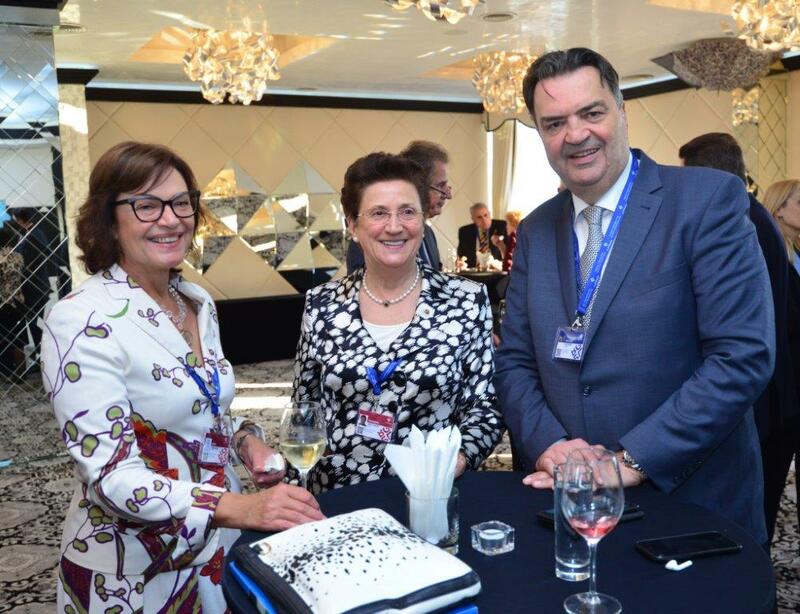 The numerous Members, Partners and Friends of Vienna Economic Forum enjoyed the good atmosphere, the culinary delights and the musical pleasure. 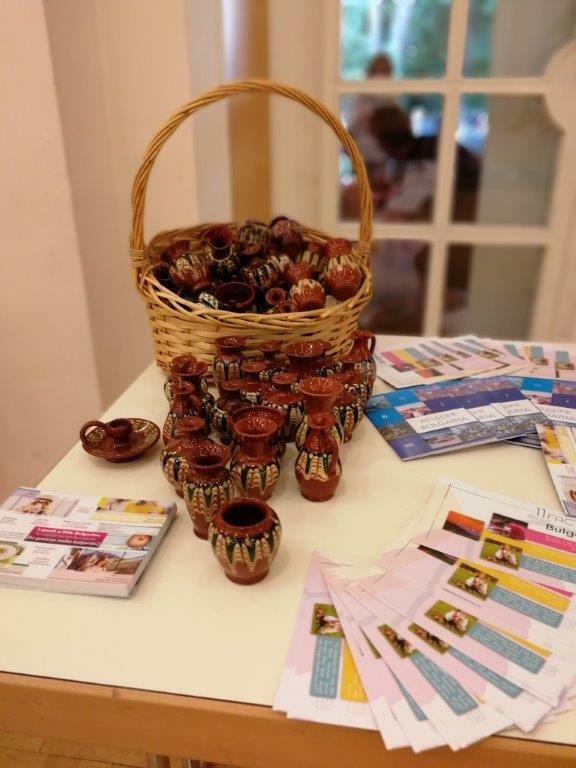 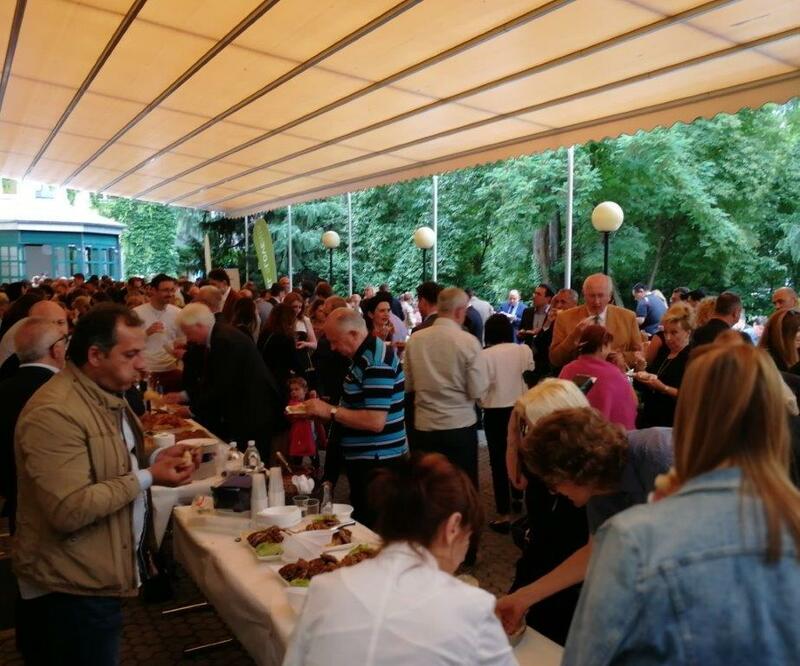 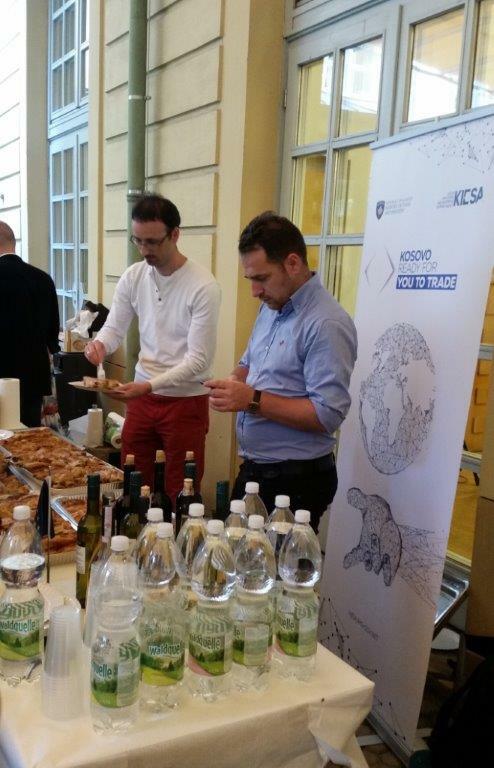 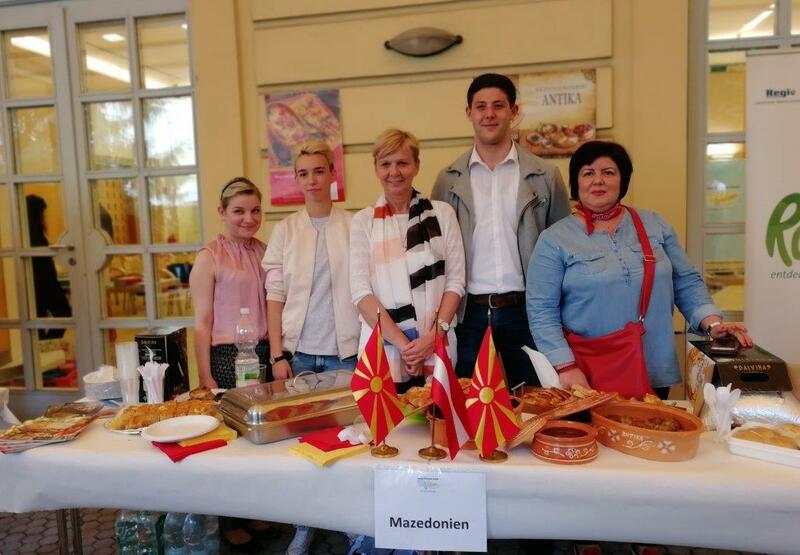 This year, the unique atmosphere was once again proof of the similarities that connect the people of the region from the Adriatic Sea to the Black Sea. 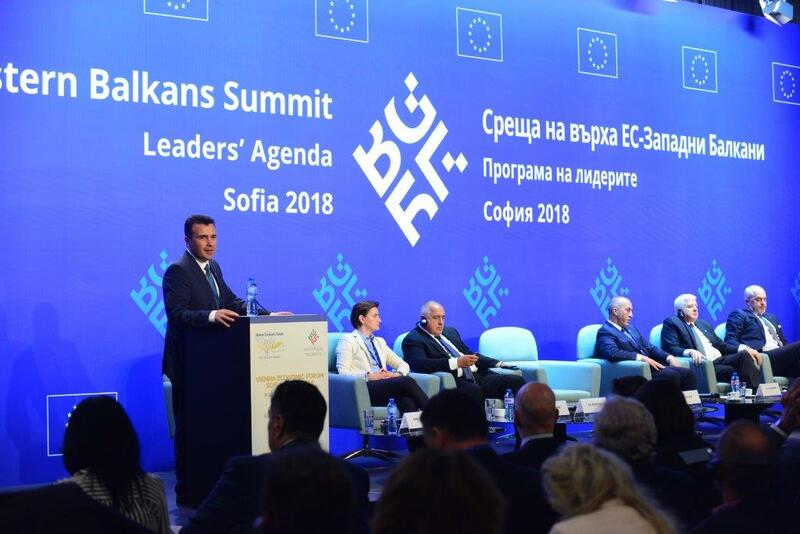 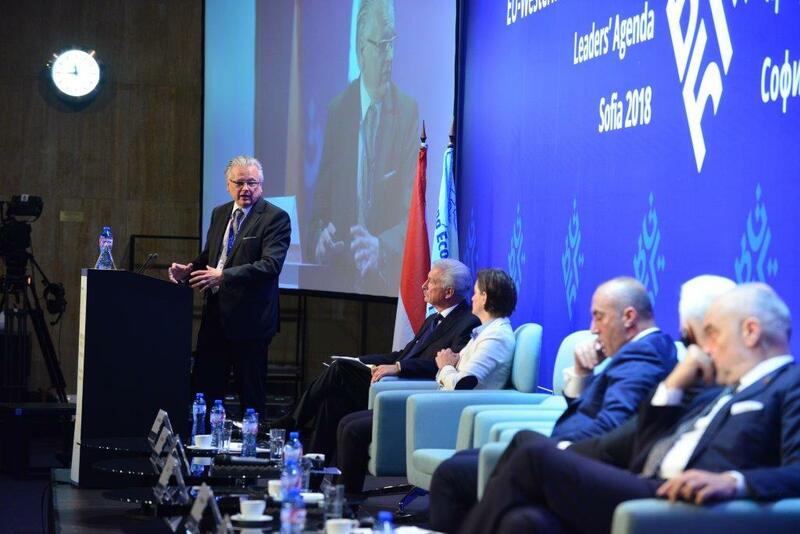 Vienna Economic Forum - Sofia Talks 2018 took place on 18 May 2018 at the National Palace of Culture (NDK) in Sofia, Bulgaria. 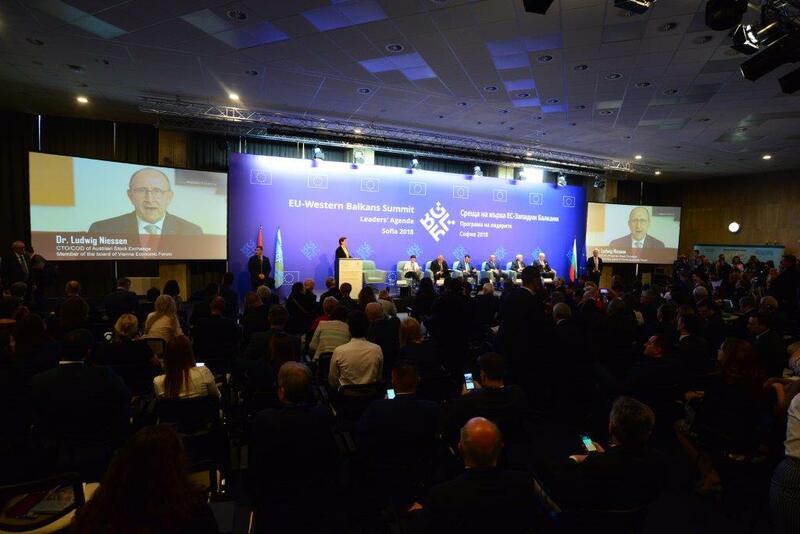 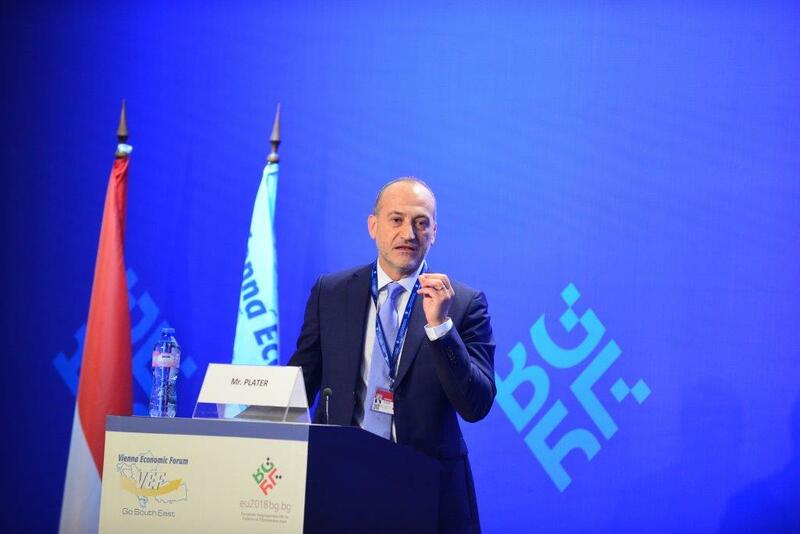 Vienna Economic Forum is proud to have been able to organize Vienna Economic Forum - Sofia Talks 2018 as part of the official programme of the Bulgarian EU-Presidency and as the official Side-Event of the EU Western Balkans Summit and to have welcomed 300 registered participants from 31 countries. 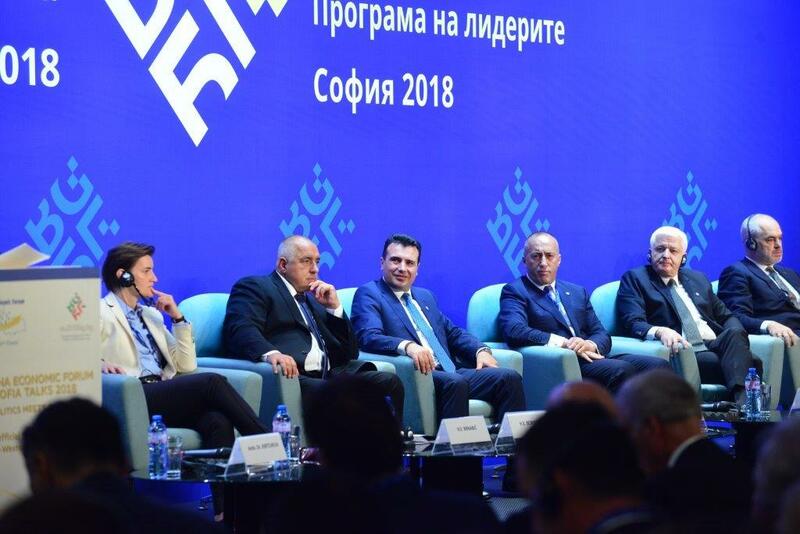 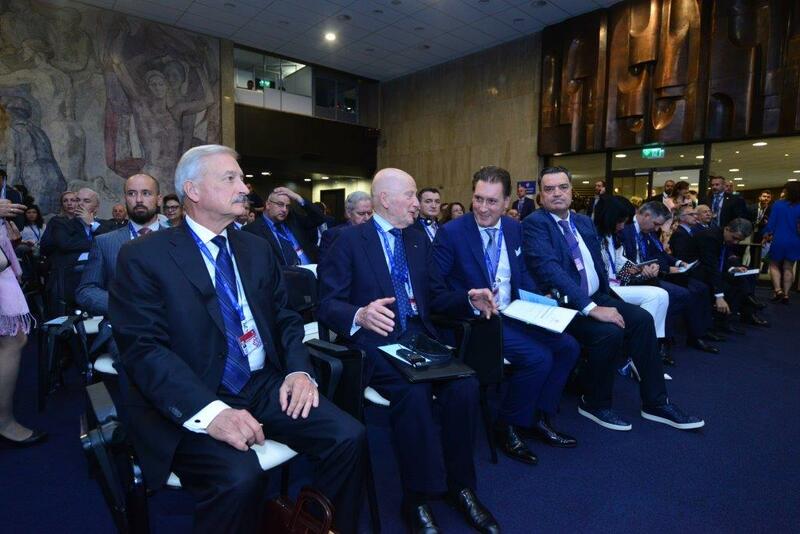 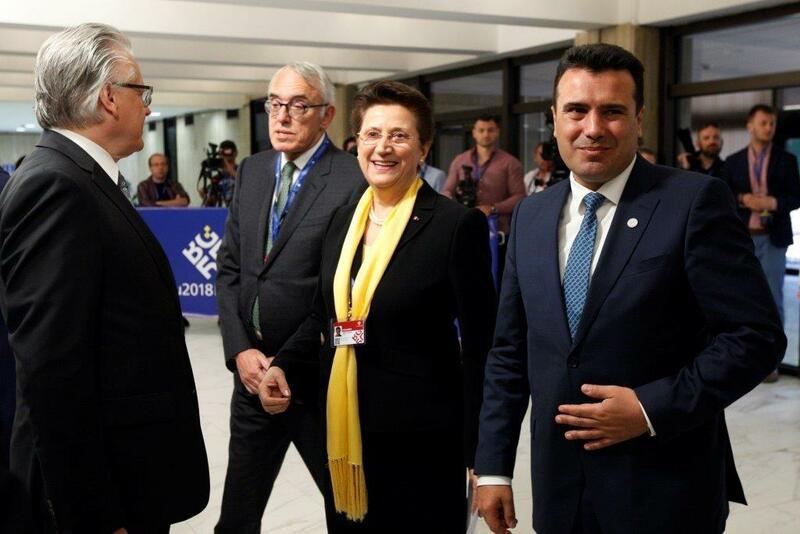 Vienna Economic Forum - Sofia Talks 2018 enabled the Prime Ministers of the Western Balkans, together with the Prime Minister of Bulgaria, H.E. 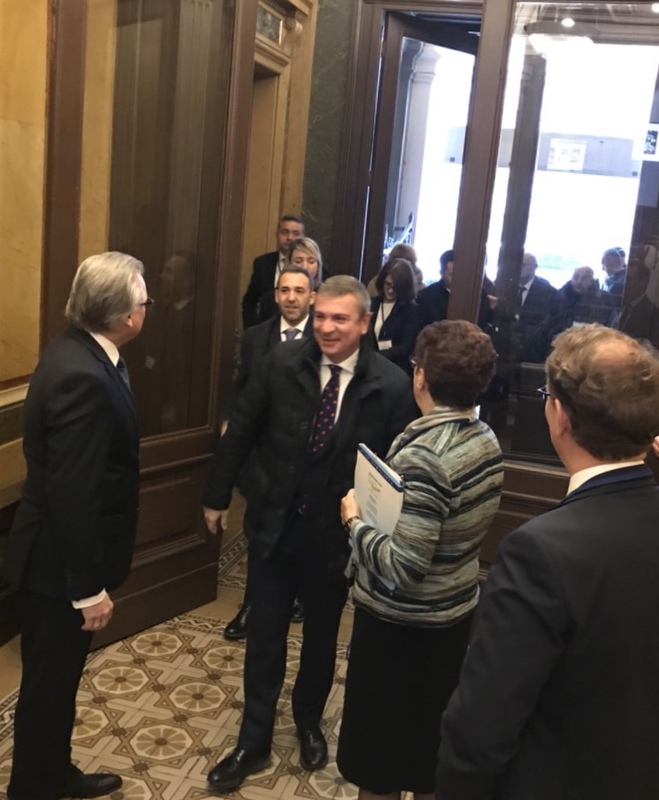 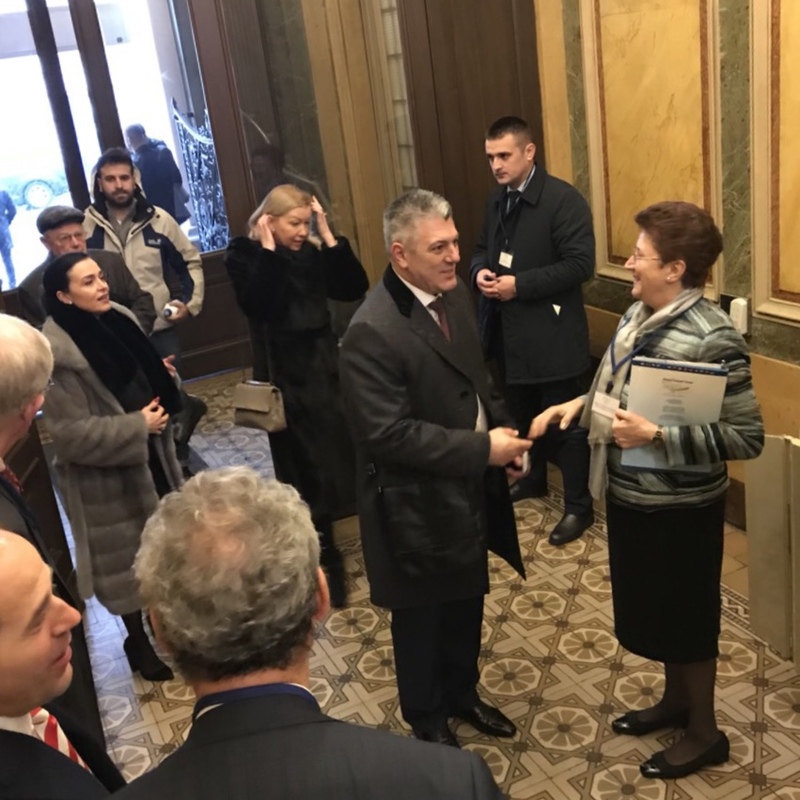 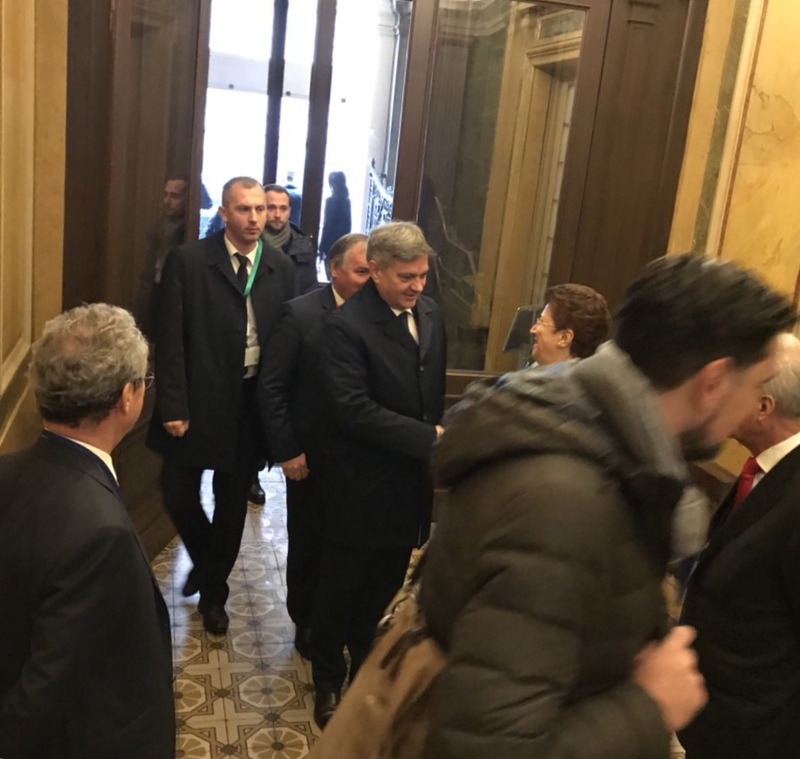 Mr. Boyko Borissov, to discuss concrete economic projects with high-ranking representatives of Austrian, European and international companies - members of Vienna Economic Forum, and to facilitate and accelerate their implementation. 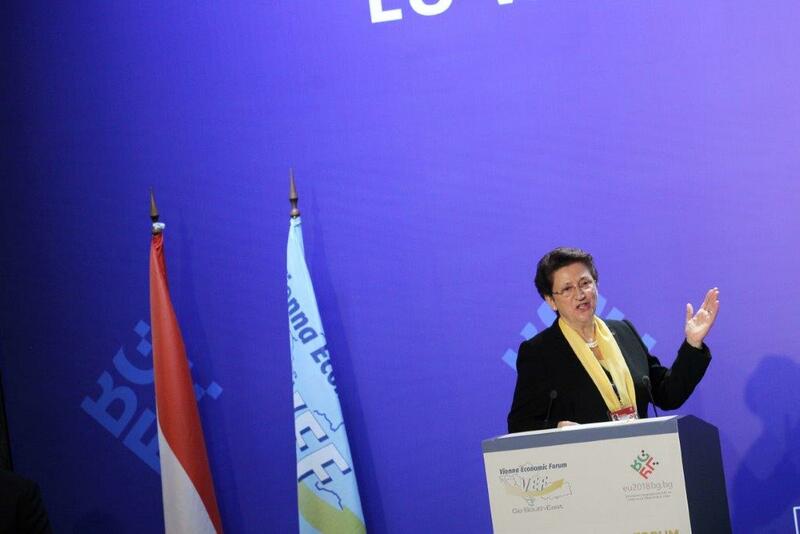 During the opening, which was moderated by Ambassador Dr. Elena Kirtcheva, Secretary General of Vienna Economic Forum, H.E. 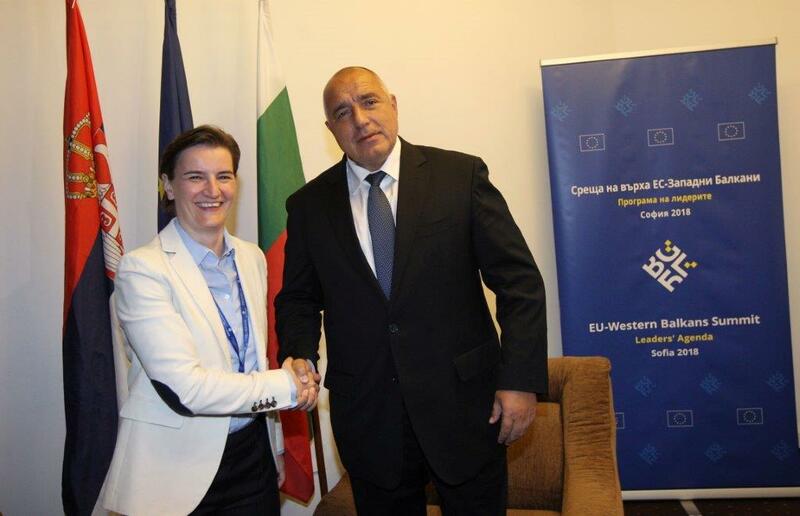 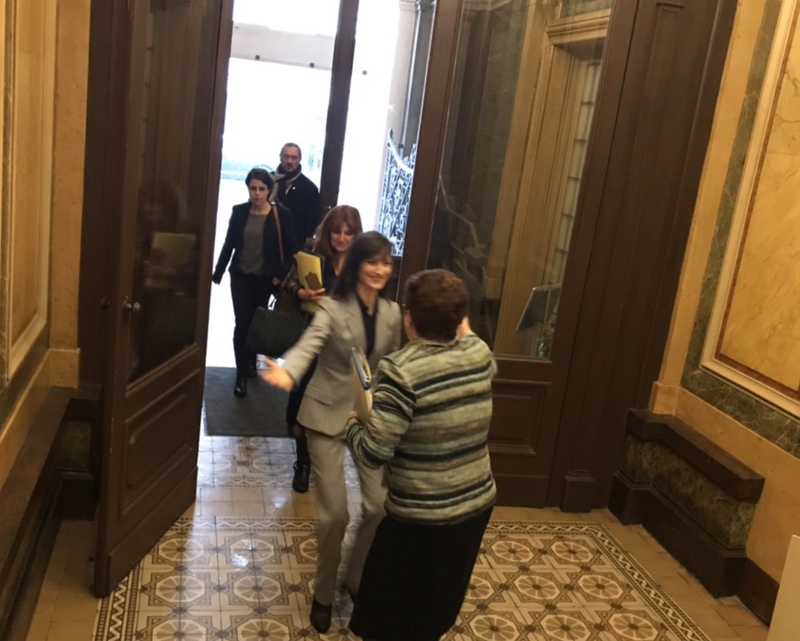 Ms. Lilyana Pavlova, Minister of the Bulgarian EU Presidency 2018; H.E. 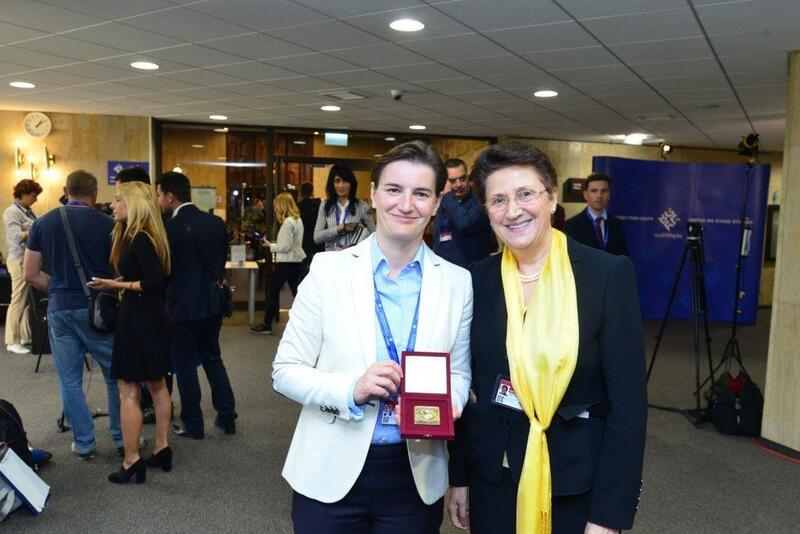 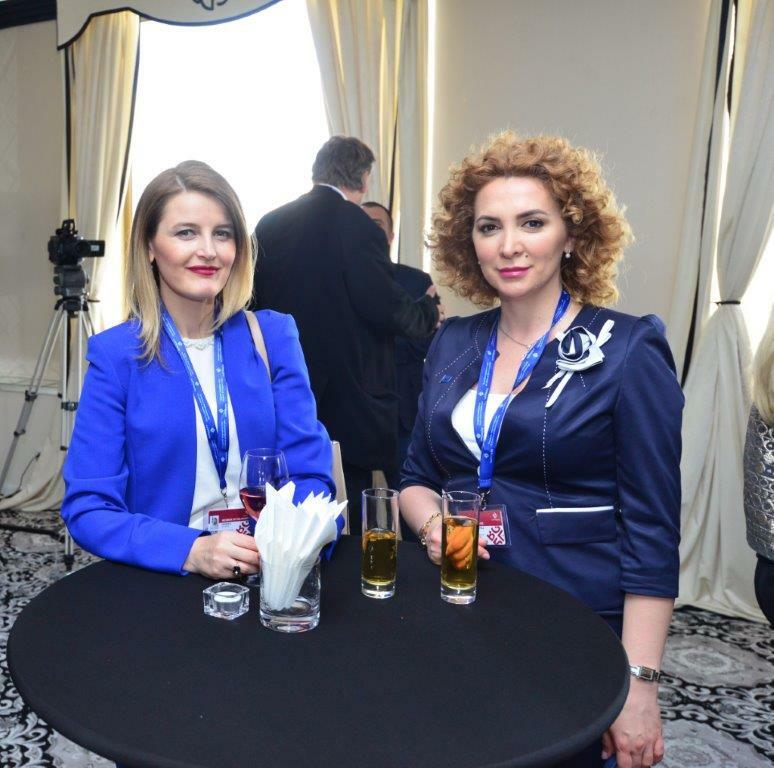 Ms. Ekaterina Zaharieva, Deputy Prime Minister for Judicial Reform and Minister of Foreign Affairs as well as H.E. 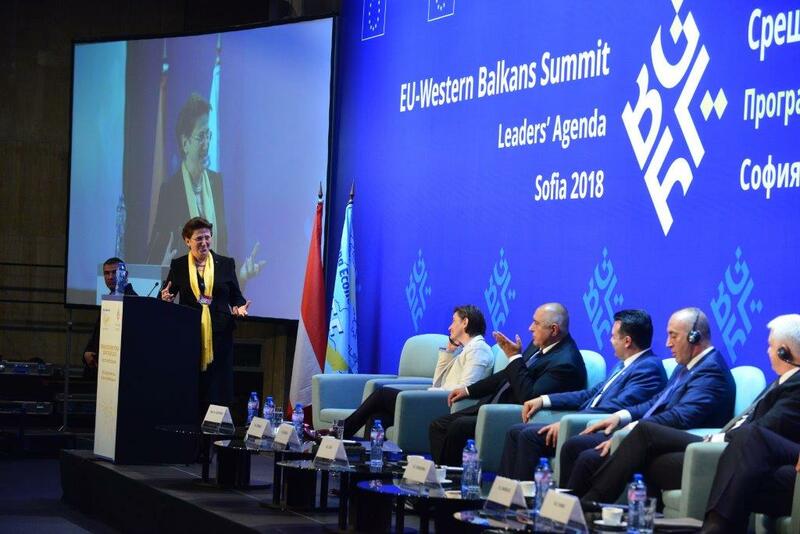 Ms. Mariya Gabriel, EU Commissioner for Digital Economy and Society, presented interesting insights into the priorities of the Bulgarian Government and the European Commission with regard to the regional economic development of the Western Balkans. 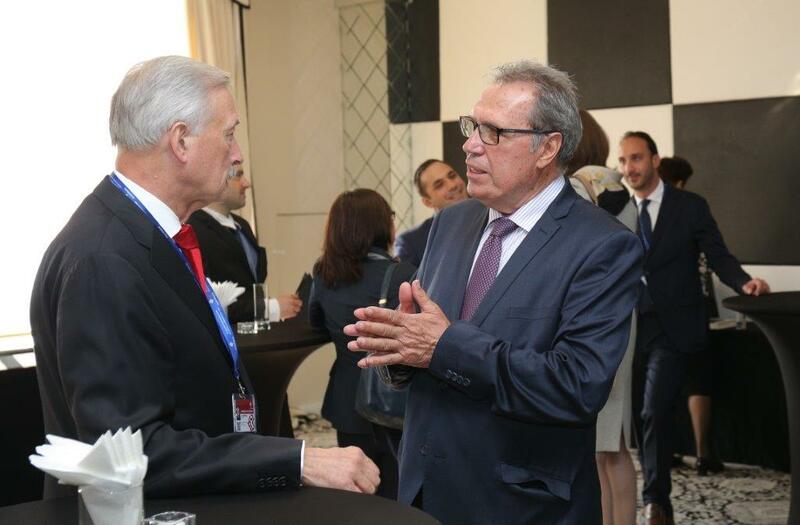 VEF Member of the Board and President of Jackovich International LLC, USA, Ambassador Victor Jackovich moderated the Round Table Discussion: Regional Cooperation as a Part of the European Integration. 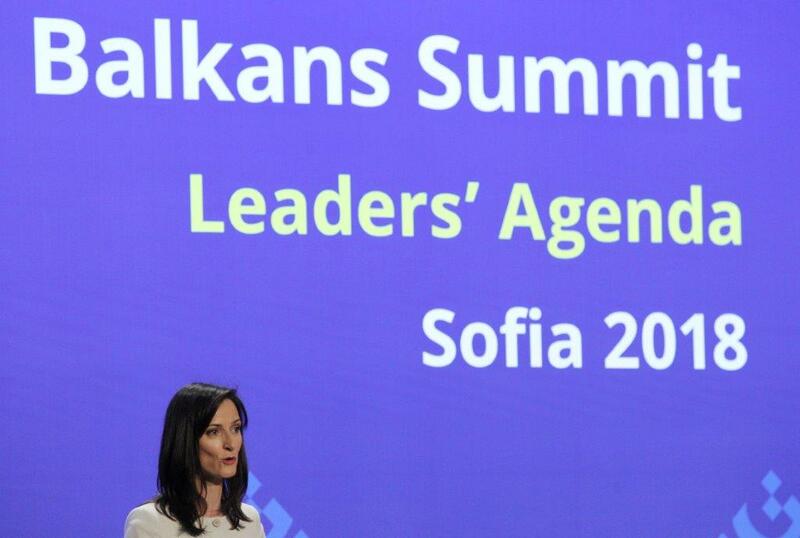 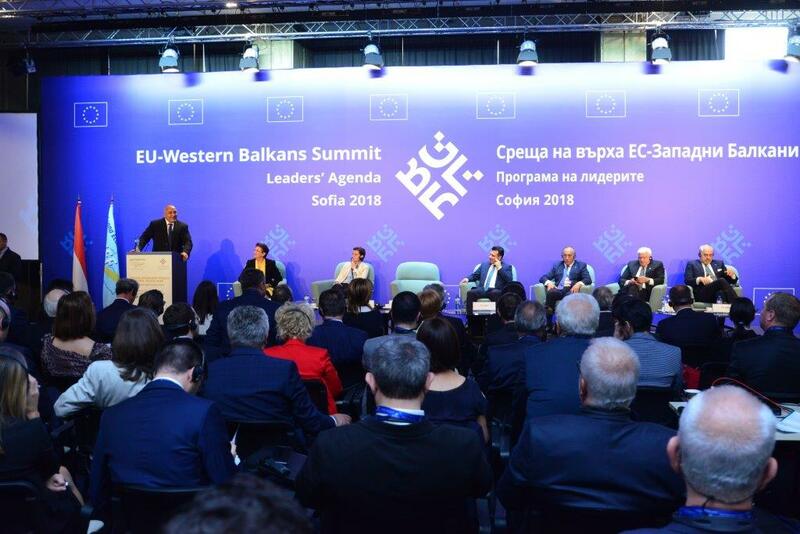 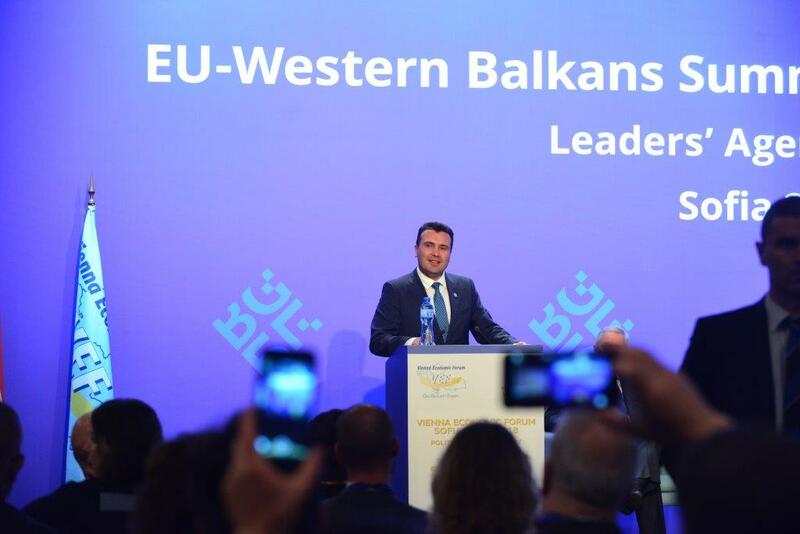 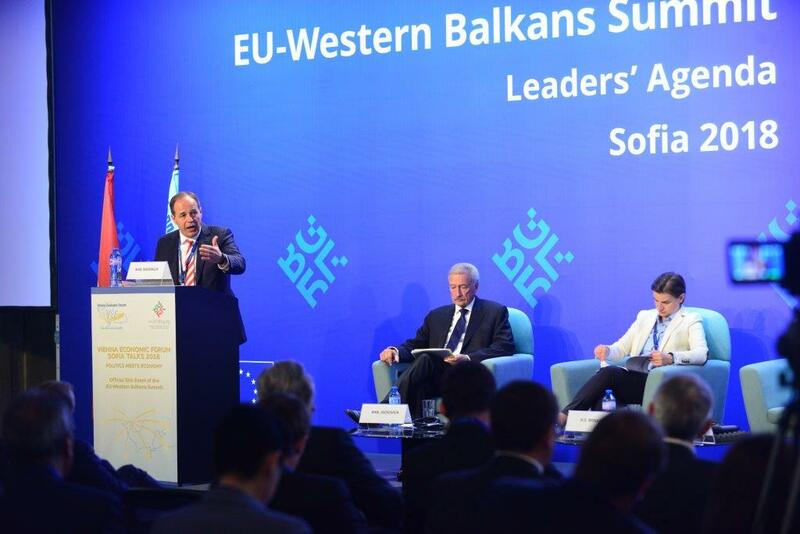 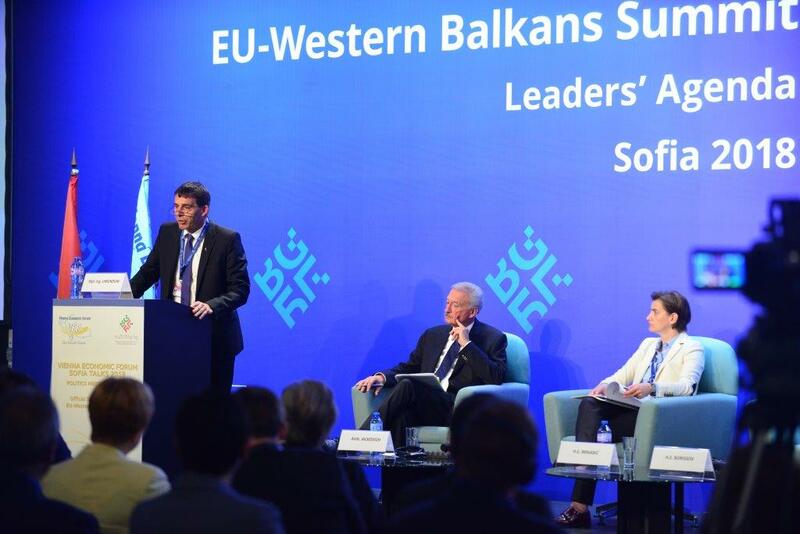 The Western Balkans: Reality and Expectation-Who Takes Responsibility? 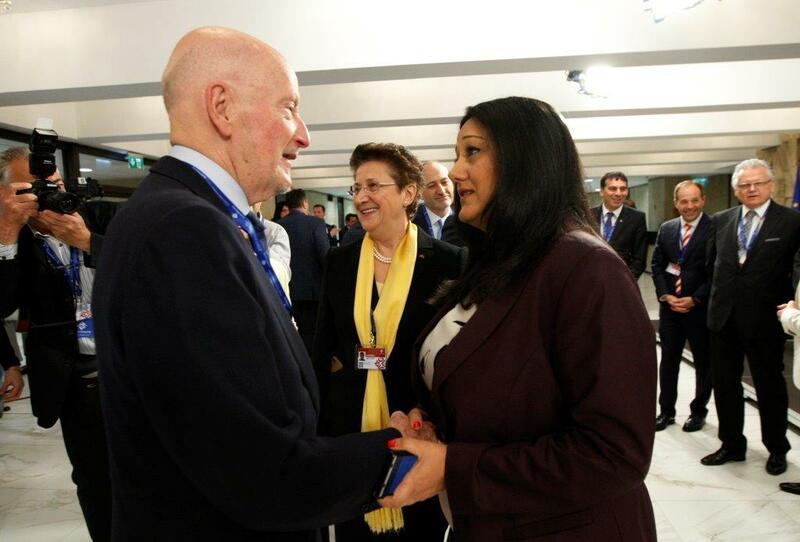 Initiated by H.E. 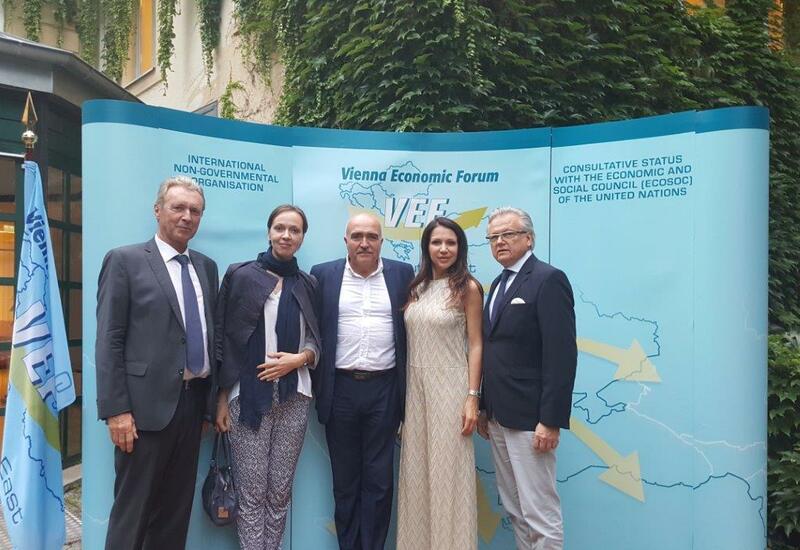 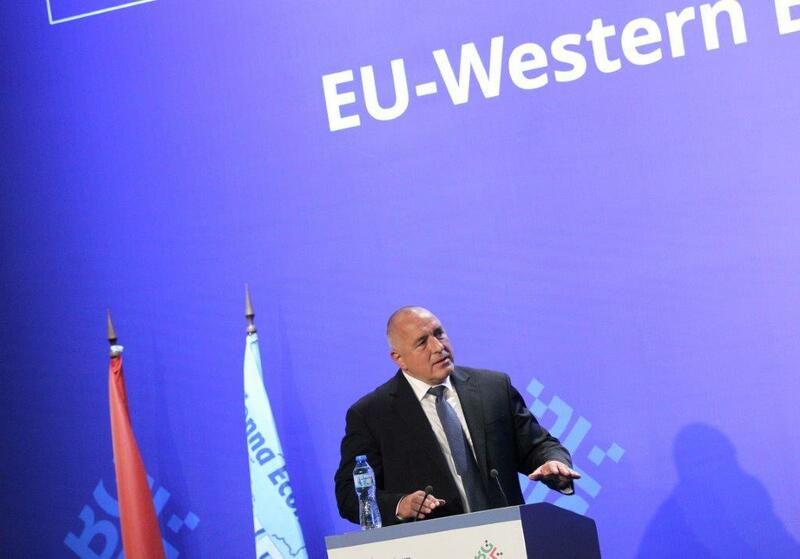 Mr. Boyko Borissov, Prime Minister of Bulgaria and Patron of Vienna Economic Forum, the discussion was enriched by relevant contributions with regional focus by the Members of the Patrons Committee and Patrons of Vienna Economic Forum: H.E. 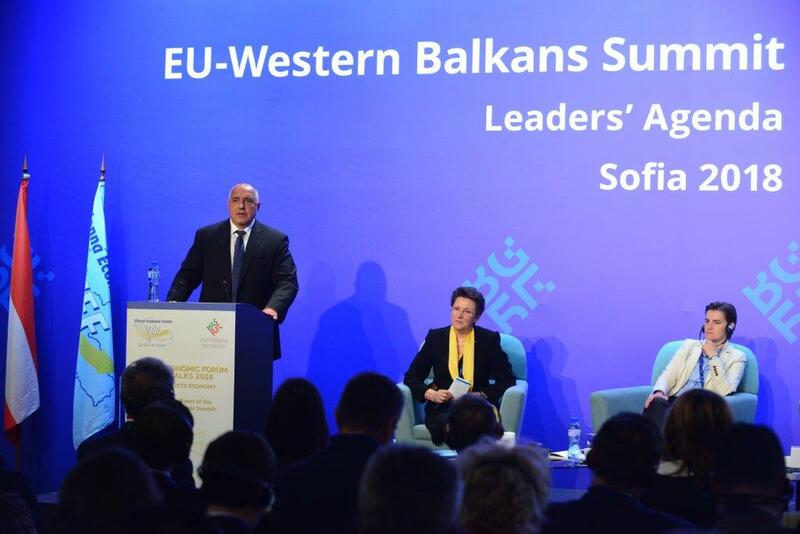 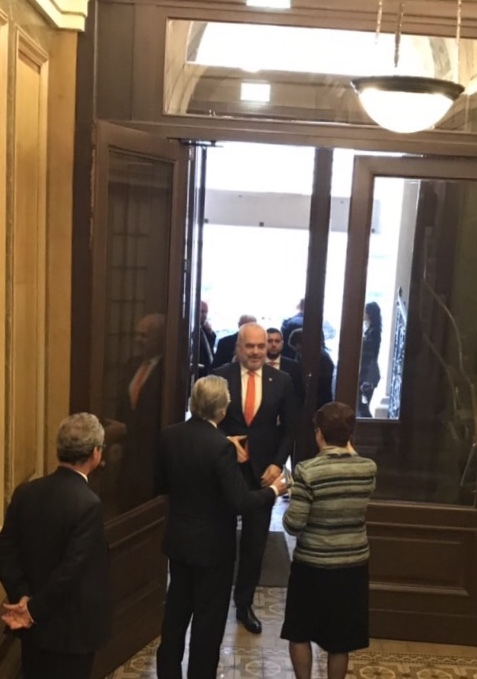 Mr. Edi Rama, Prime Minister of Albania; H.E. 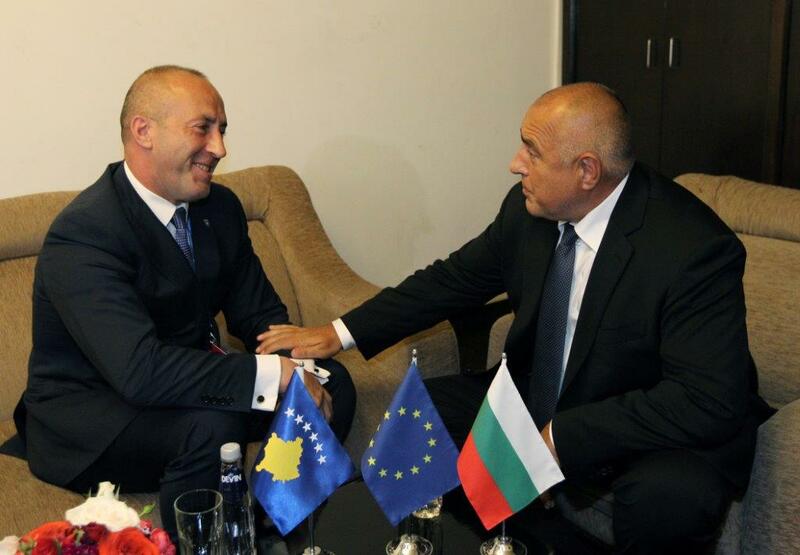 Mr. Ramush Haradinaj, Prime Minister of Kosovo; H.E. 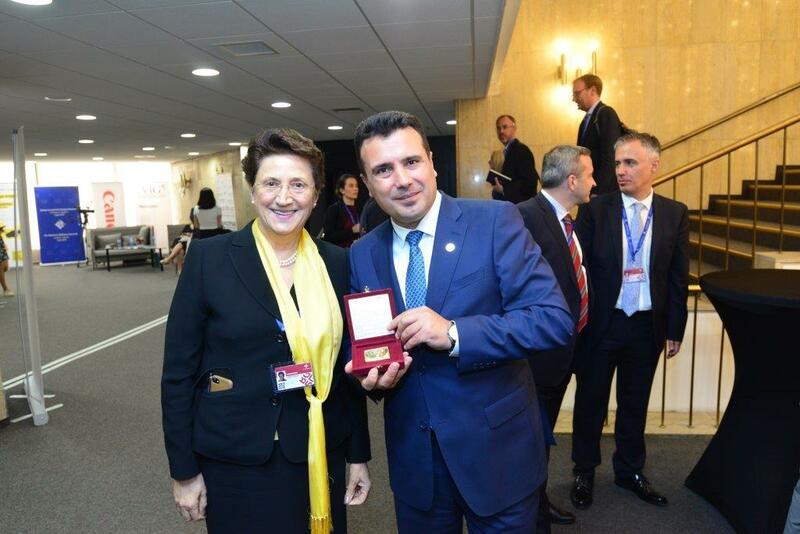 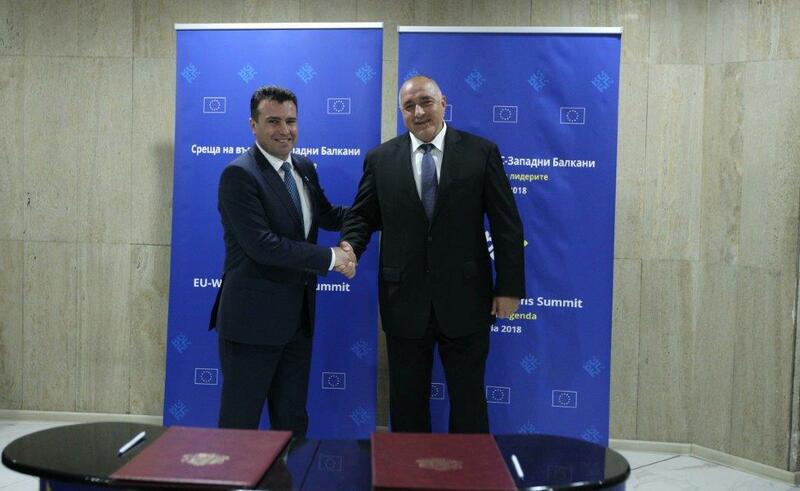 Mr. Zoran Zaev, Prime Minister of Macedonia and H.E. 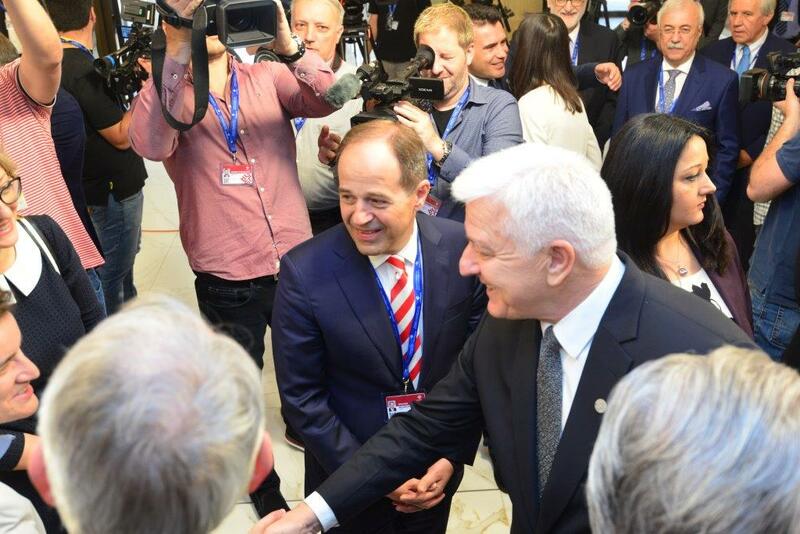 Mr. Duško Marković, Prime Minister of Montenegro; and H.E. 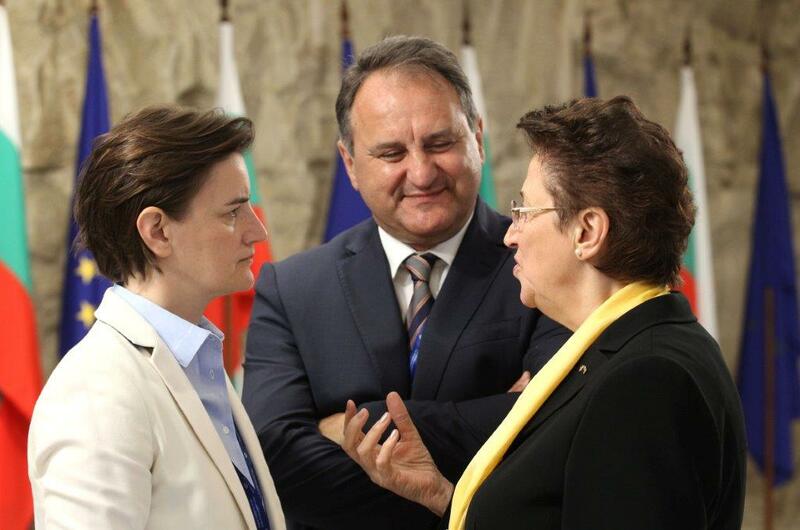 Ms. Ana Brnabić, Prime Minister of Serbia. 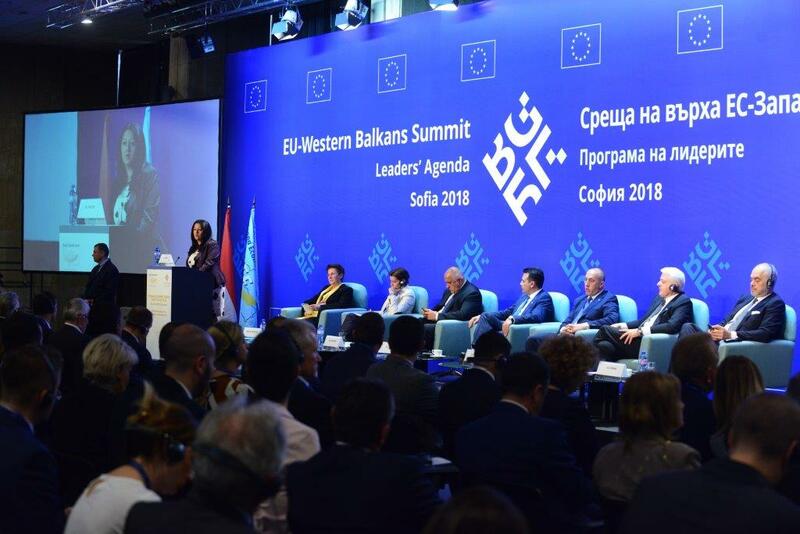 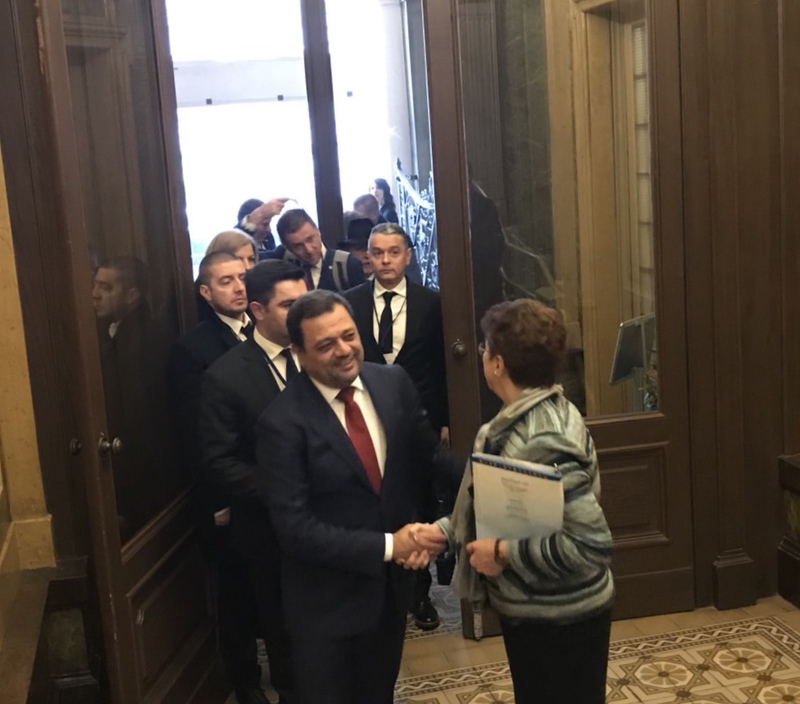 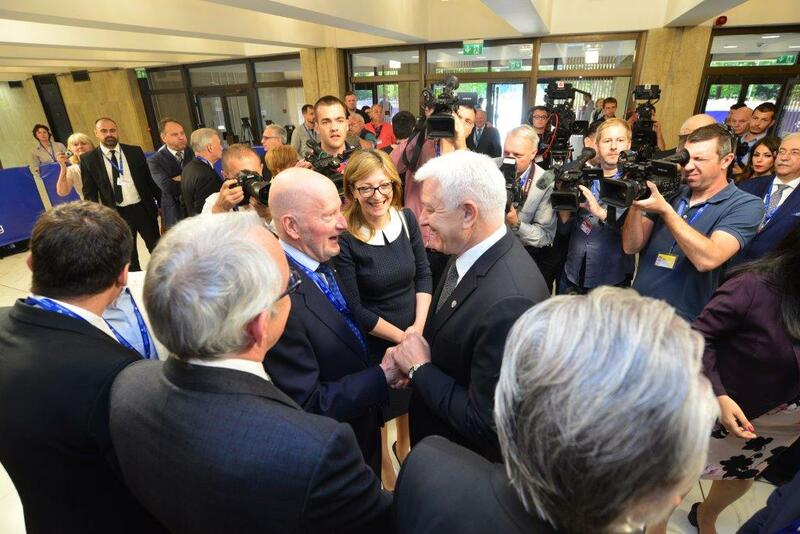 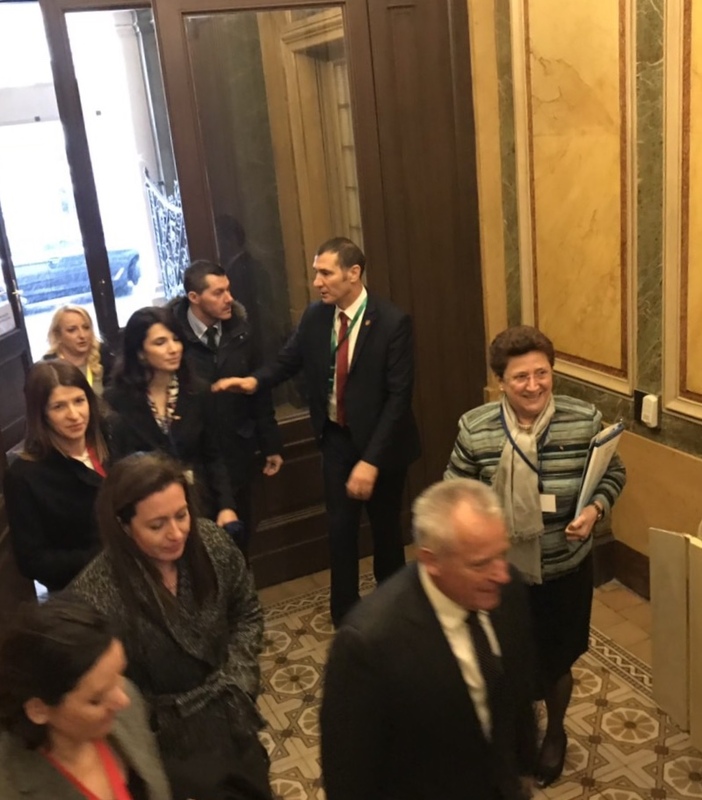 True to the motto: "Politics meets Economy", the Prime Ministers engaged in an in-depth discussion with the Members of the Board of Vienna Economic Forum, who presented investments and future strategies of their companies in the Western Balkans. 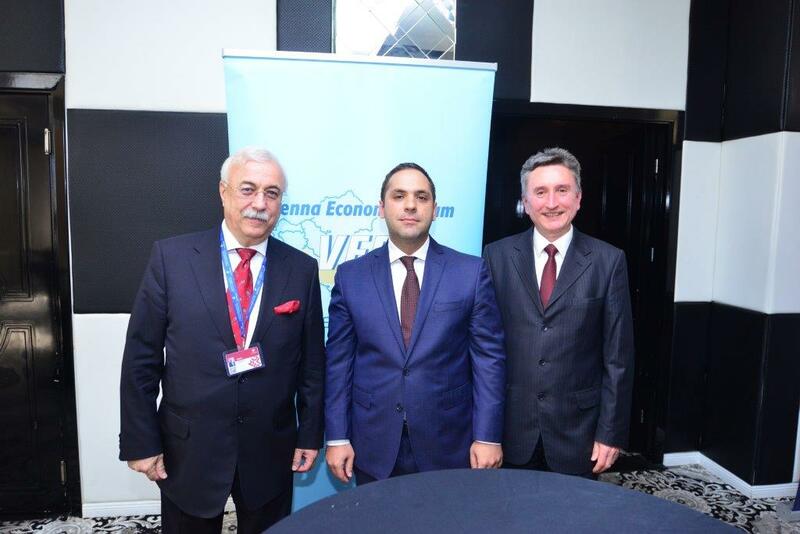 The represented VEF Members of the Board were DI Dr. Günther Rabensteiner, Member of the Board of Verbund AG and President of Vienna Economic Forum; DI Peter Umundum, Member of the Board of Österreichische Post AG and Vice-President of Vienna Economic Forum; Dr. Ognian Donev, Chairman of the Board of Directors & Executive Director of Sopharma PLC, Bulgaria, and Vice-President of Vienna Economic Forum; Mr. Alejandro Plater, CEO and COO of A1 Telekom Austria Group; Mr. Emmanuel Forest, CEO of Bouygues Europe SA, Belgium, and Mag. 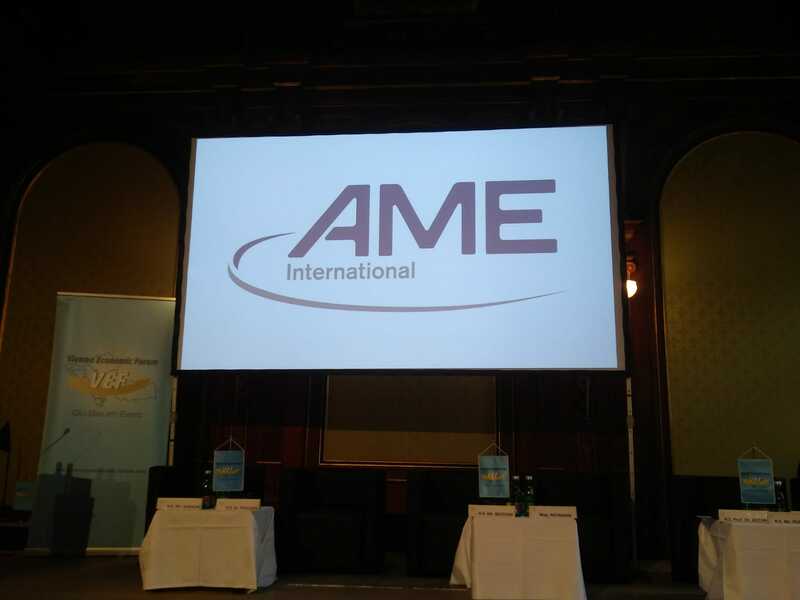 Heinz Messinger, Managing Director of AME International. 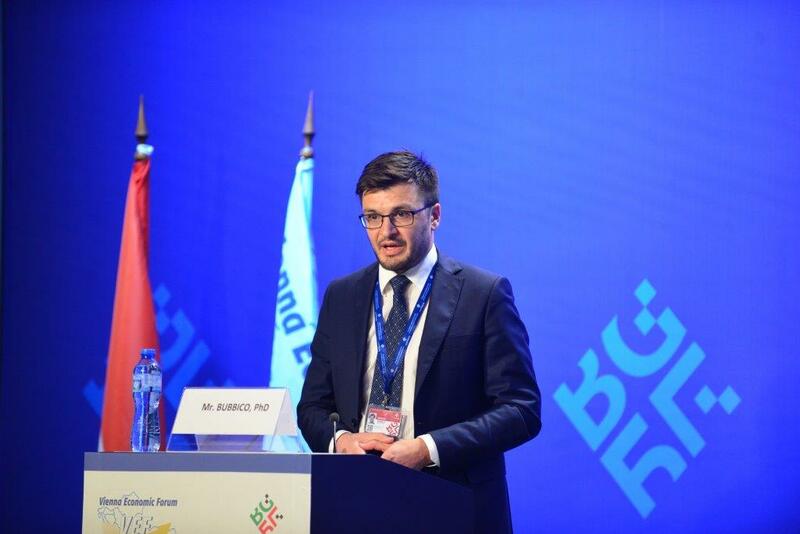 Mr. Rocco Luigi Bubbico, PhD, represented the European Investment Bank (EIB) by speaking about EIBs engagement in the Balkans. 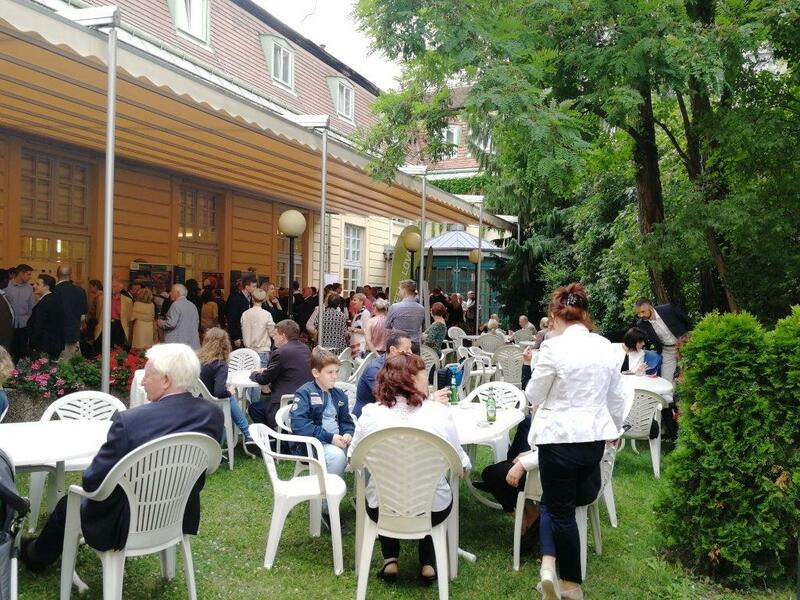 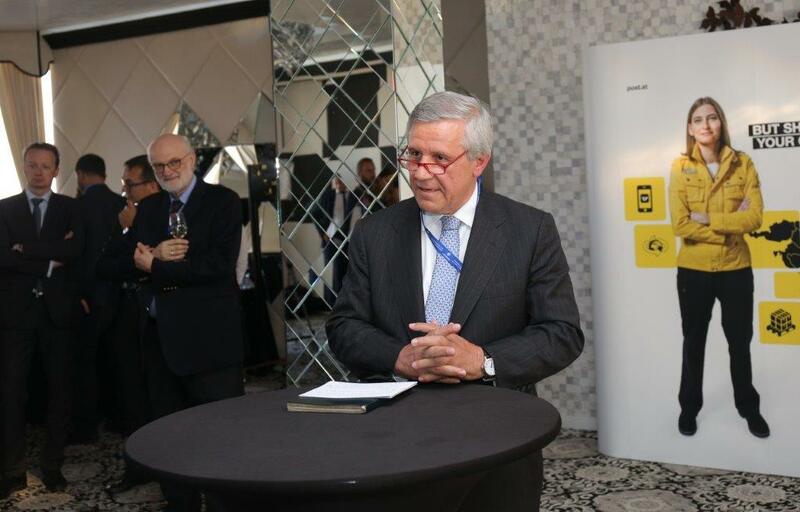 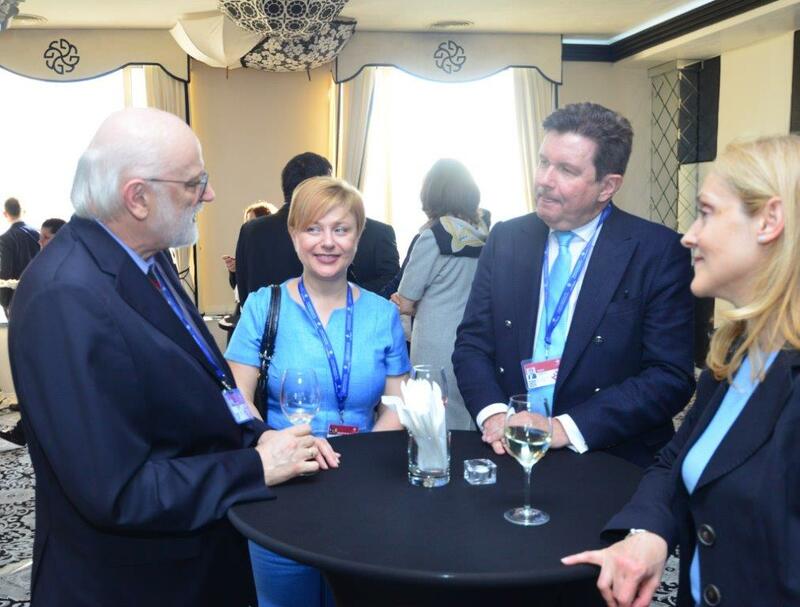 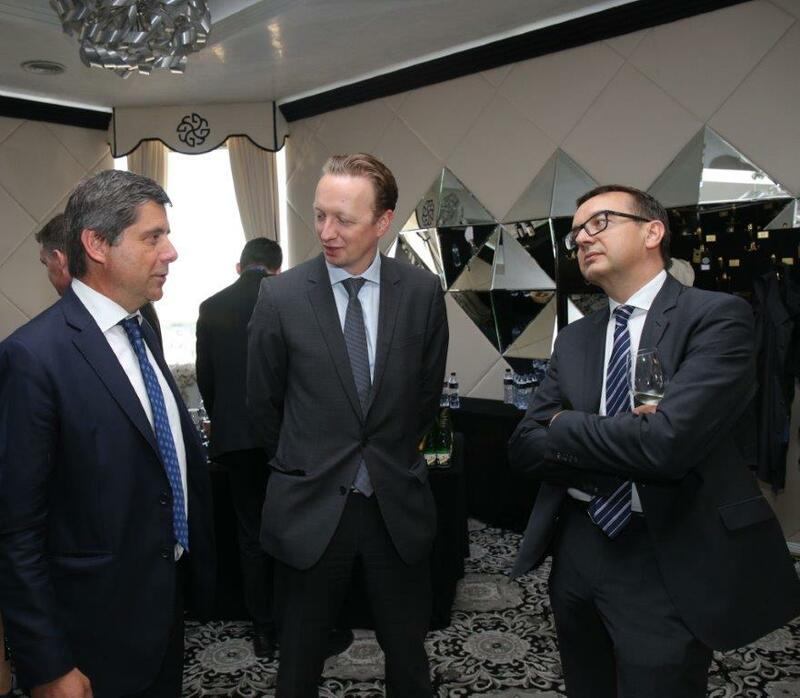 Organized by the Board of Vienna Economic Forum and Österreichische Post AG, an Informal Evening Meeting followed by a Cocktail Reception took place at Hotel Marinela on the eve of Vienna Economic Forum - Sofia Talks 2018, on 17 May 2018, with H.E. 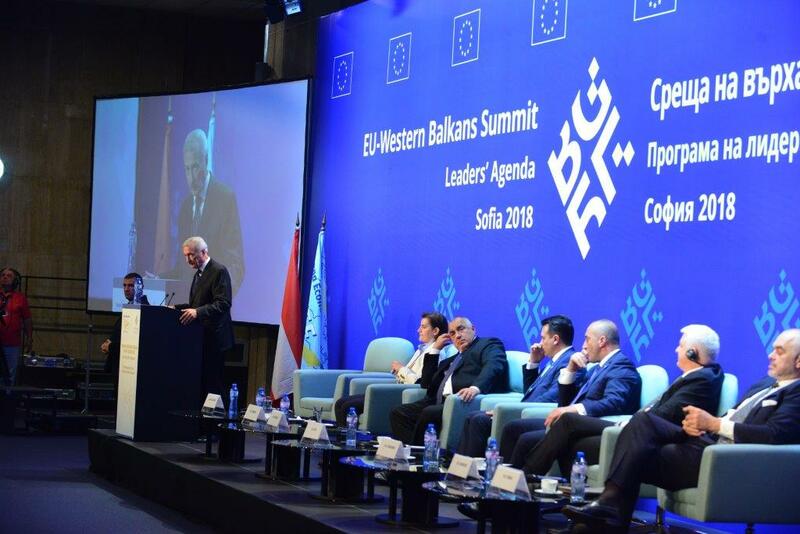 Mr. Emil Karanikolov, Minister of Economy of Bulgaria, being Speaker of Honour. 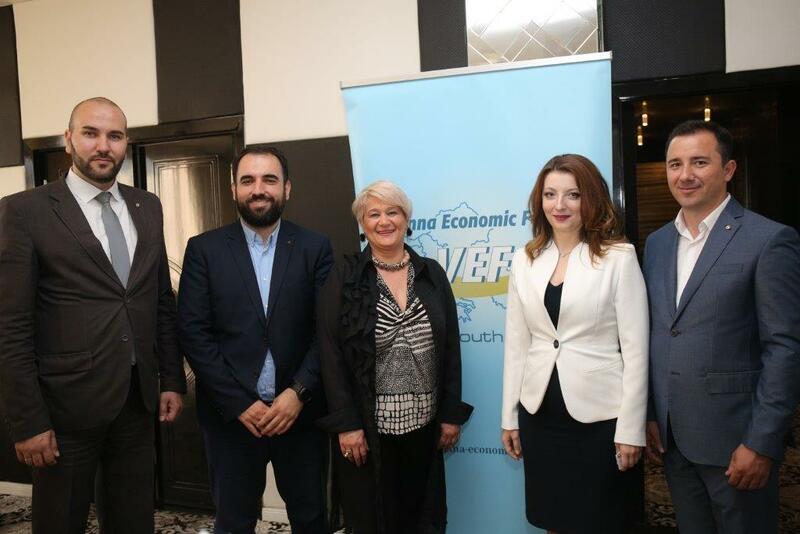 In addition, Mr. Aleksandar Vlahović, President of the Serbian Association of Economist and Member of the Board of Vienna Economic Forum; Mr. Symeon Tsomokos, Founder and Chairman of Delphi Economic Forum, Strategic Partner of Vienna Economic Forum; Ms. Danela Arsovska, President of the Macedonian Chambers of Commerce; and Mr. Gordan Milinić, Director of the Foreign Investment Promotion Agency of Bosnia and Herzegovina presented their organizations and their roles in the Western Balkans. 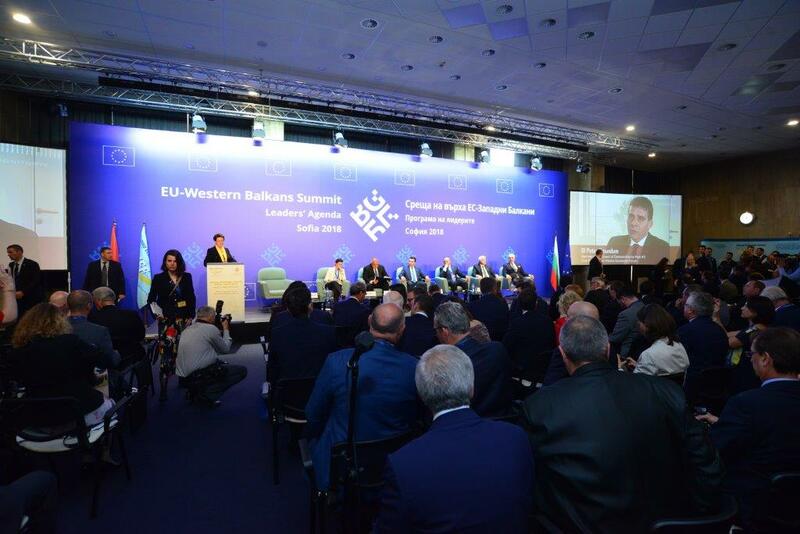 It is the aim of Vienna Economic Forum to contribute to the regional economic development of the entire region of South-Eastern Europe. 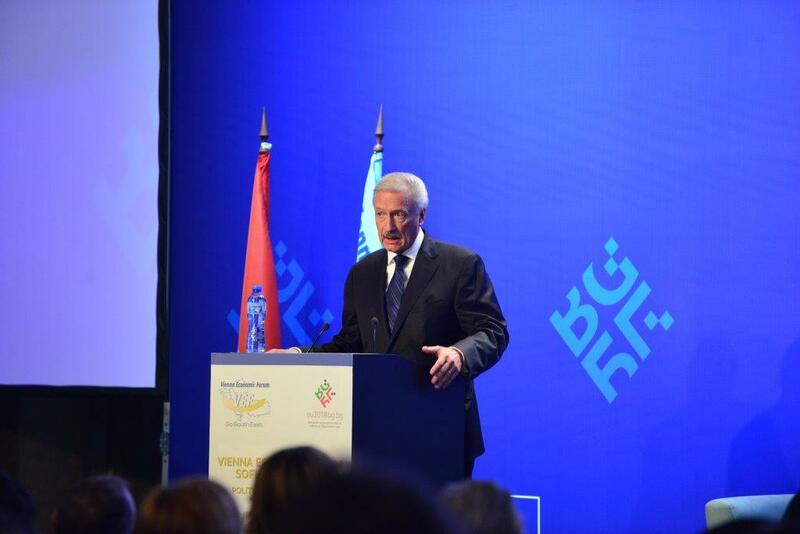 With this in mind, Vienna Economic Forum wants to build a bridge between the Bulgarian EU-Presidency in 2018 and the subsequent Austrian EU-Presidency in the second half of the year under the motto "Politics meets Economy” - which is dedicated to implementing this concern. 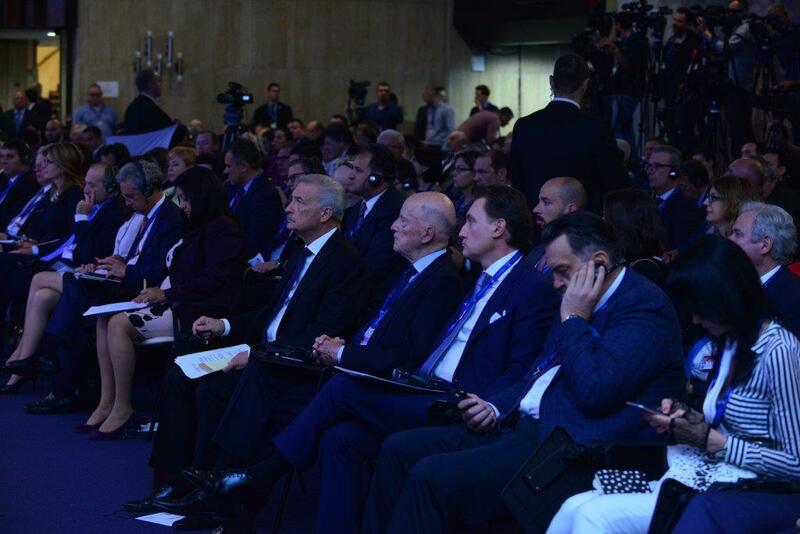 Therefore, we plan our 15th Jubilee Vienna Economic Forum – Vienna Future Dialogue 2018 on 19 November 2018 in Vienna under the same motto and have already advertised this in all countries of the region. 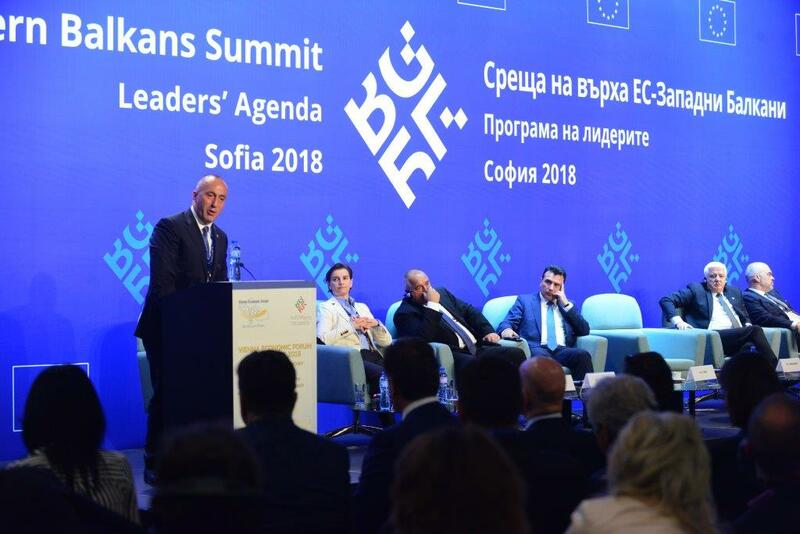 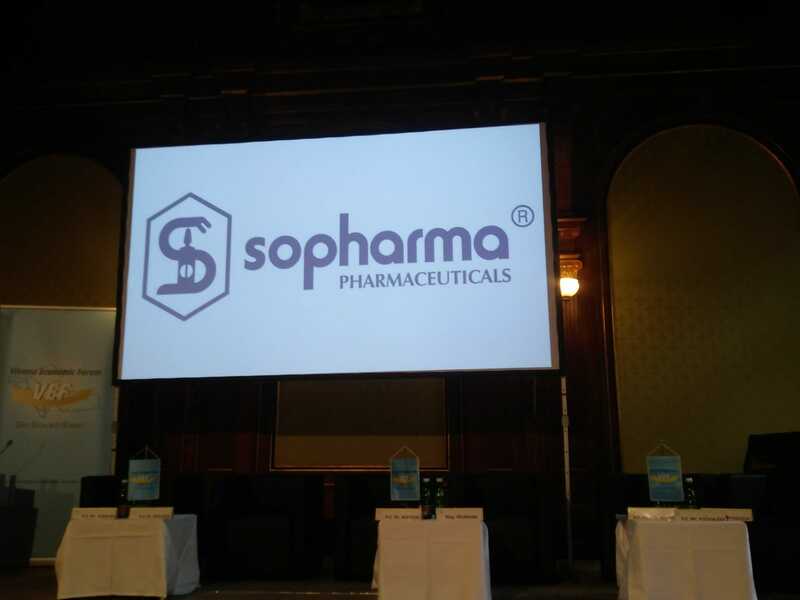 Vienna Economic Forum is very proud that Vienna Economic Forum - Sofia Talks 2018 was organized together with the Bulgarian Ministry for the Presidency of the Council of the EU 2018 and the Ministry of Economy of Bulgaria, as well as with the great support of Sopharma PLC, Bulgaria. 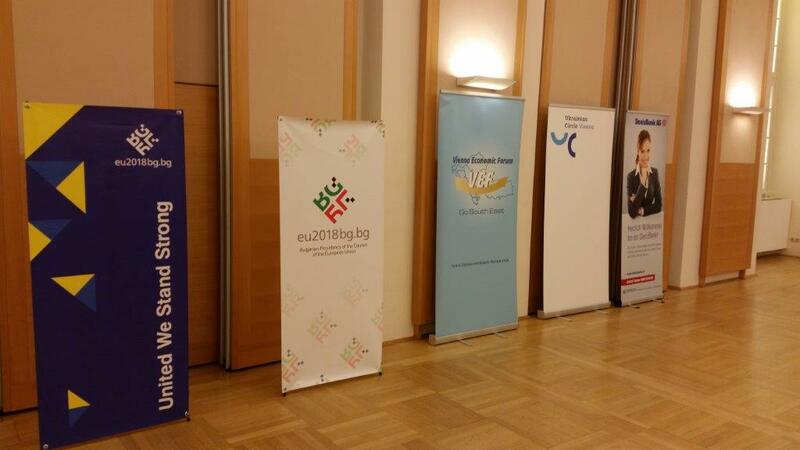 Vienna Economic Forum thanks all cooperation partners for their support, especially A1 Telekom Austria Group, Österreichische Post AG, Penkov, Markov & Partners, AIK Banka, Atlas Bank, Vienna Insurance Group, Investment Management Exhibition, Confederation of Employers and Industrialists in Bulgaria (KRIB), Bulgarian Chamber of Commerce and Industry (BCCI), Bulgarian Industrial Capital Association (BICA), Bulgarian Industrial Association (BIA), Delphi Economic Forum, SeeNews and MonitorTV.